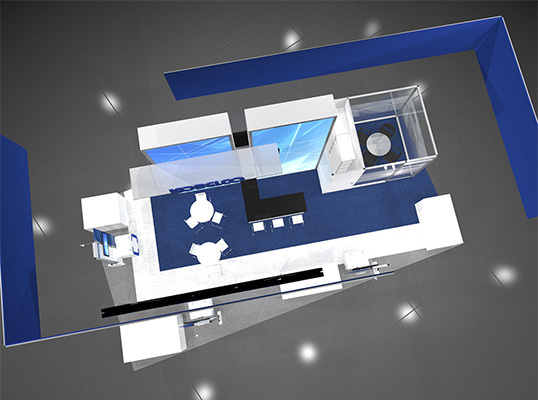 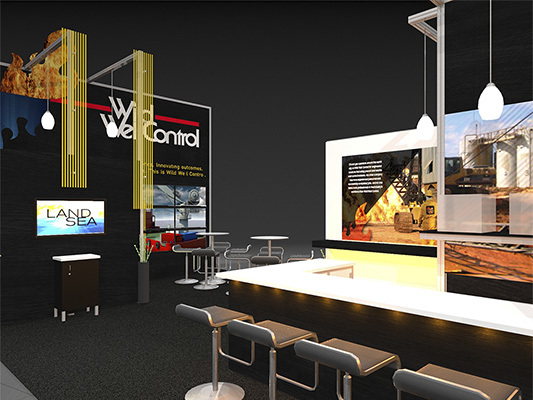 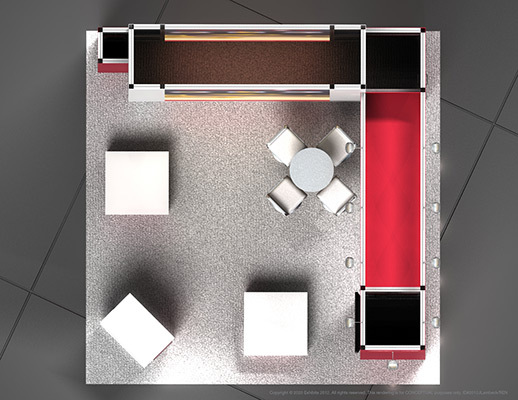 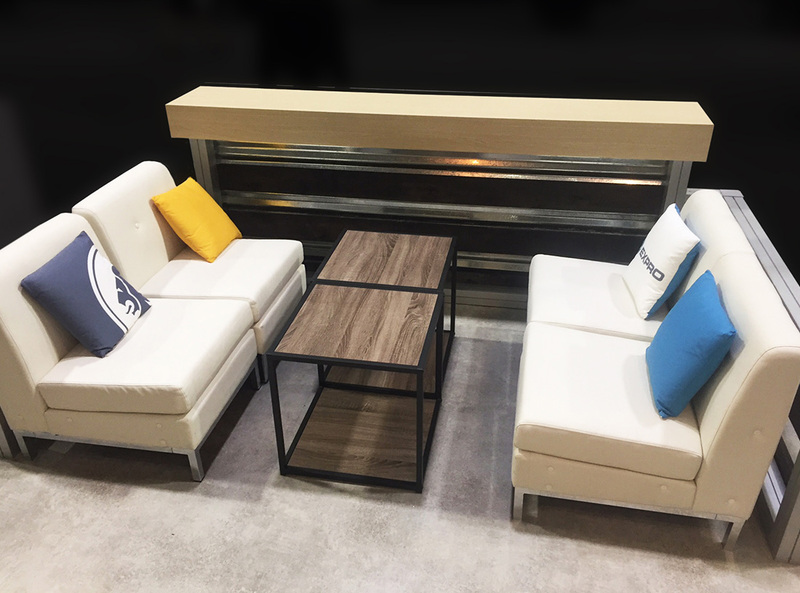 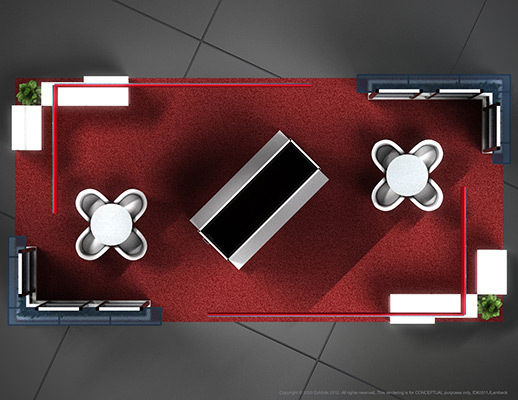 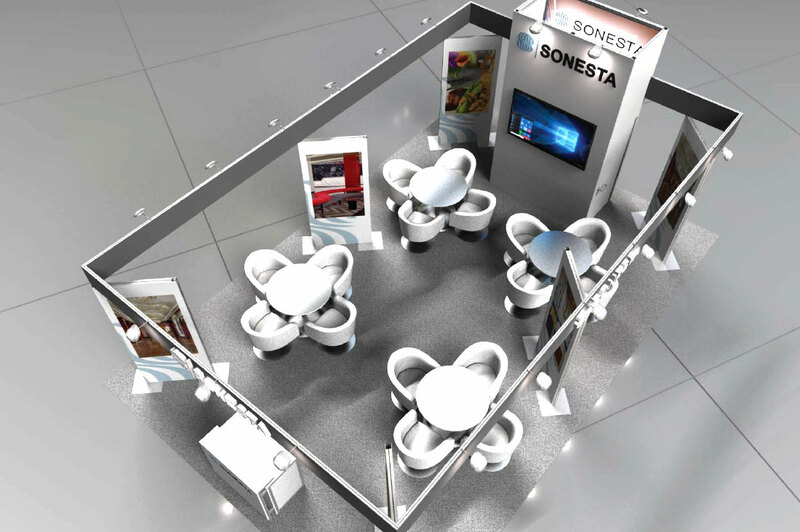 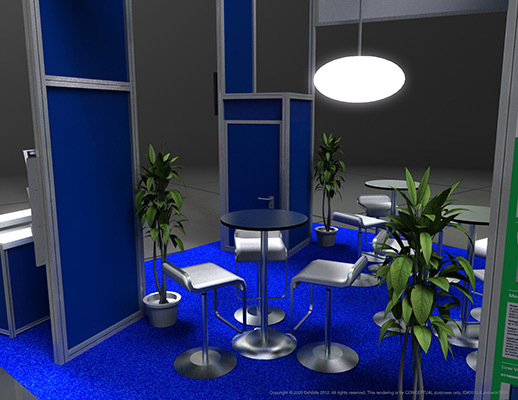 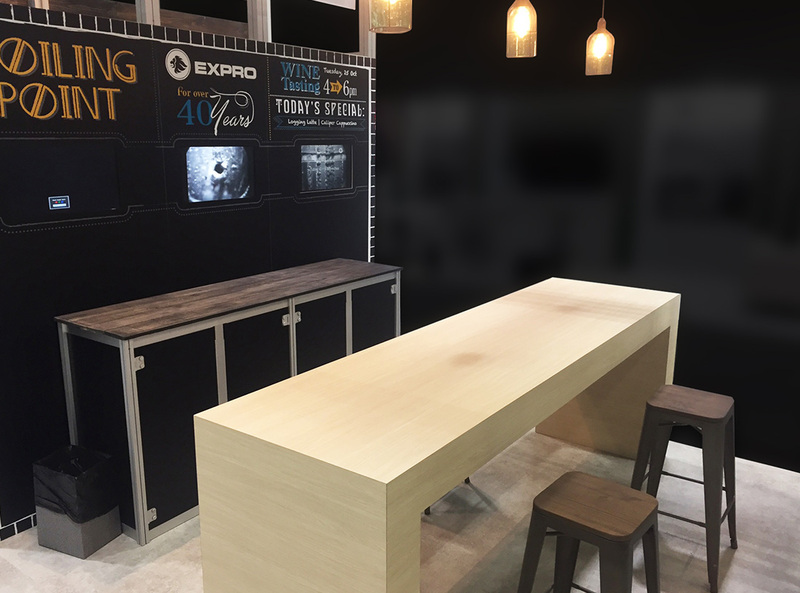 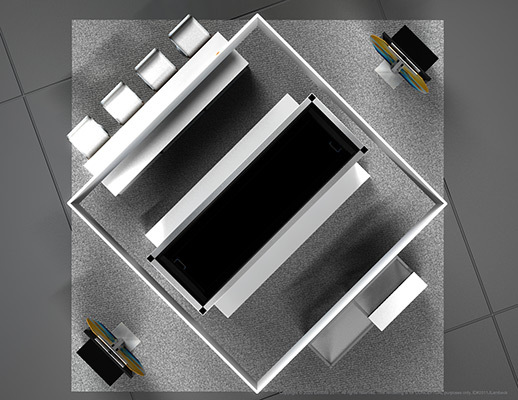 Sharp and modern feel with ample seating all over the exhibit. 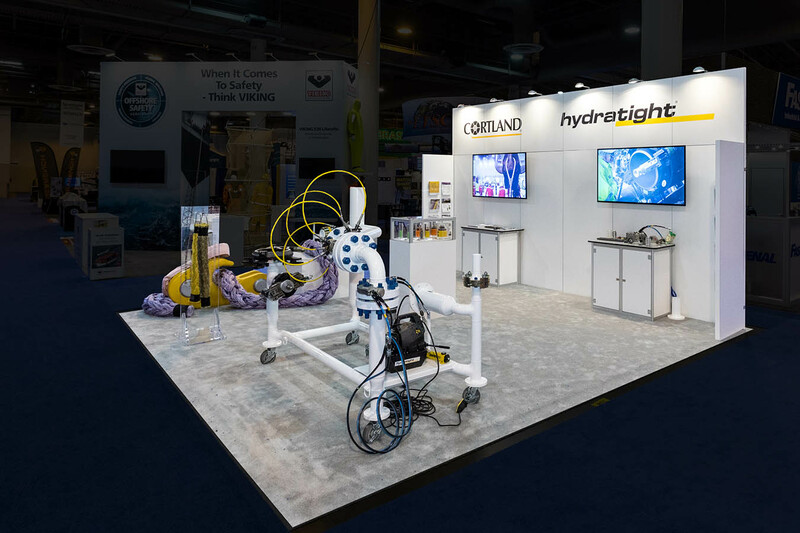 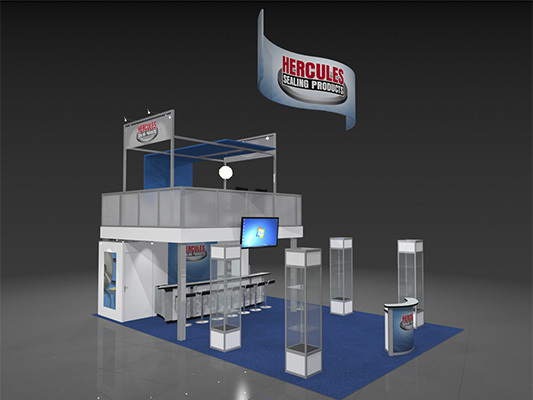 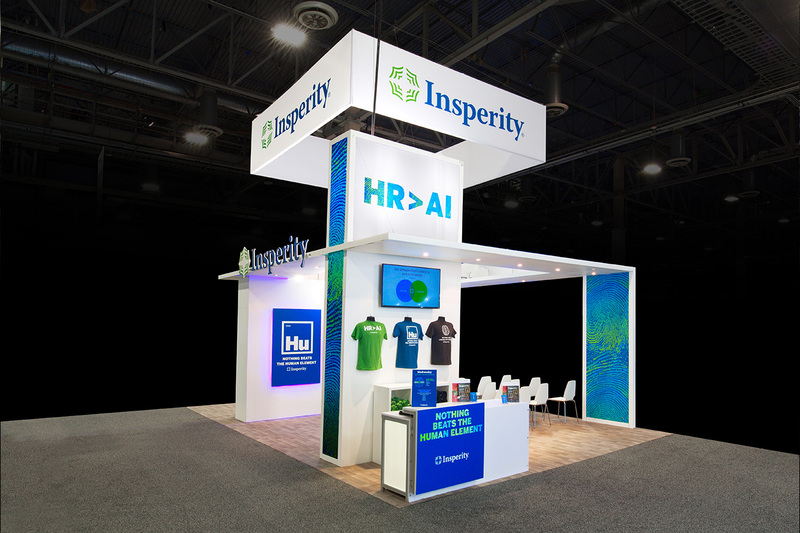 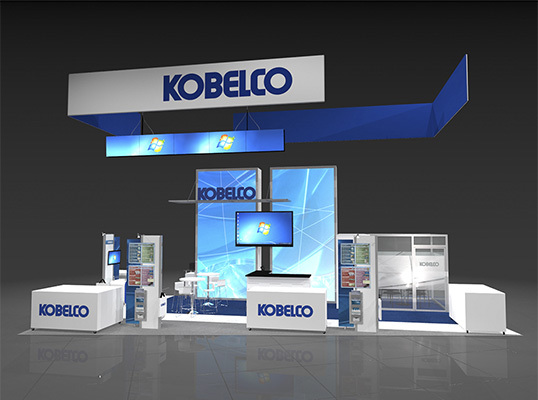 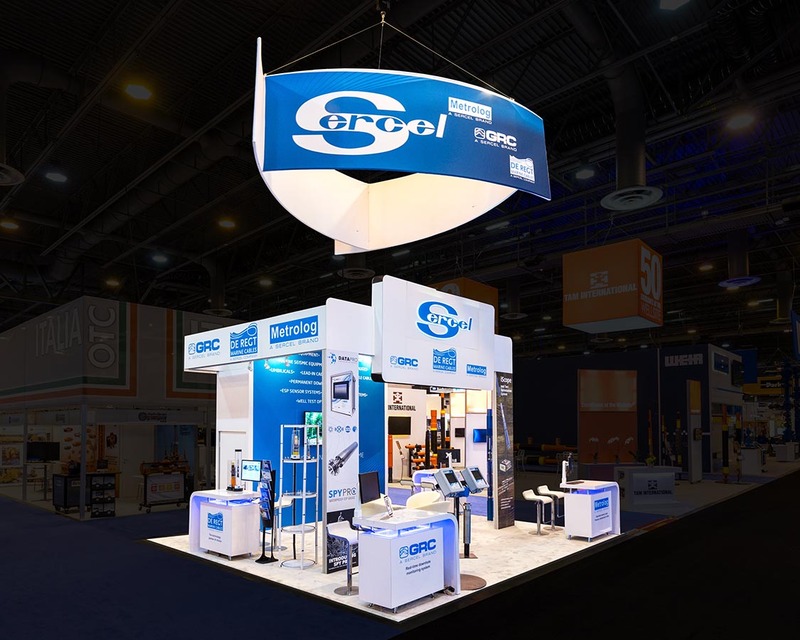 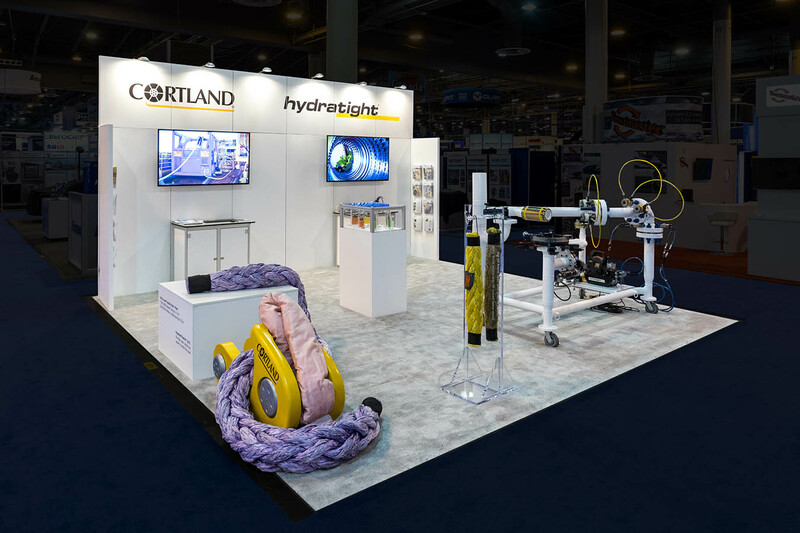 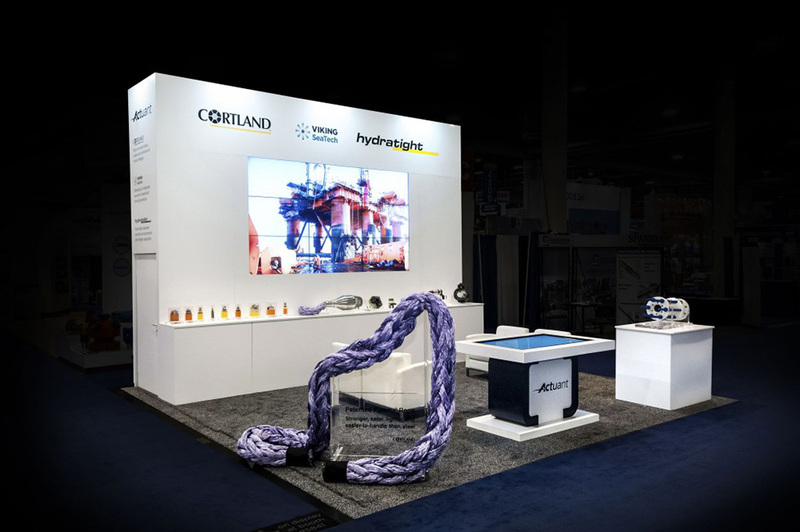 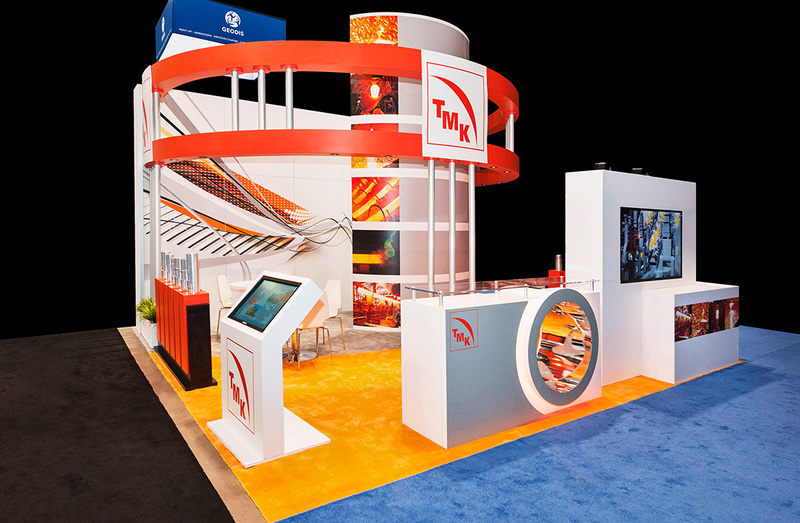 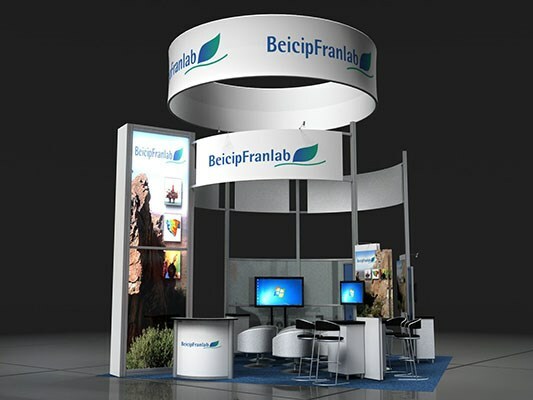 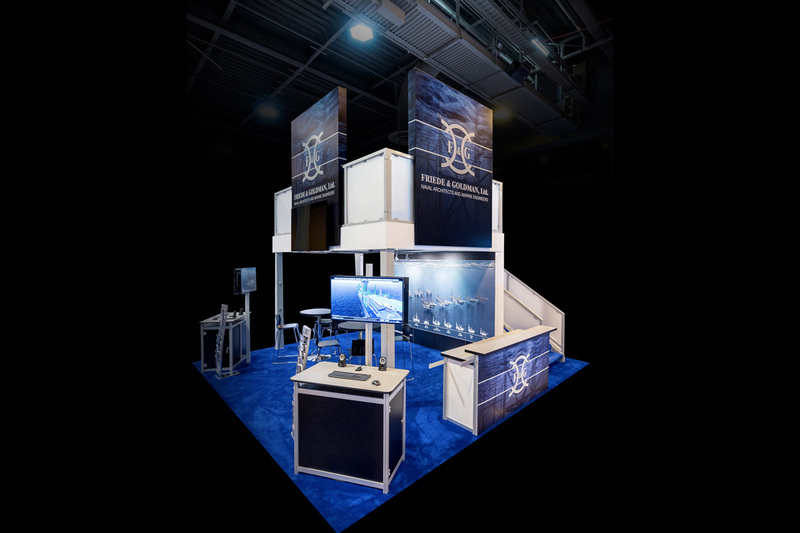 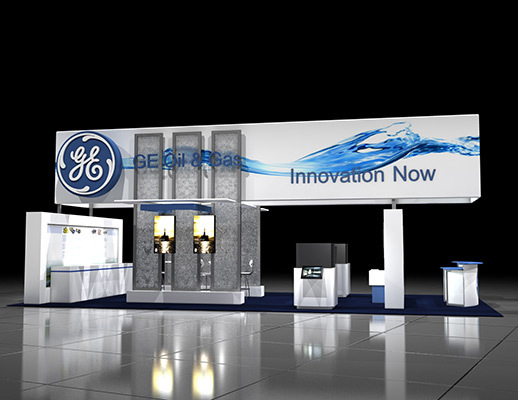 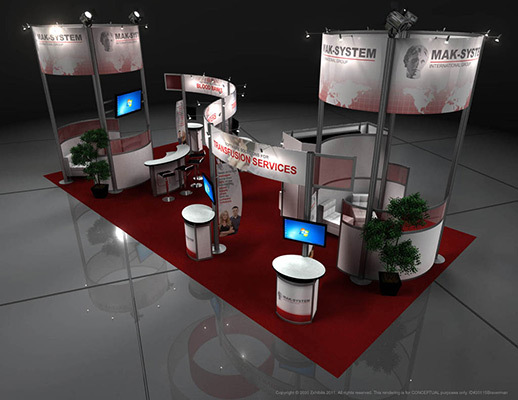 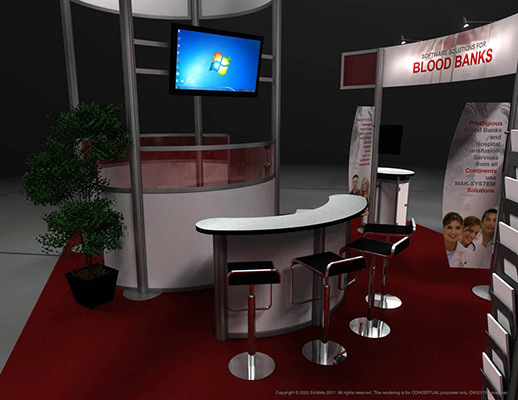 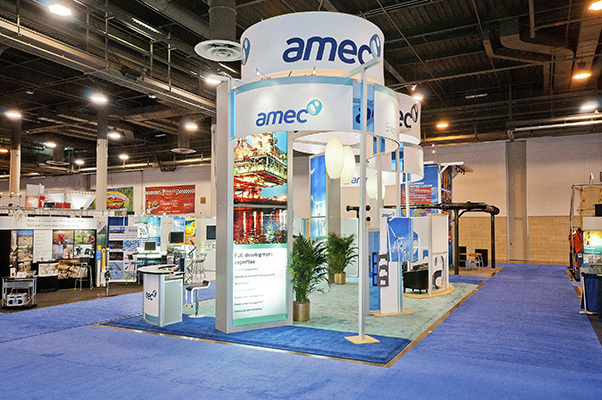 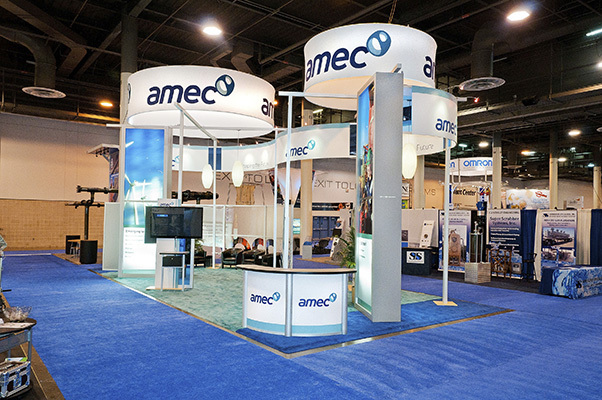 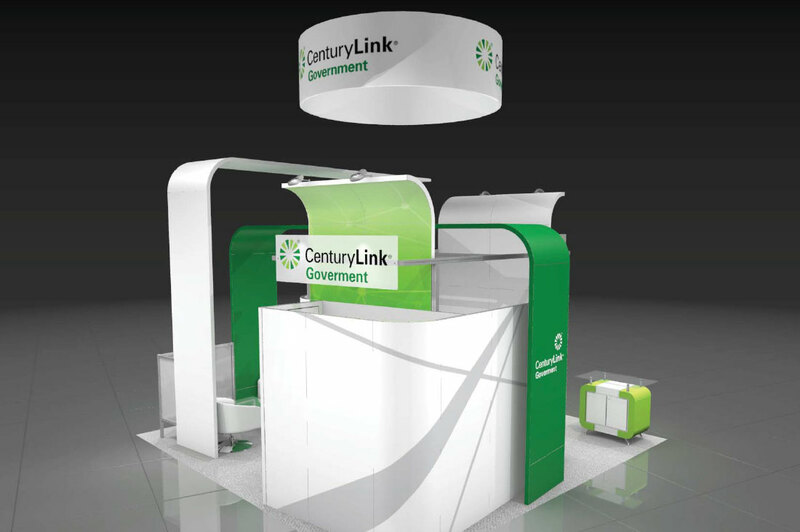 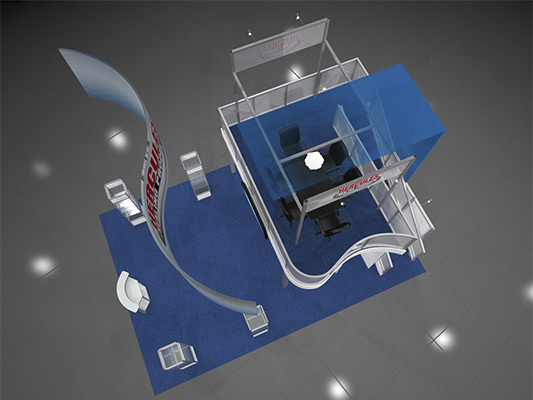 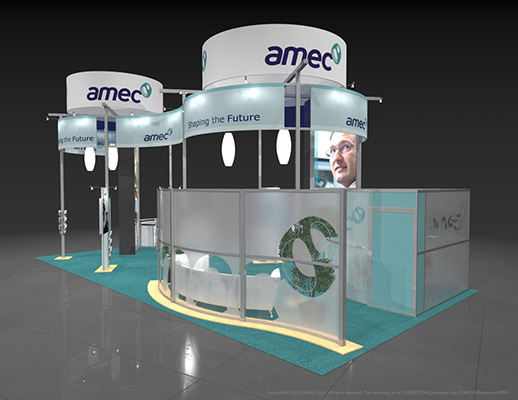 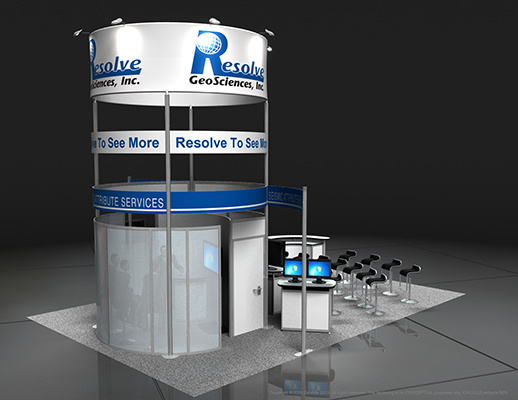 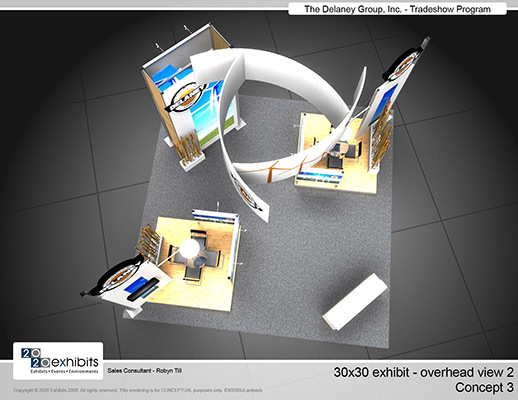 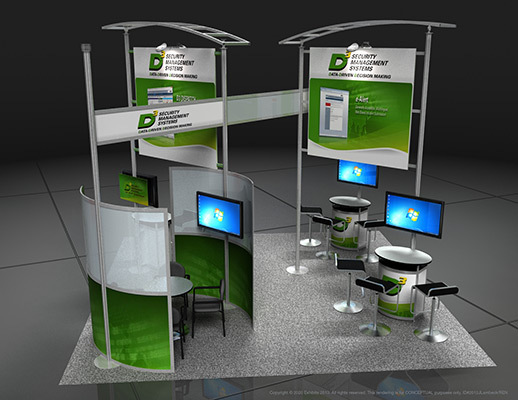 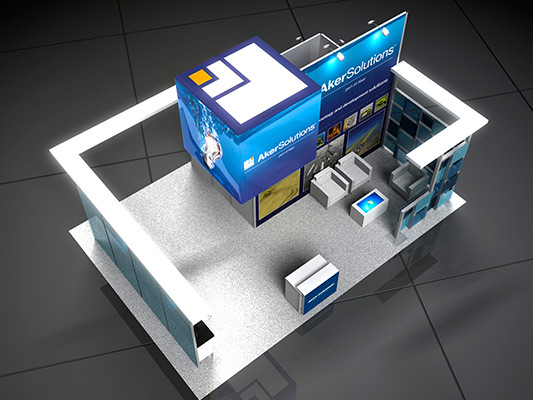 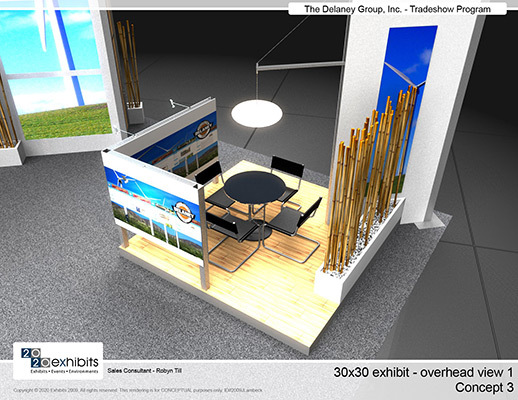 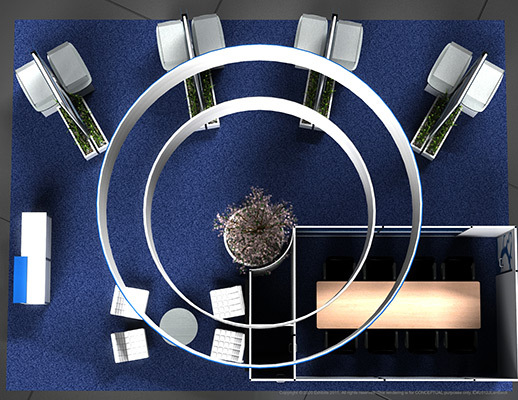 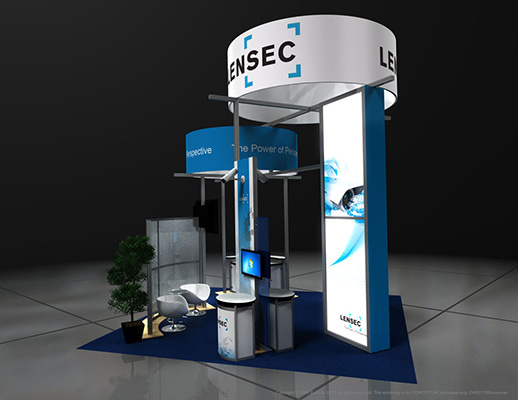 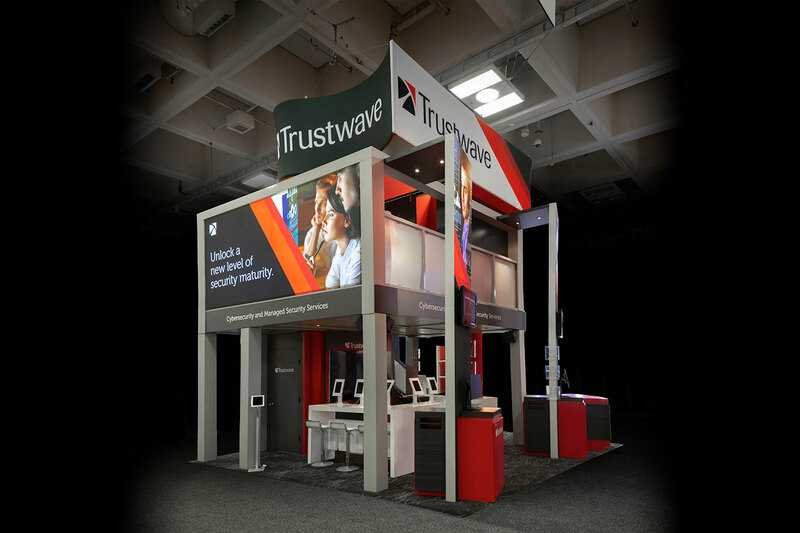 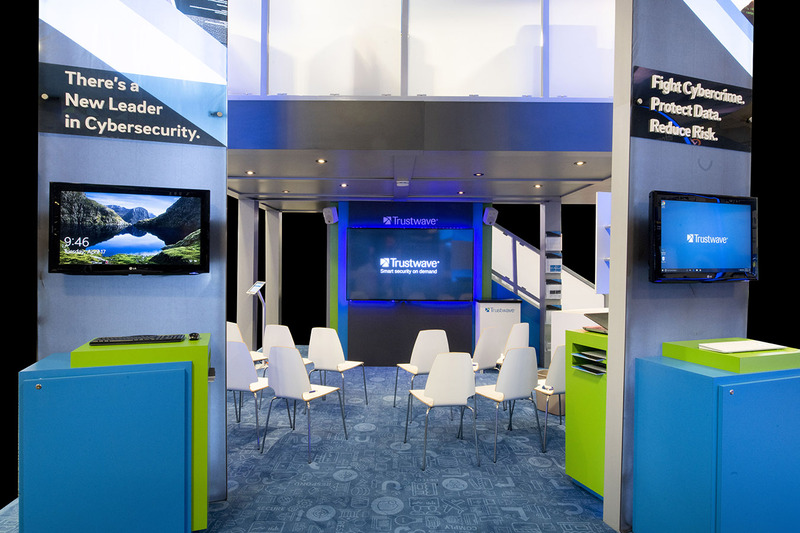 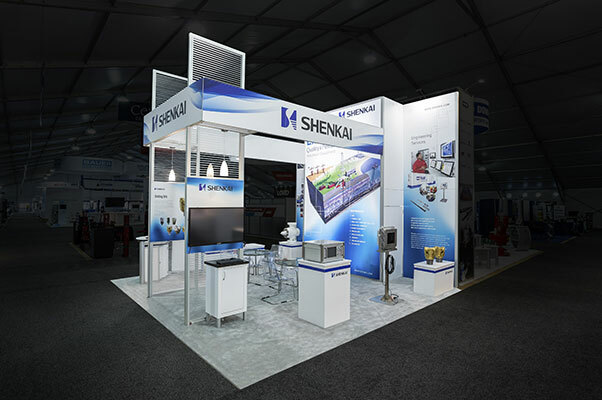 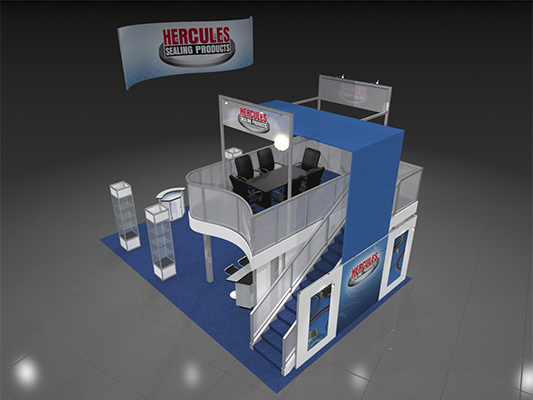 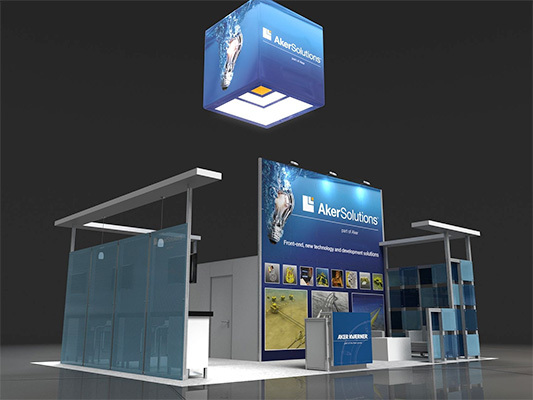 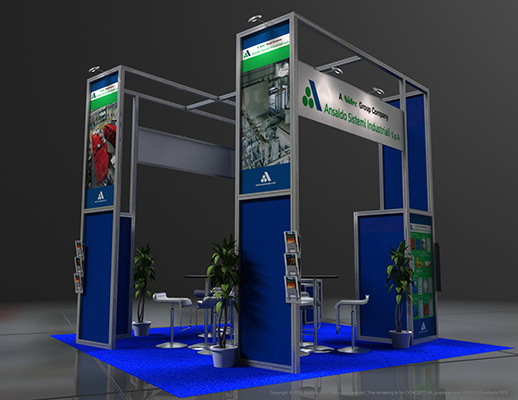 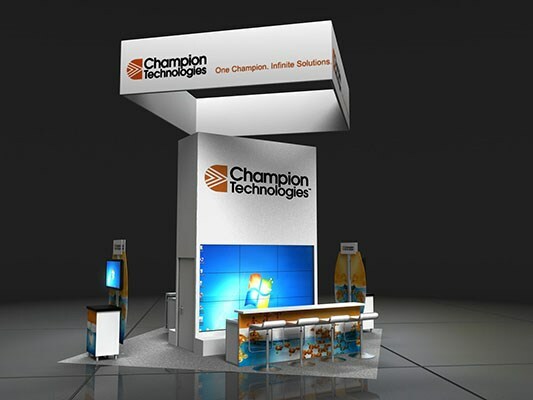 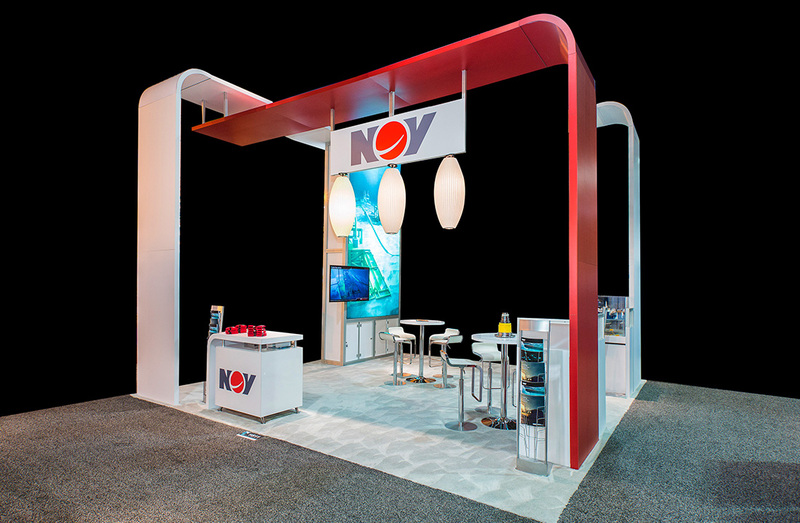 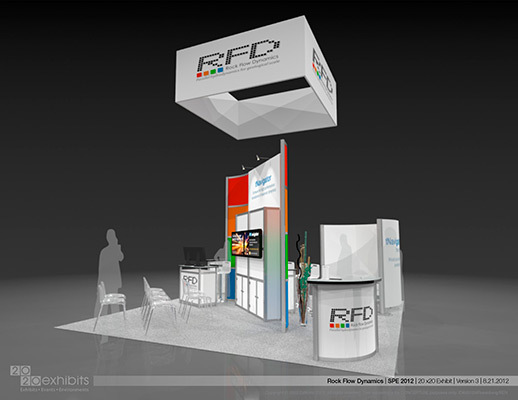 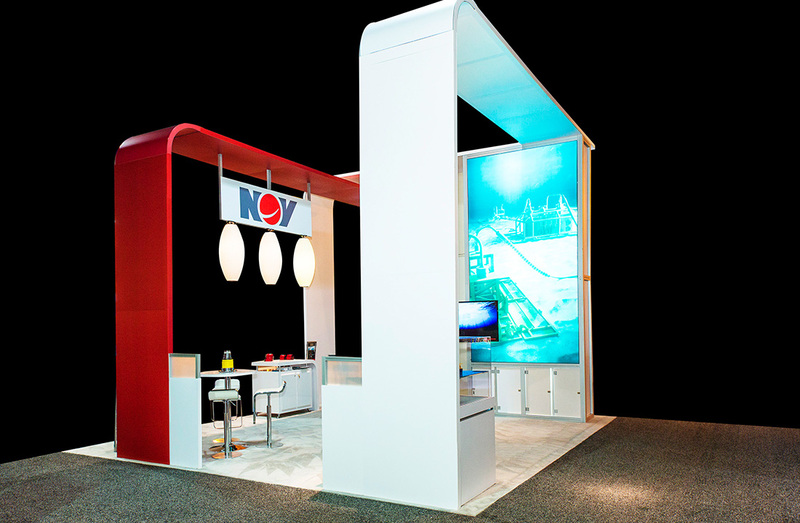 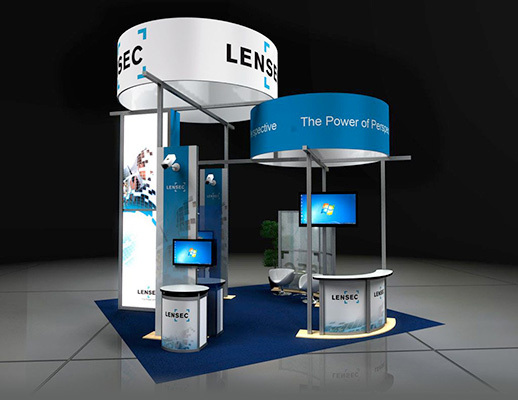 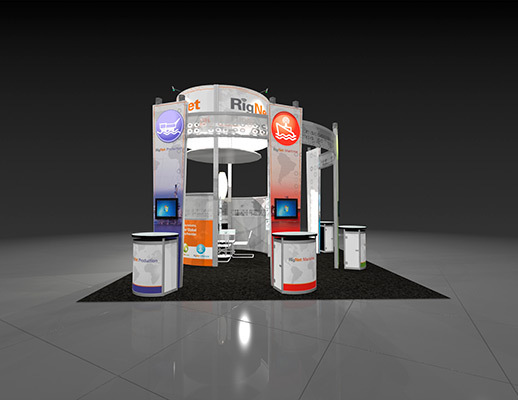 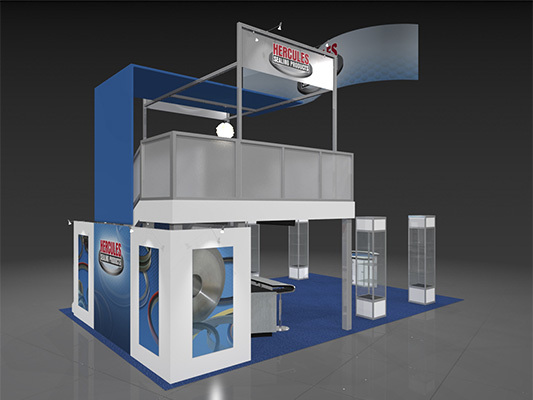 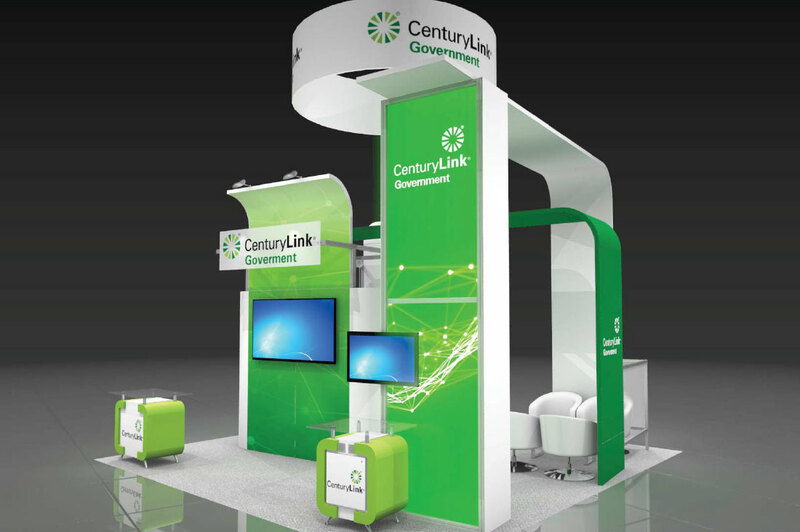 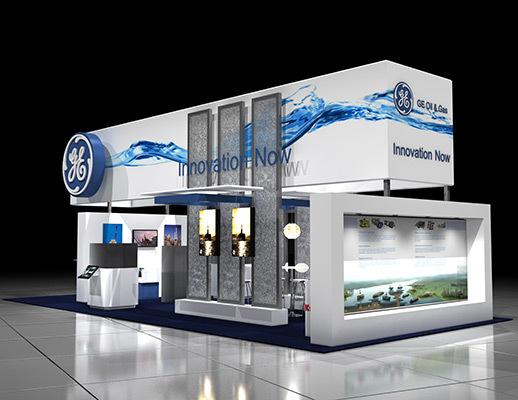 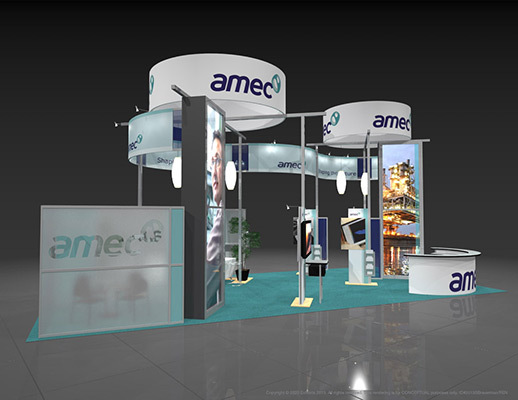 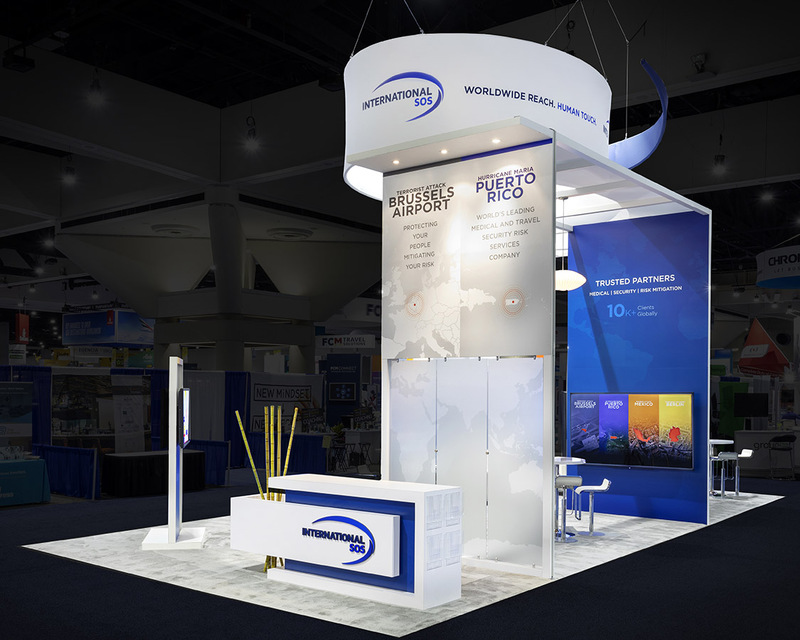 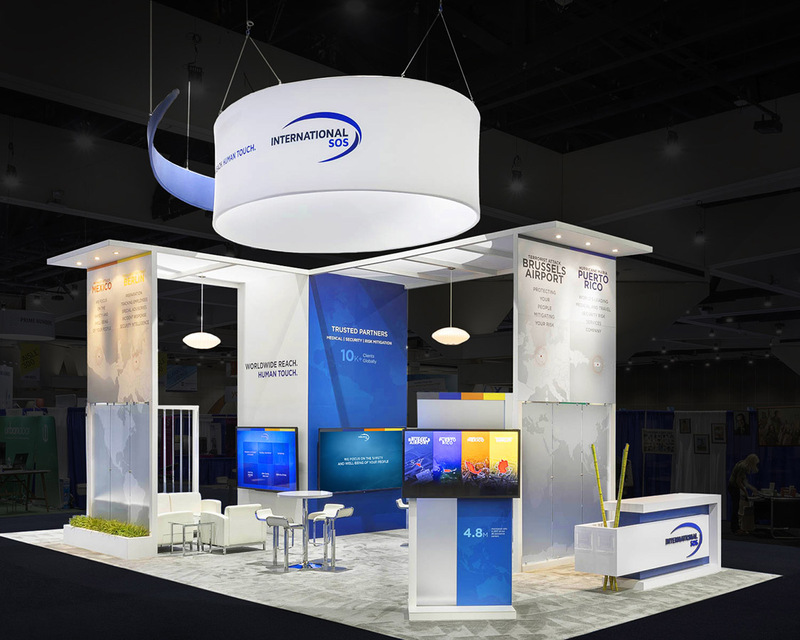 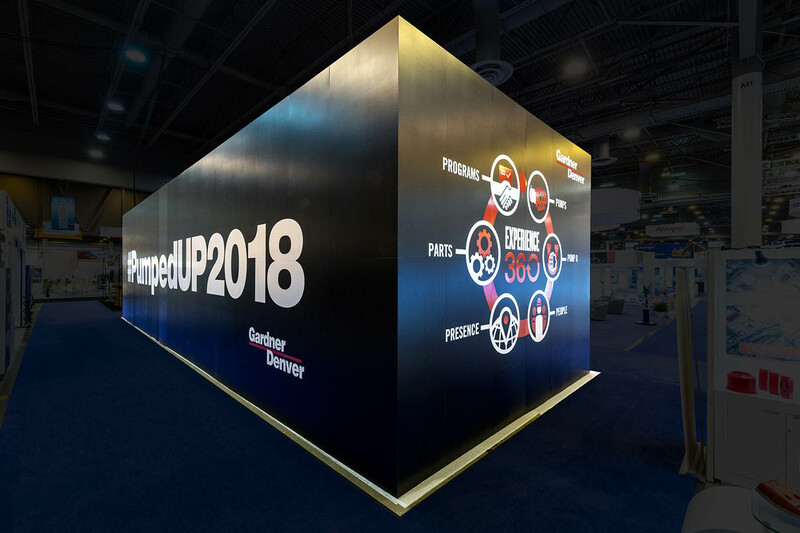 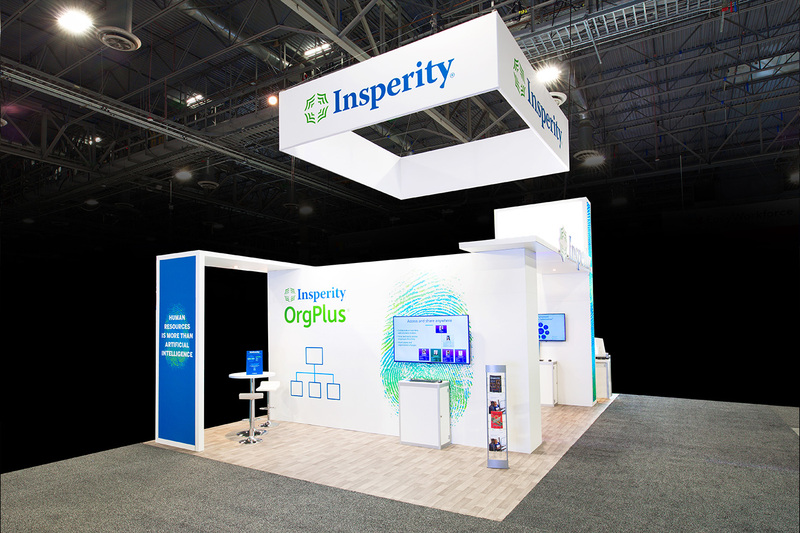 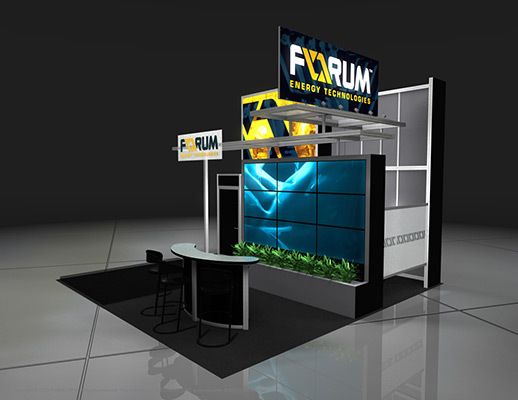 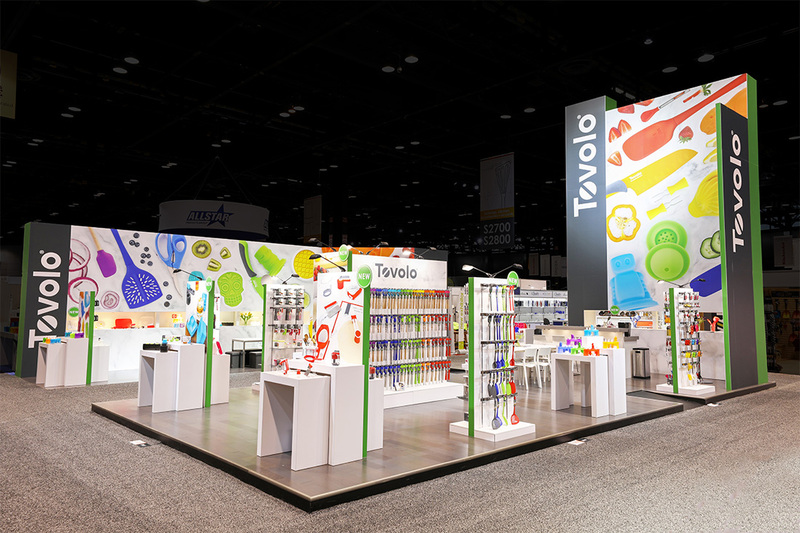 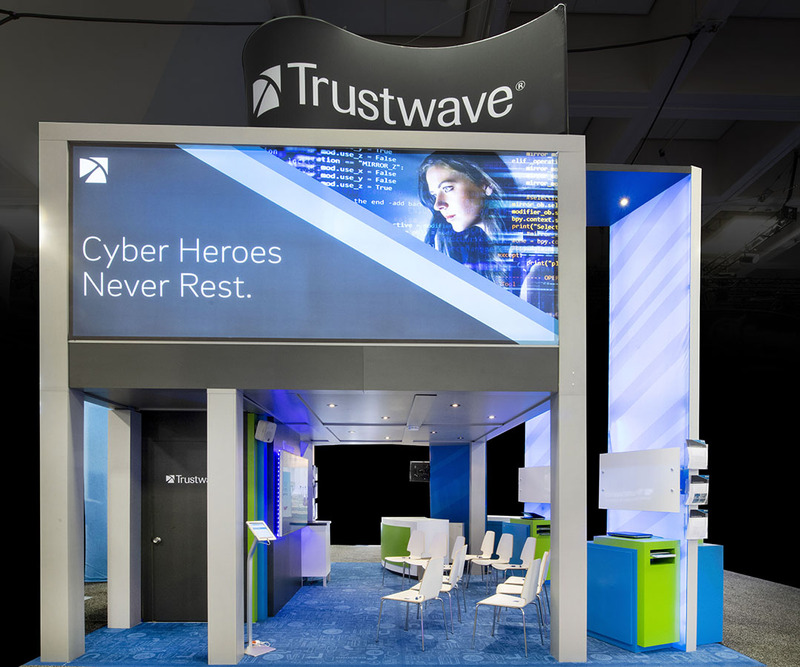 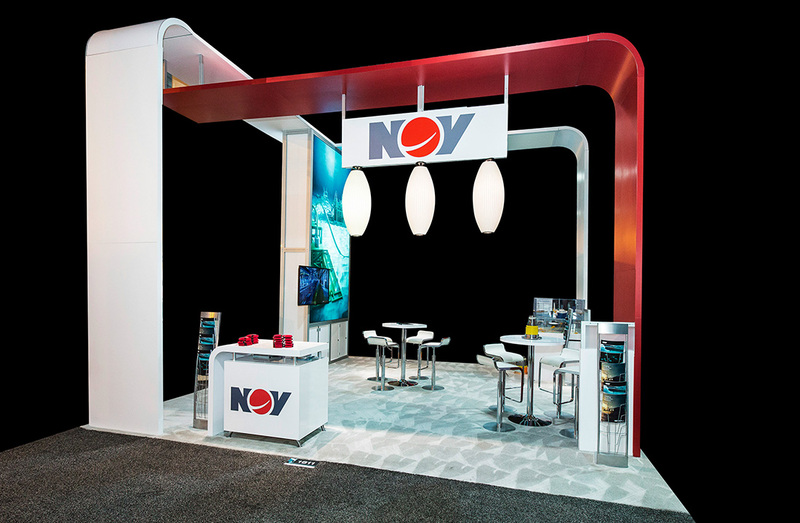 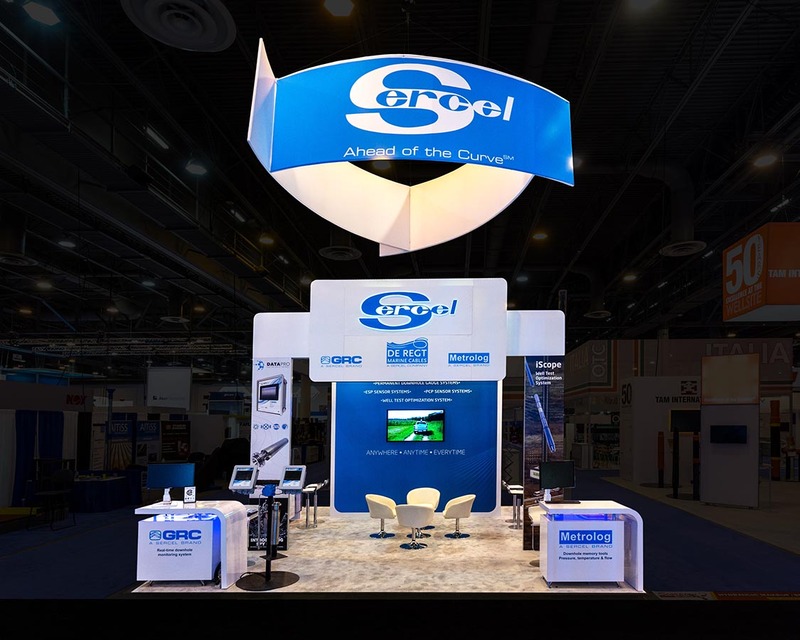 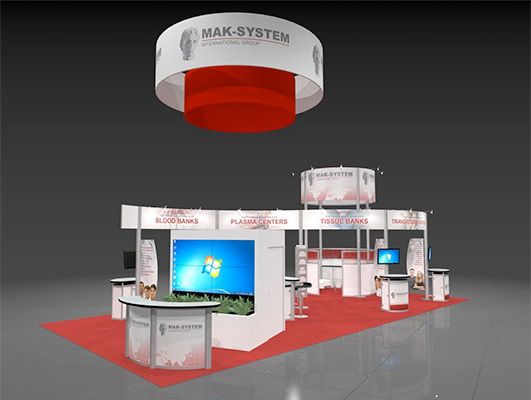 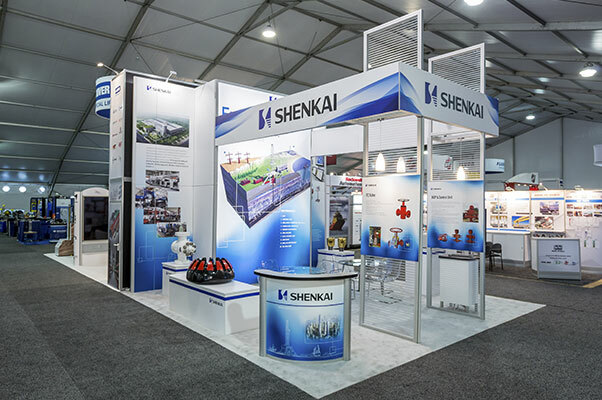 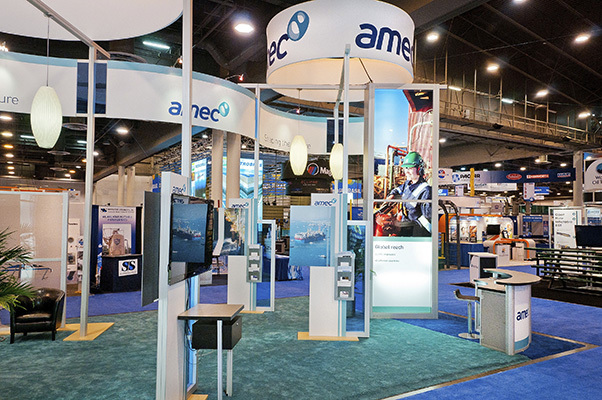 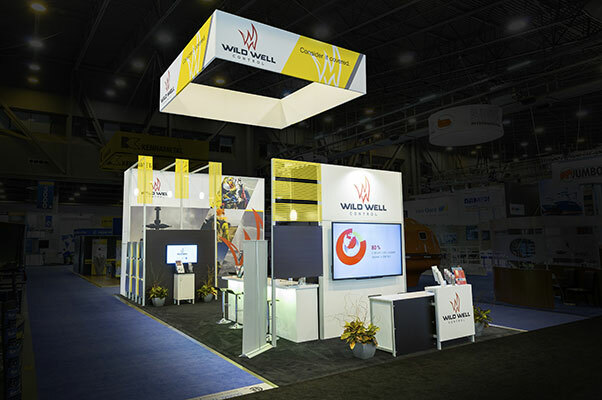 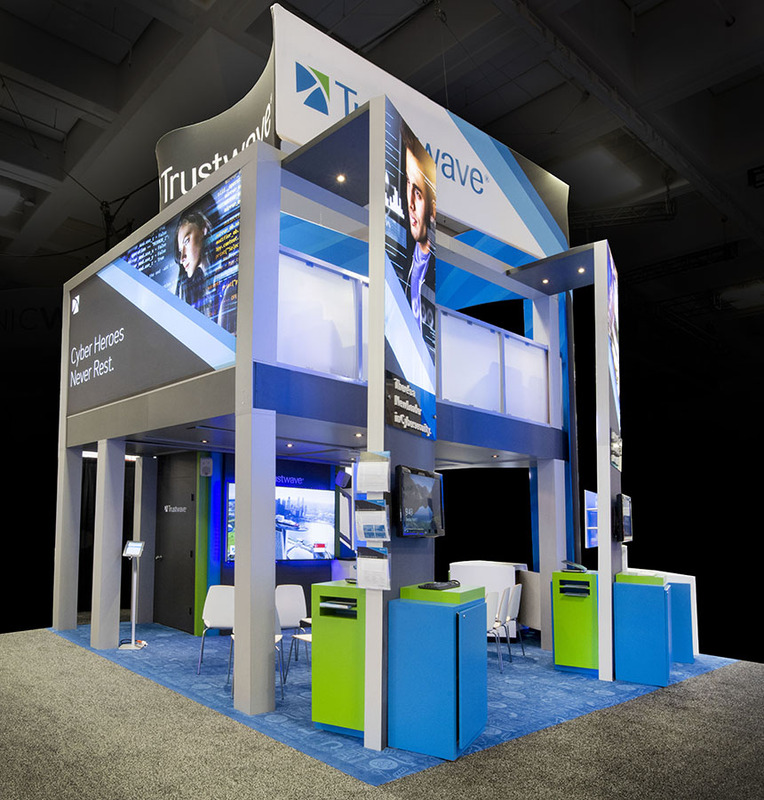 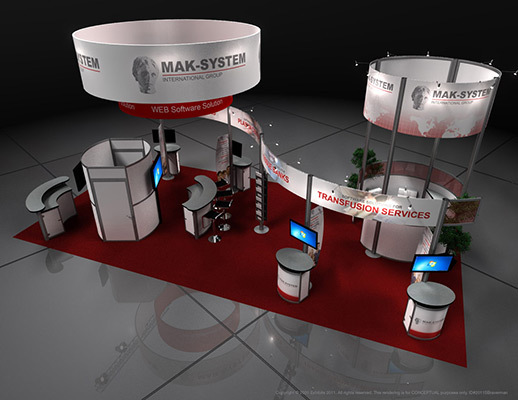 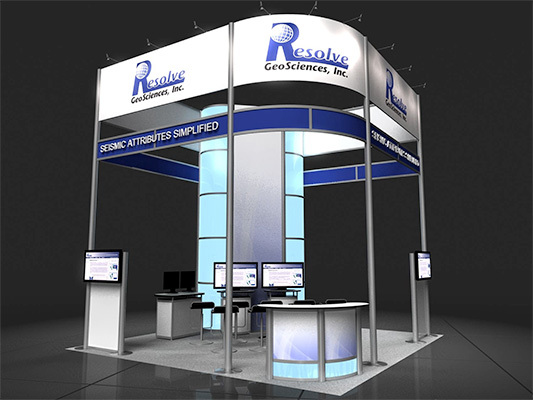 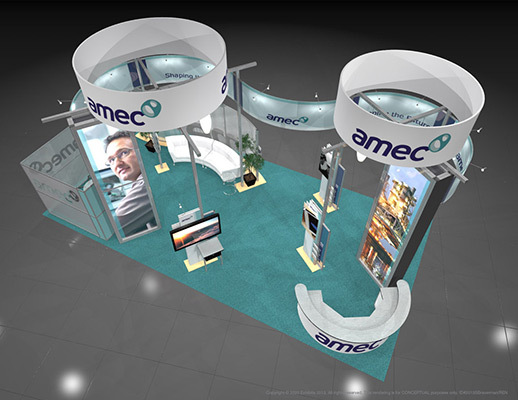 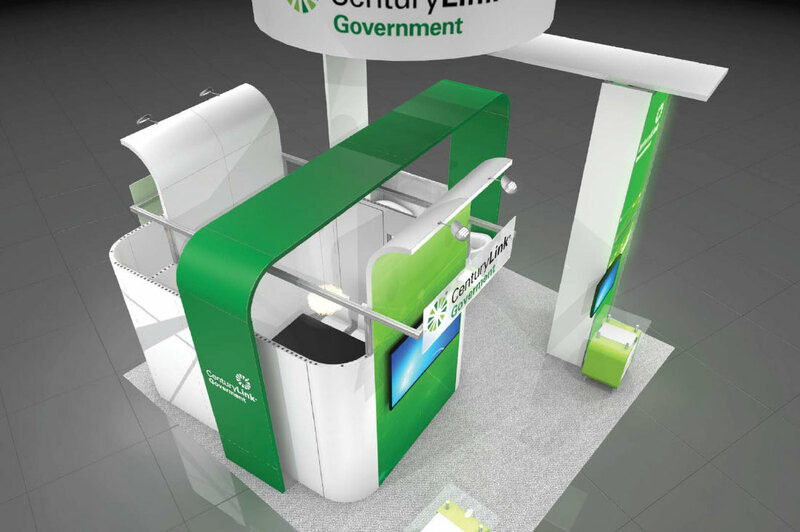 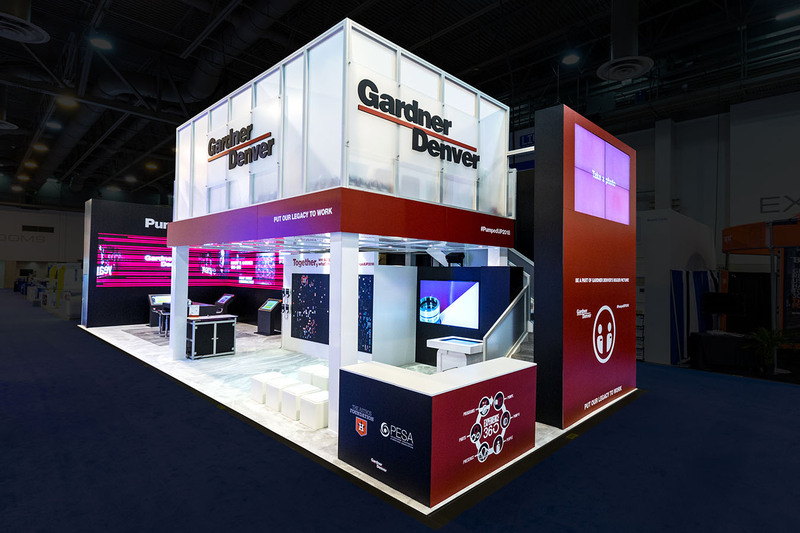 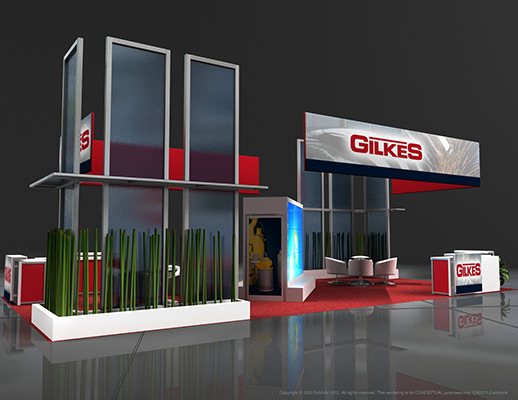 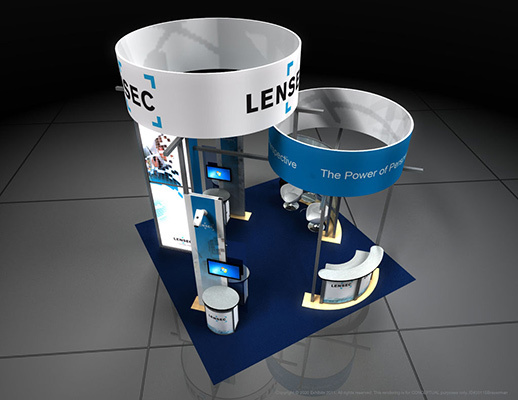 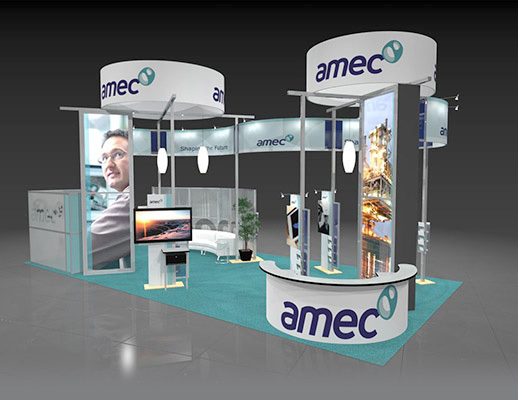 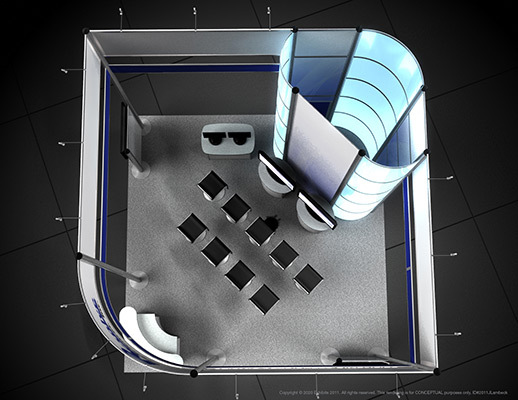 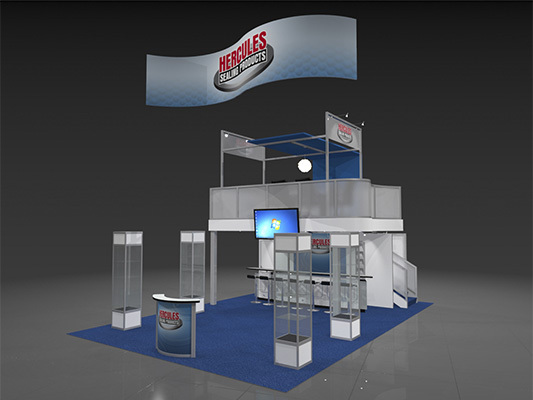 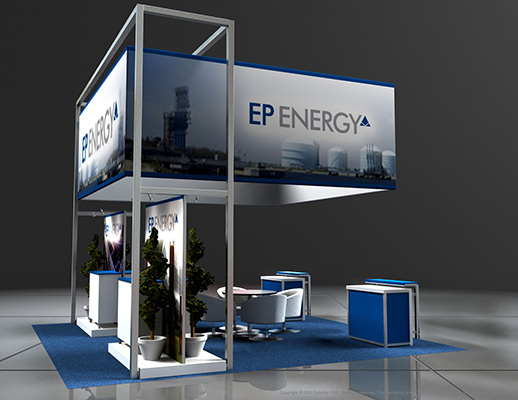 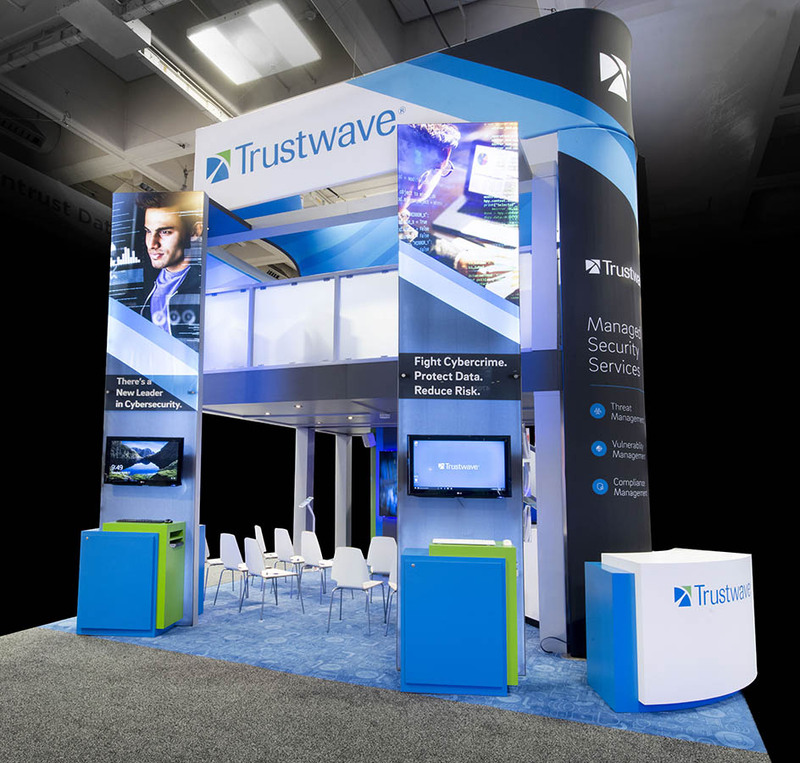 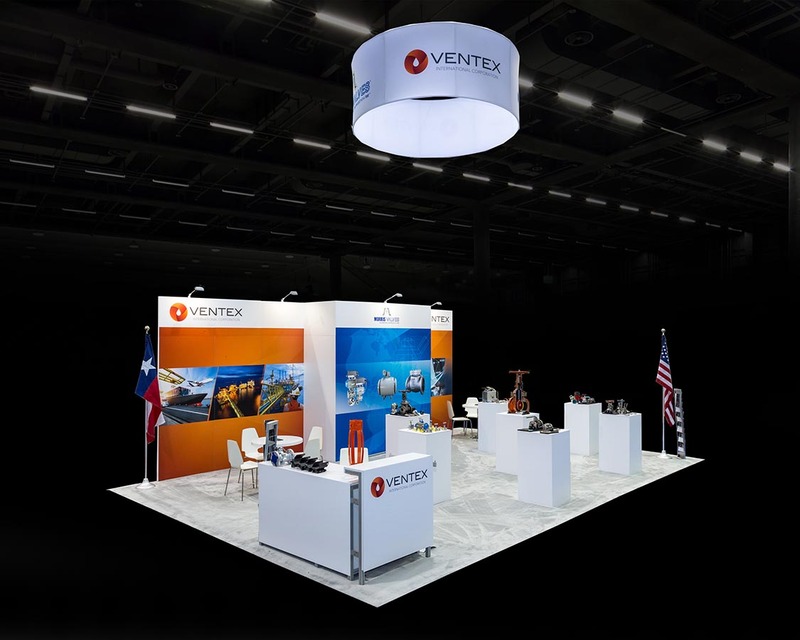 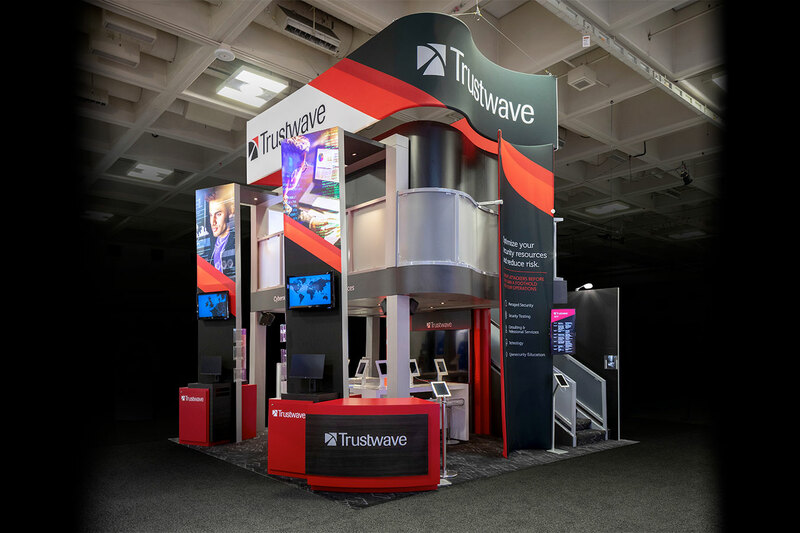 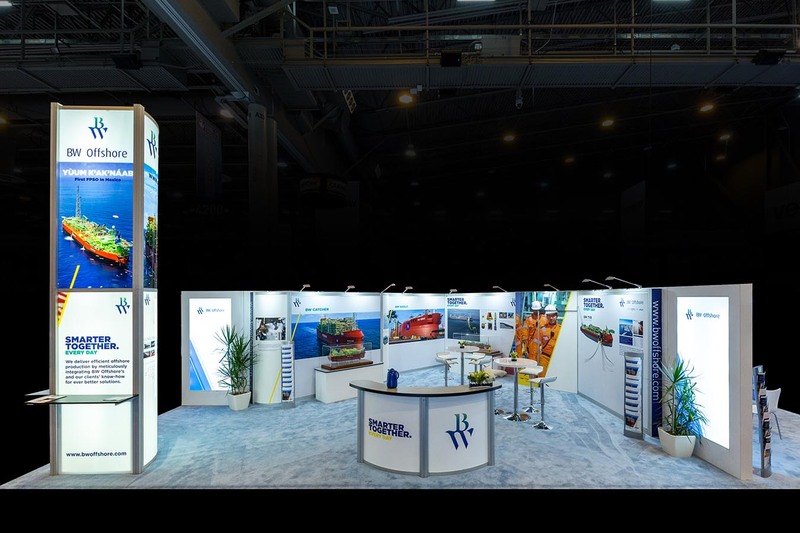 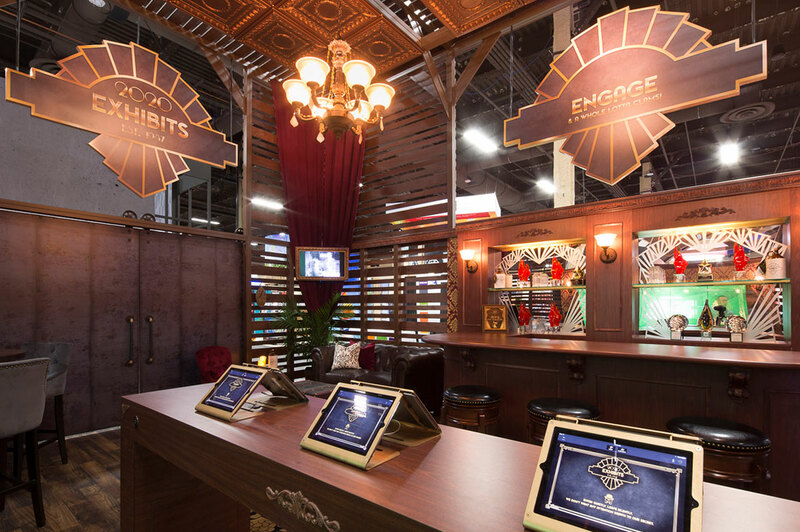 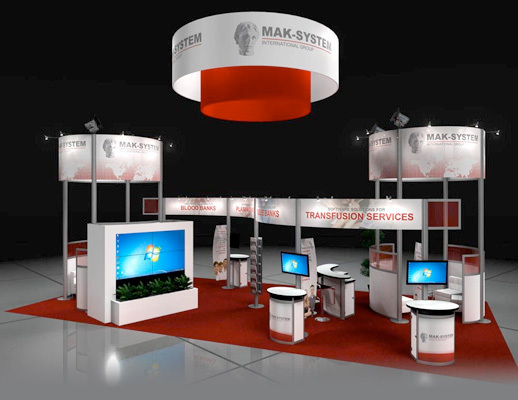 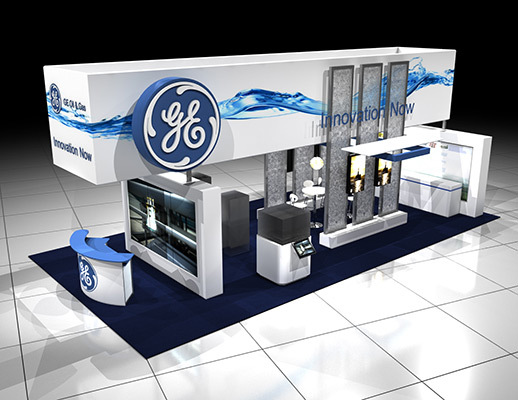 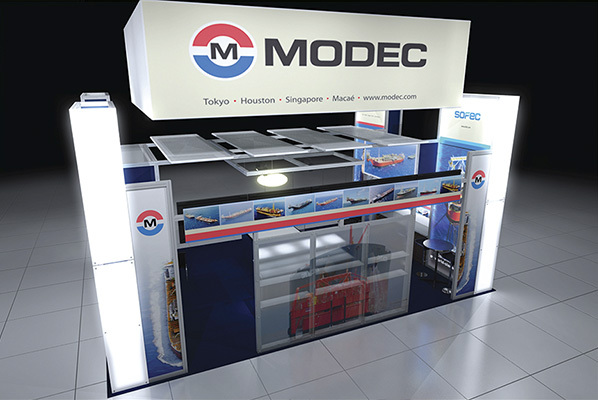 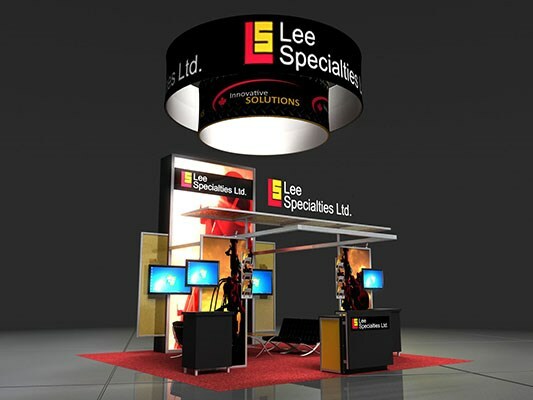 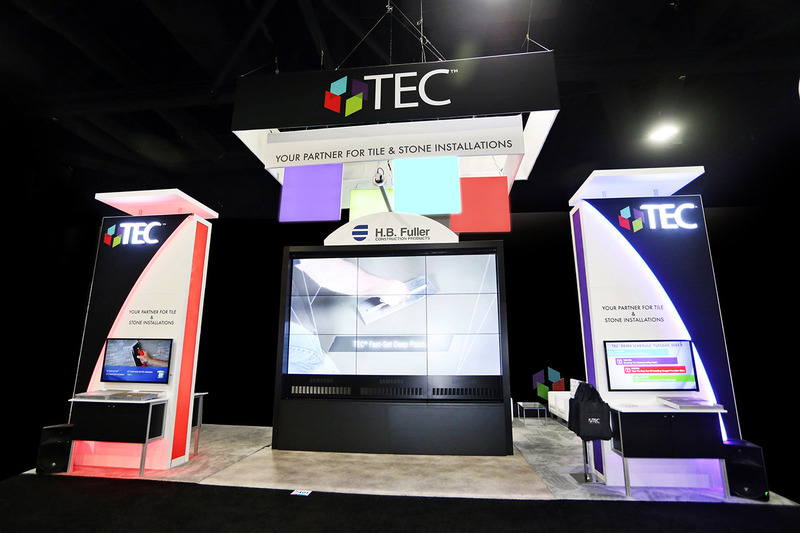 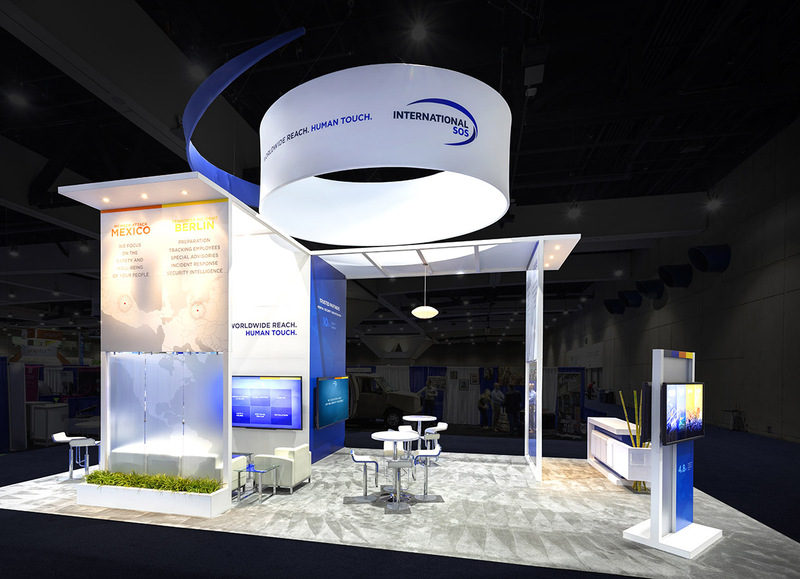 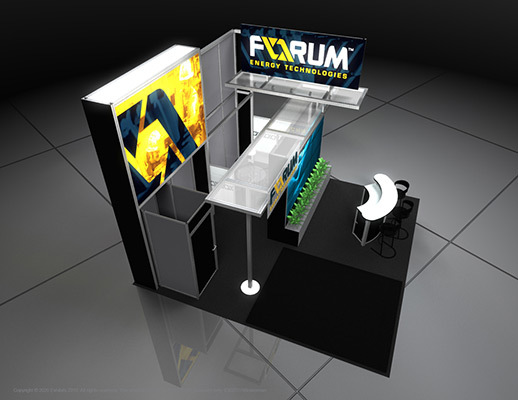 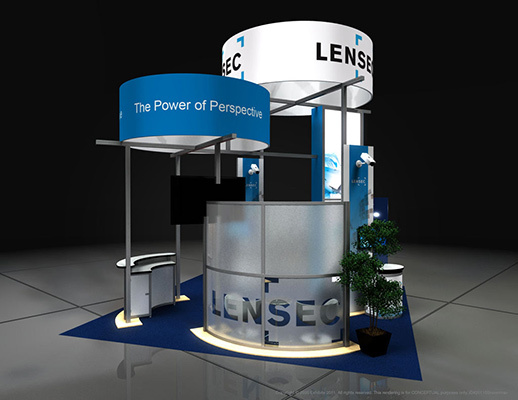 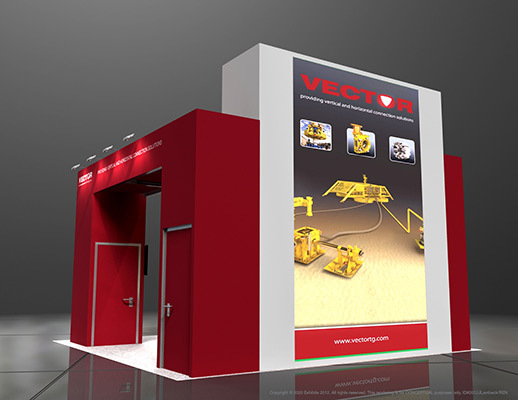 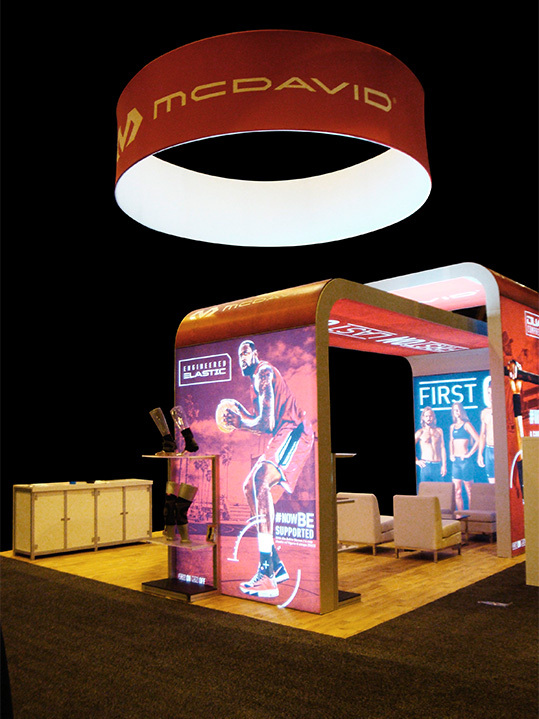 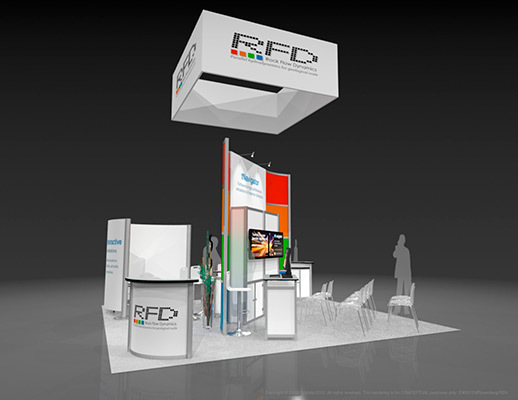 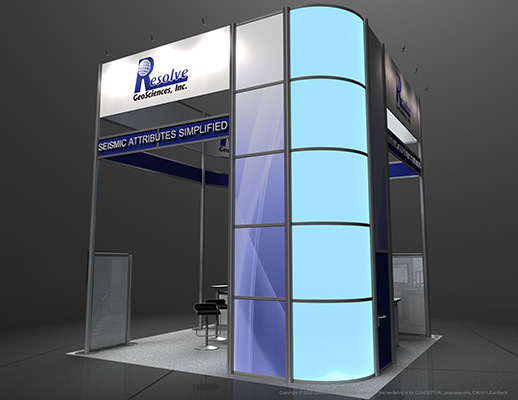 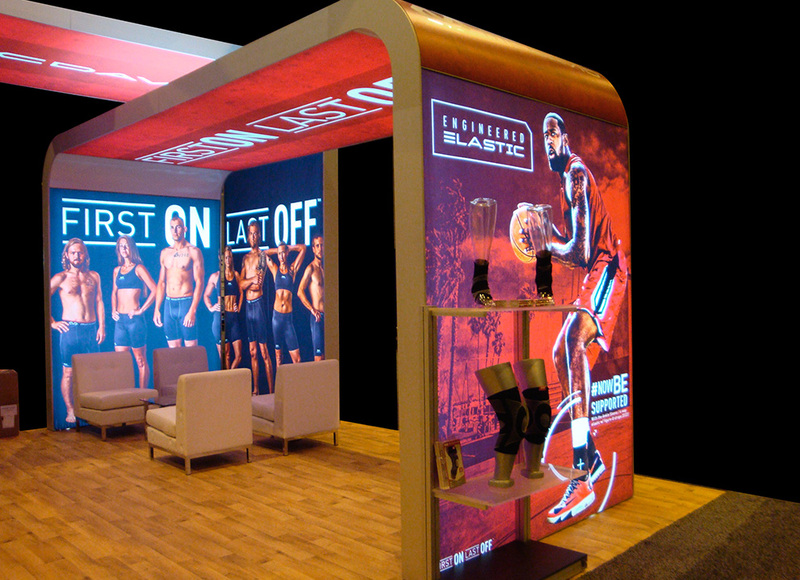 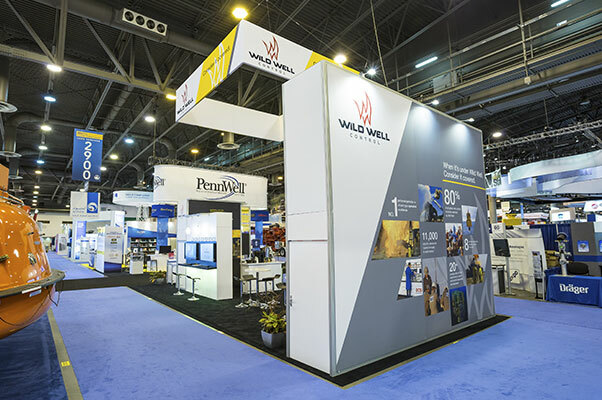 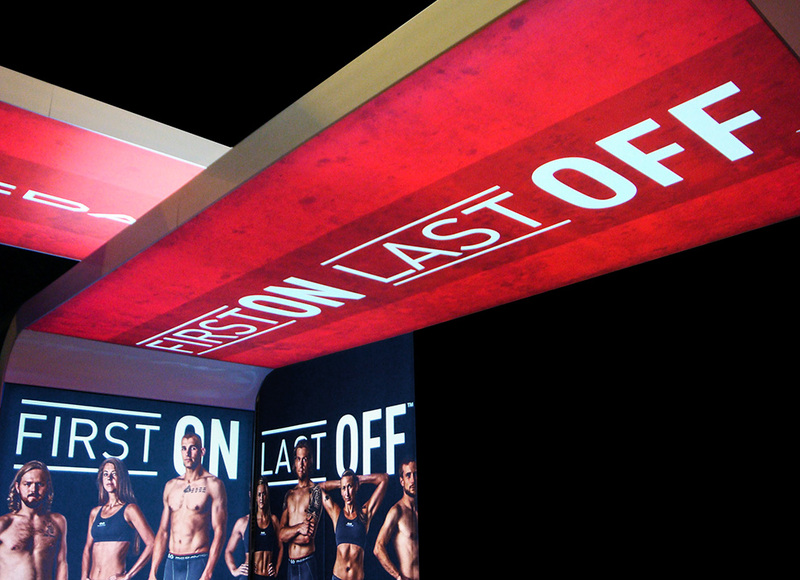 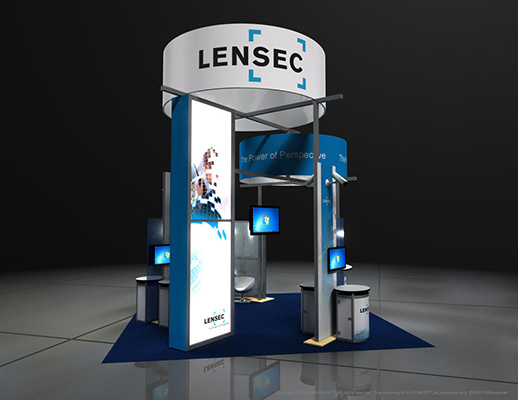 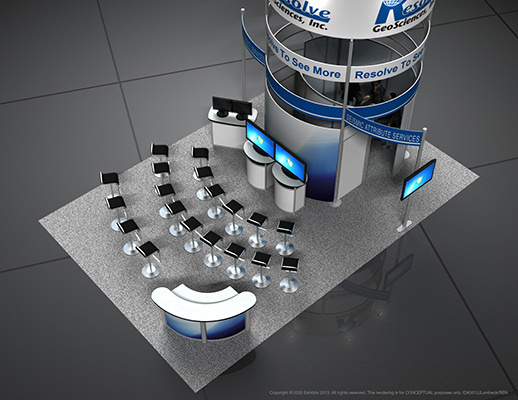 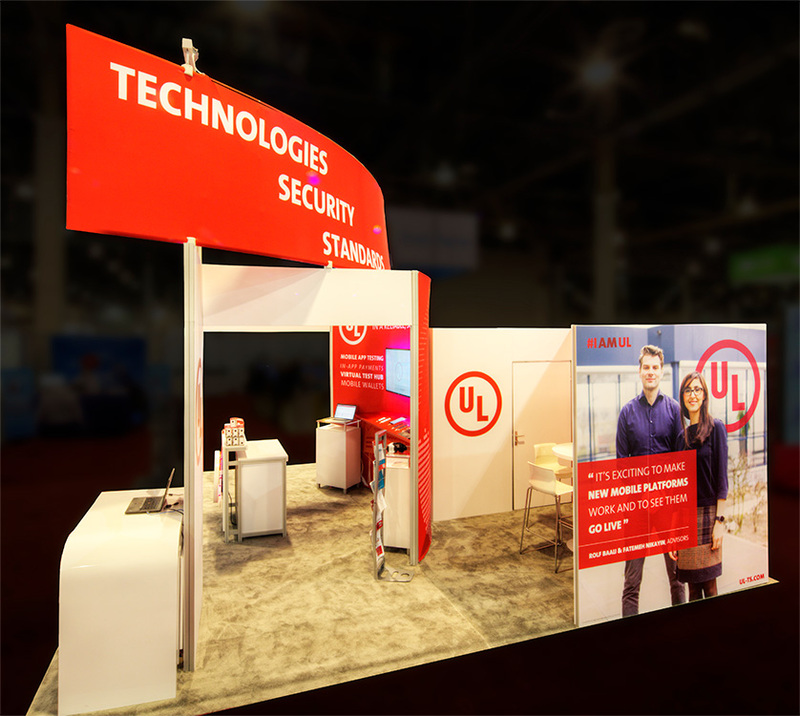 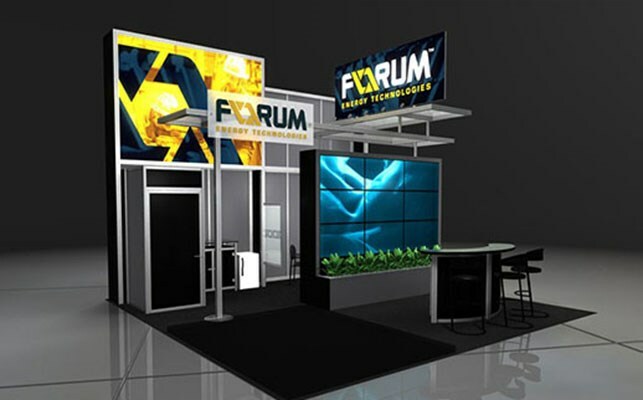 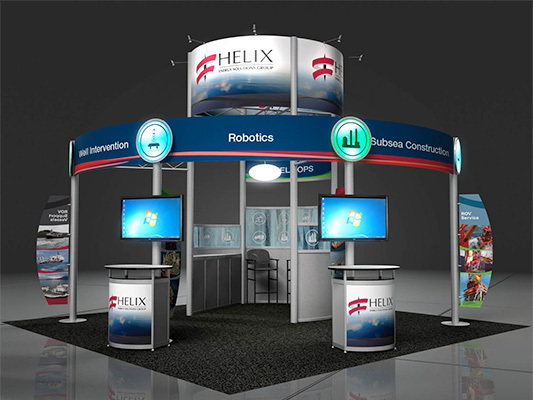 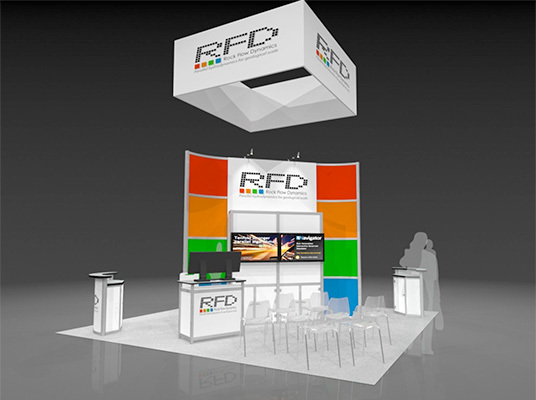 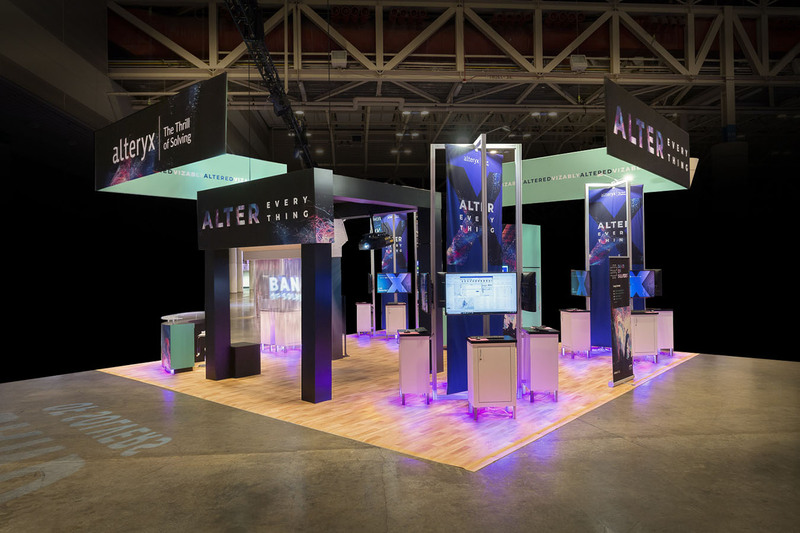 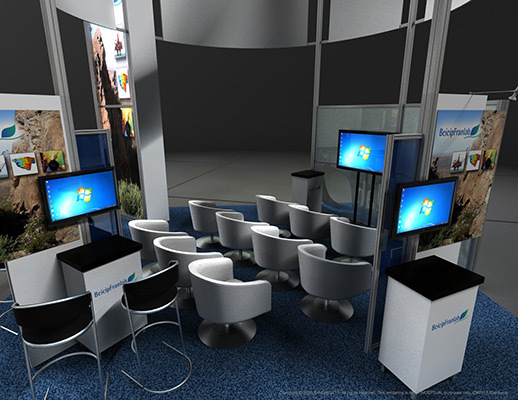 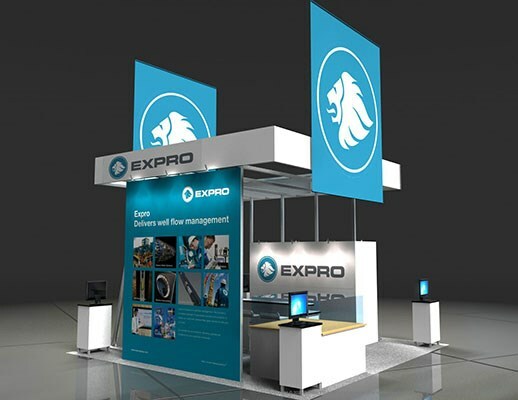 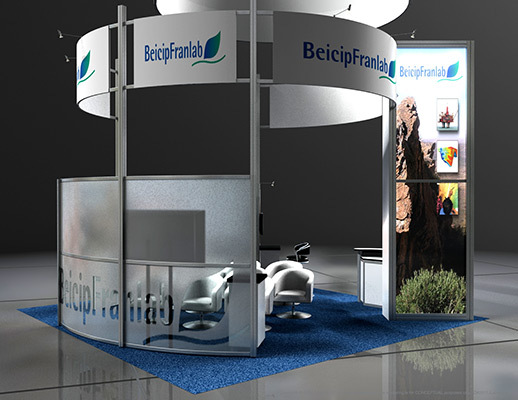 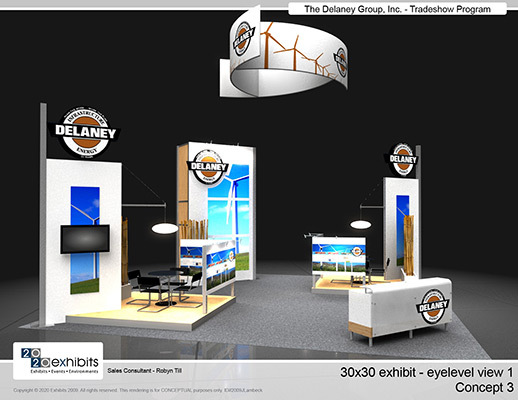 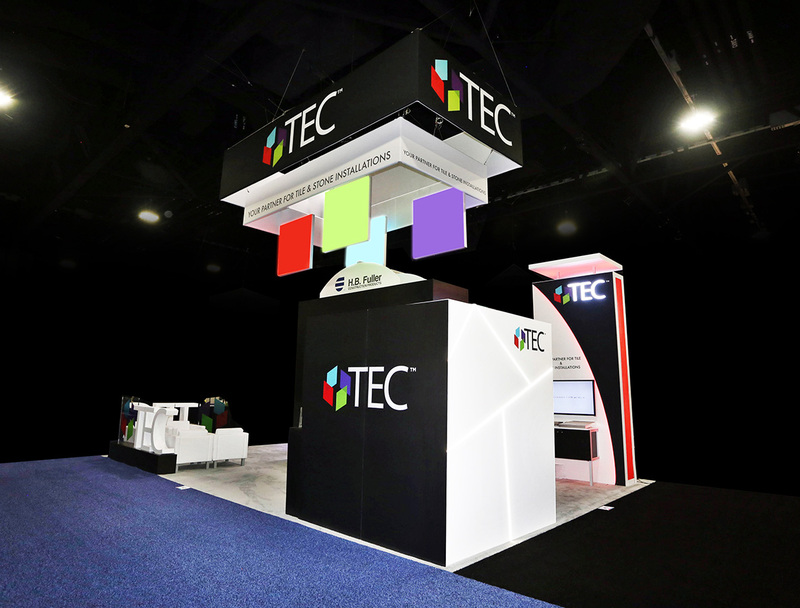 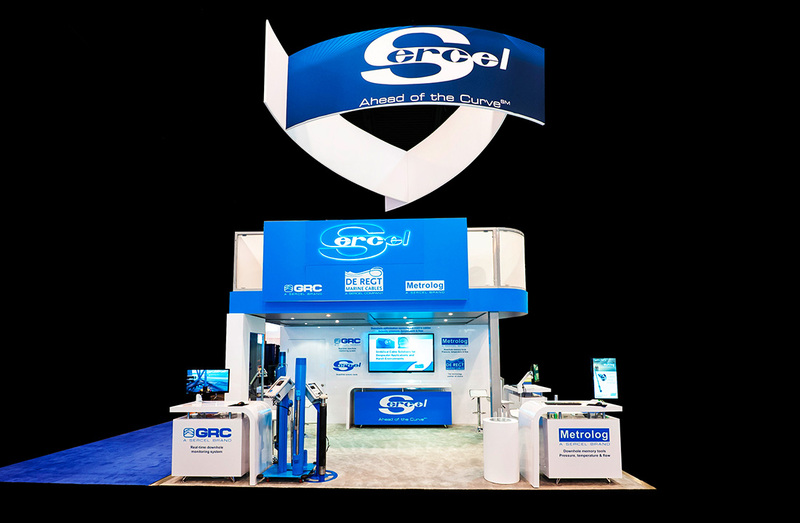 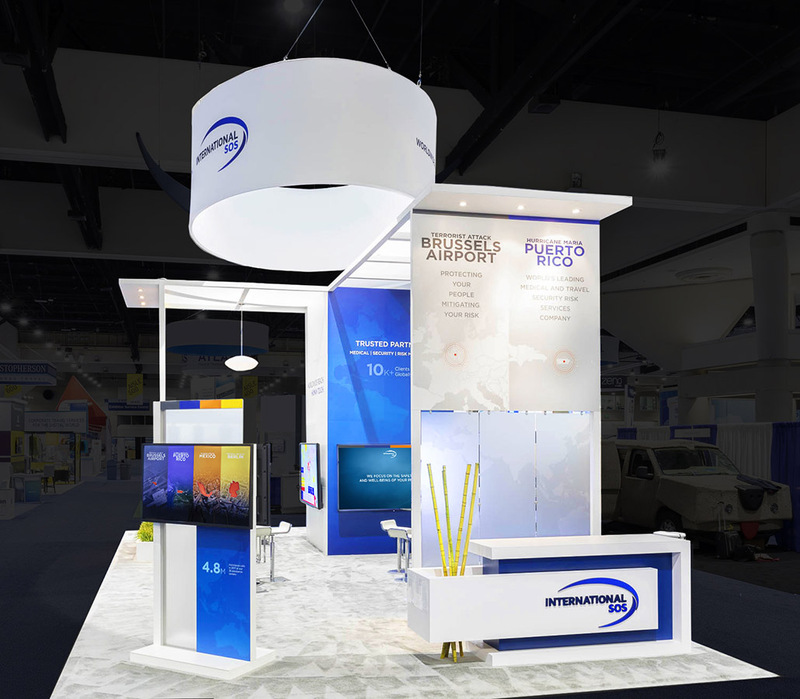 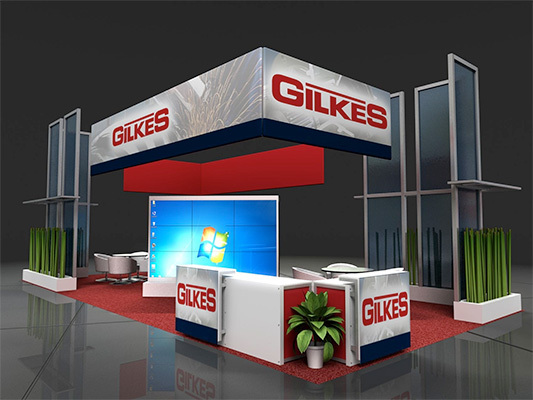 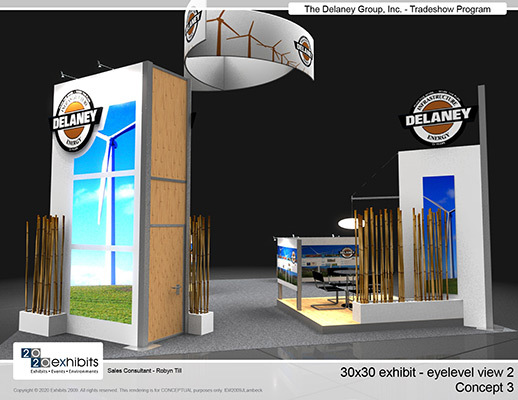 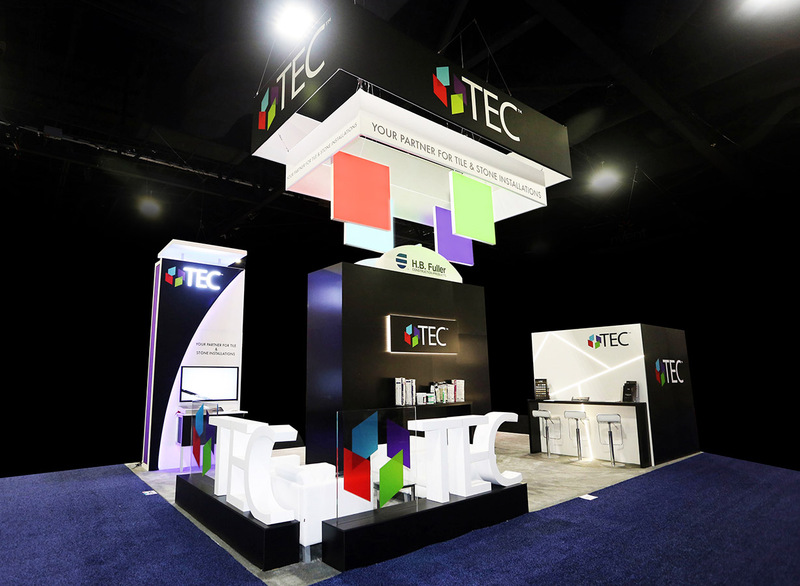 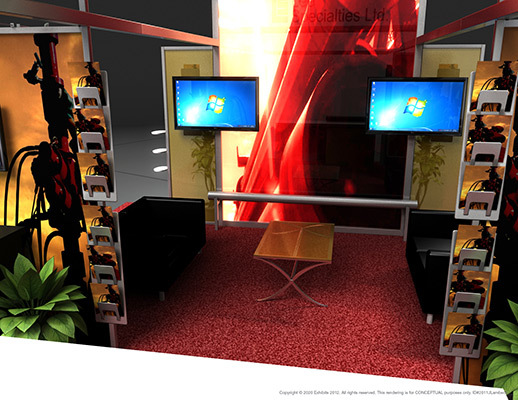 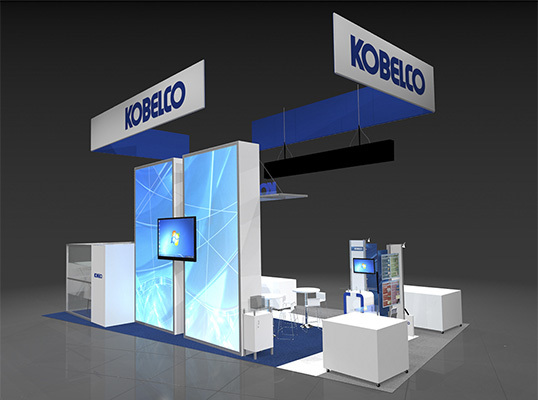 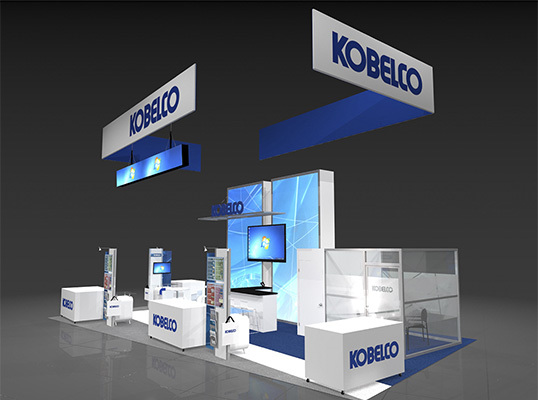 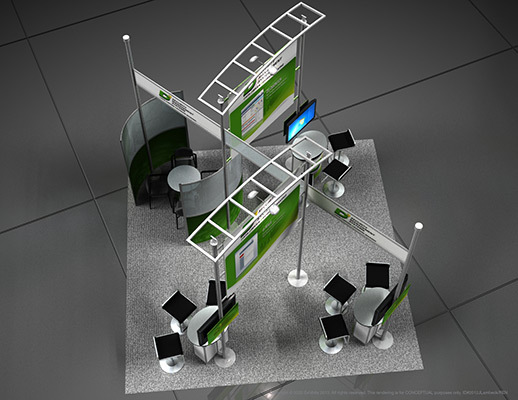 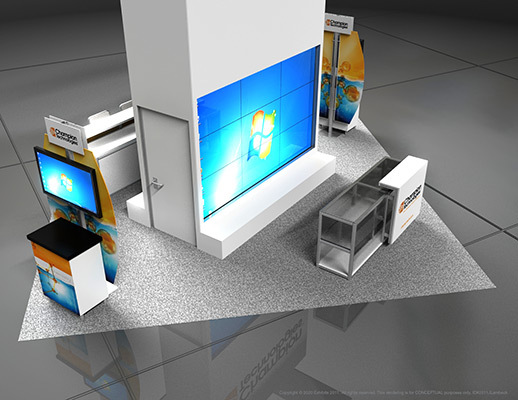 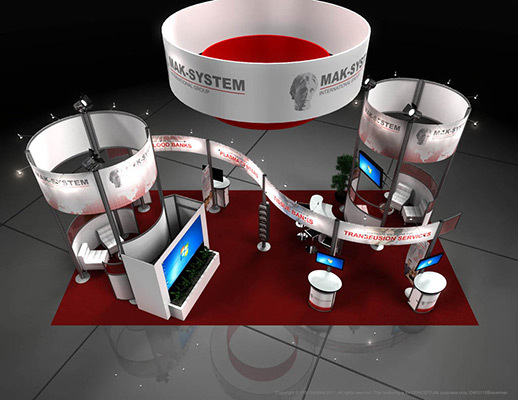 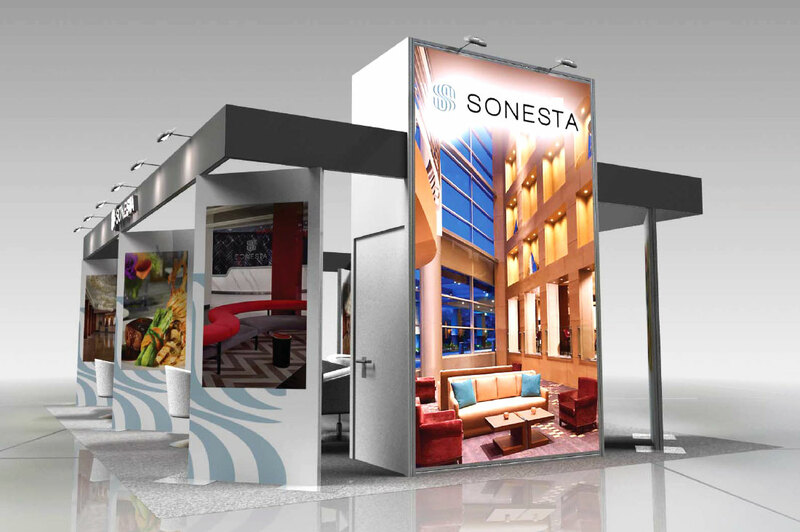 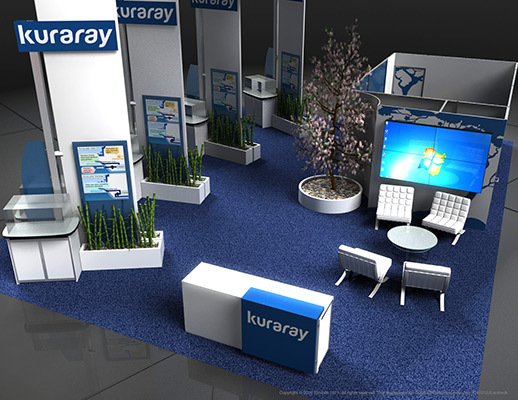 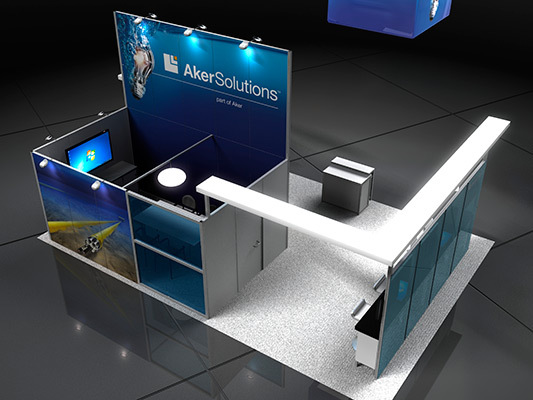 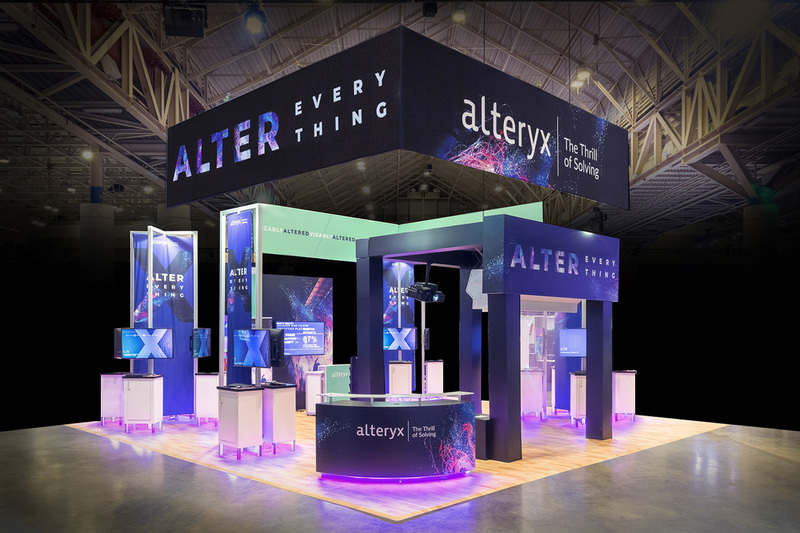 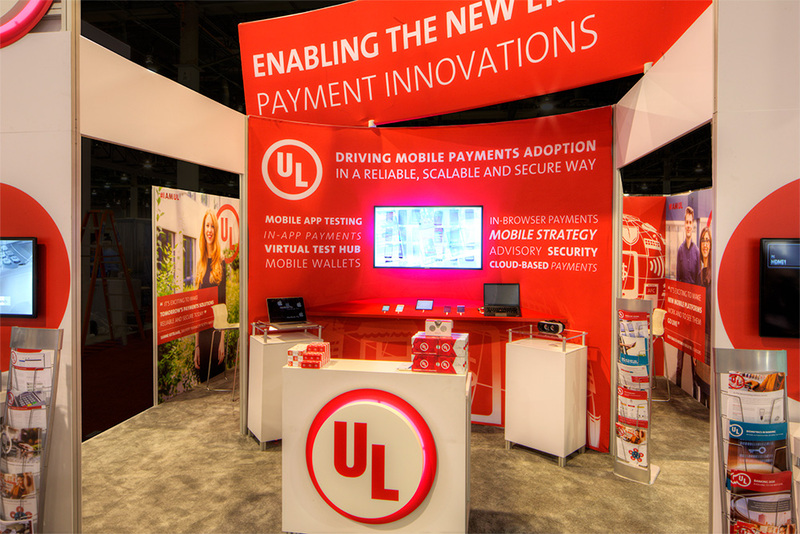 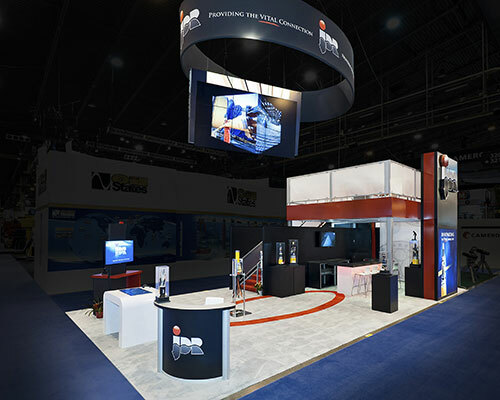 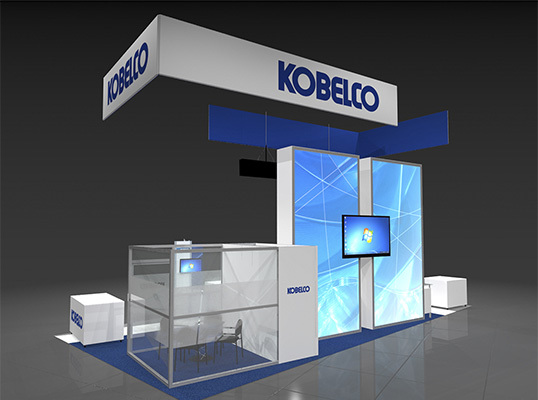 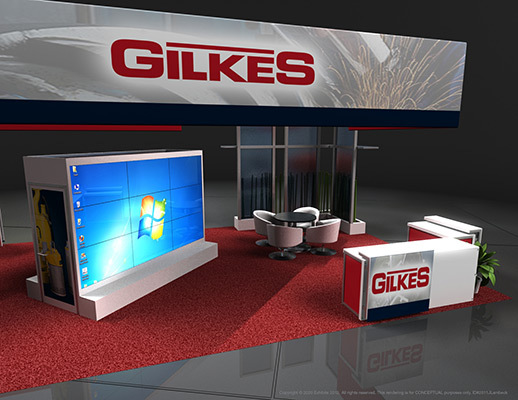 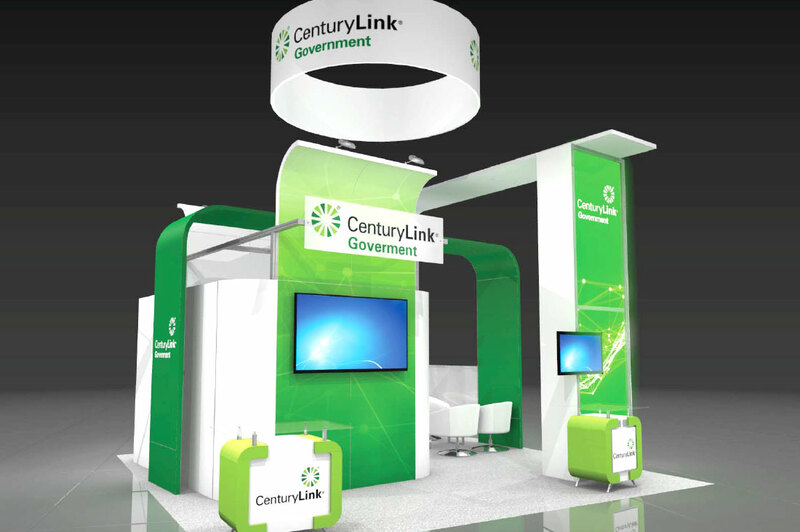 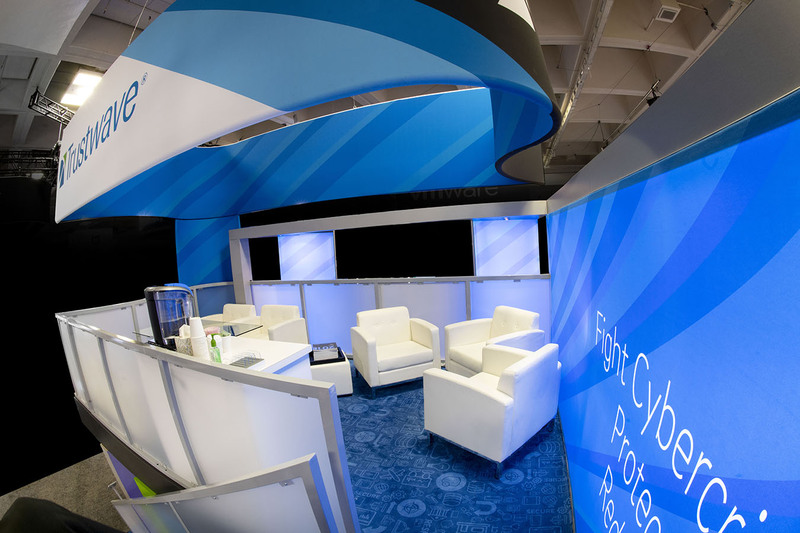 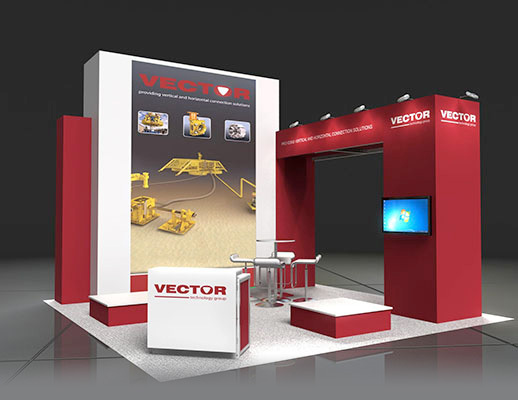 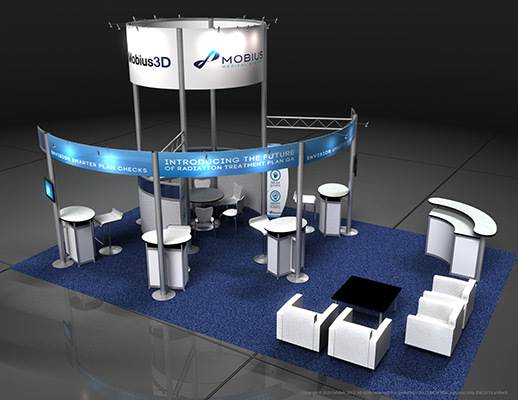 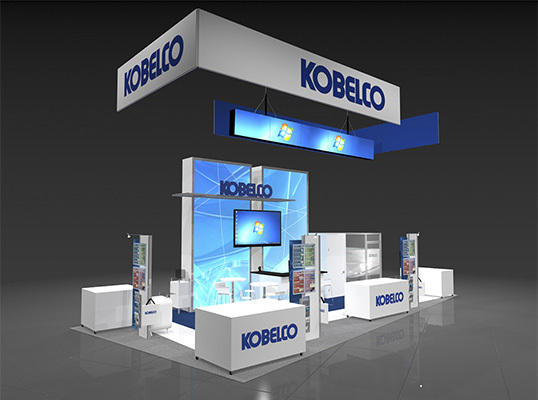 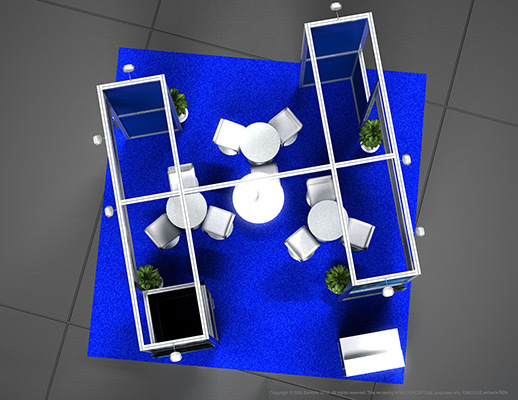 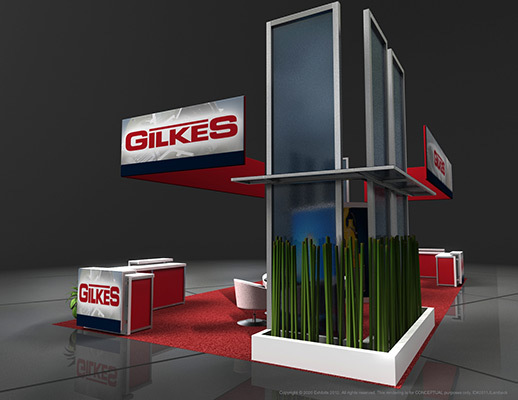 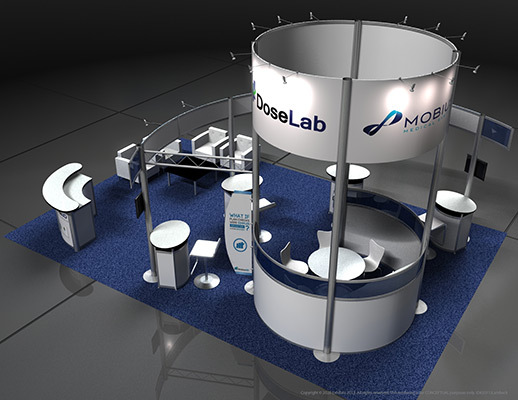 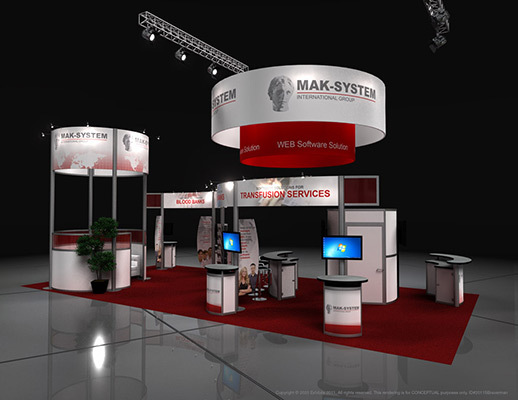 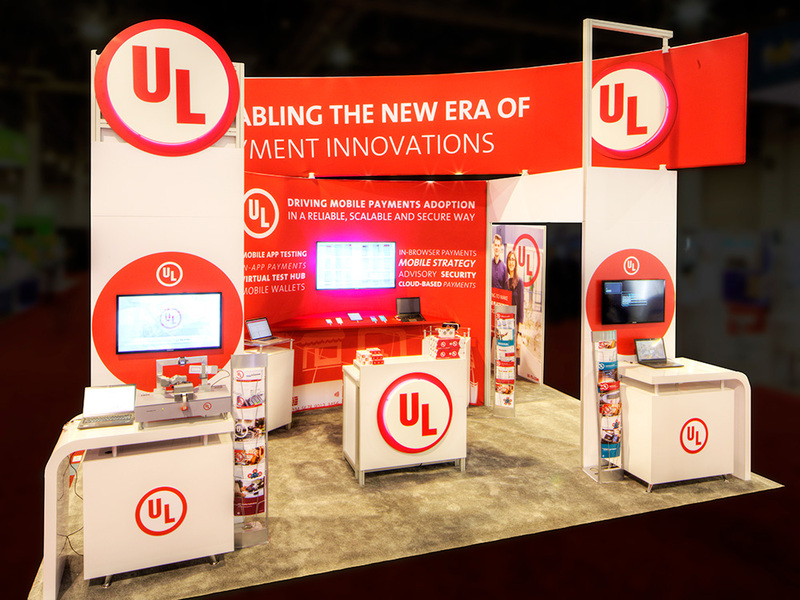 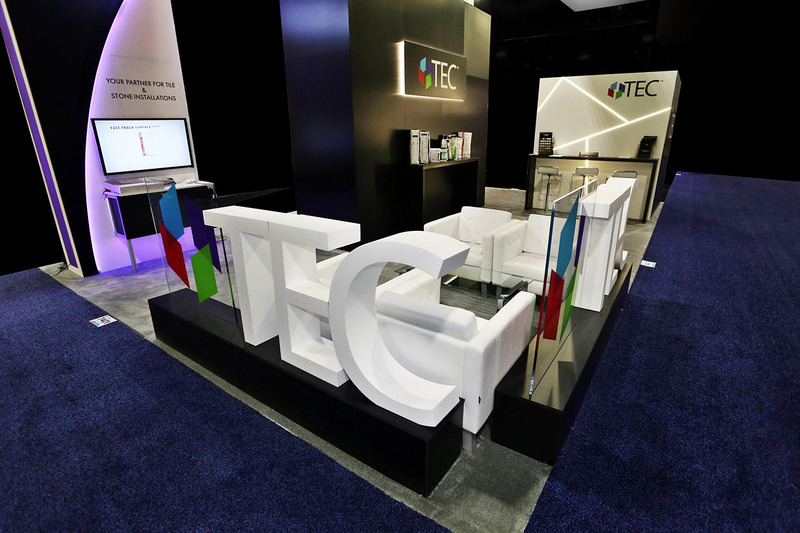 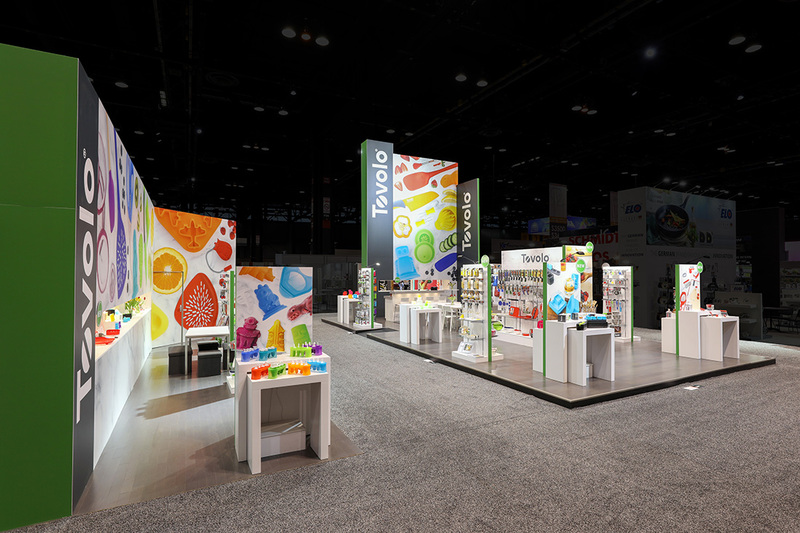 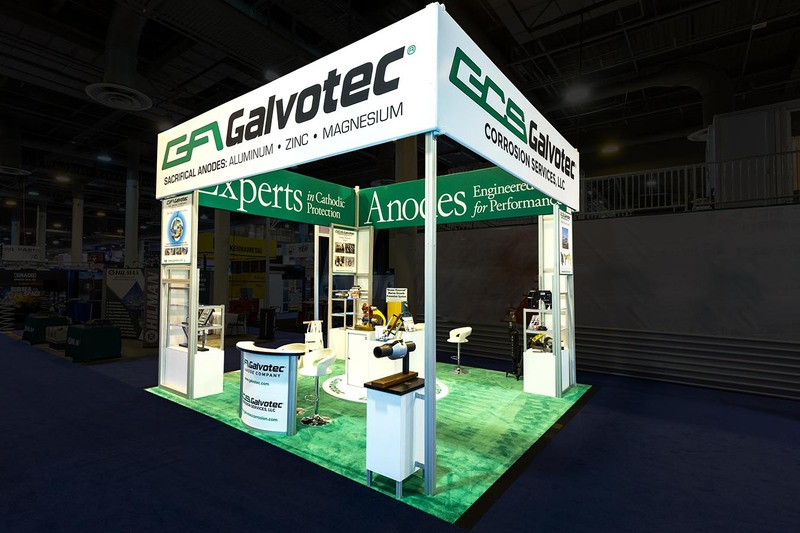 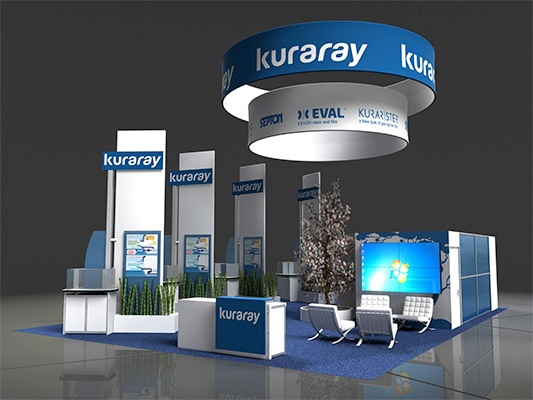 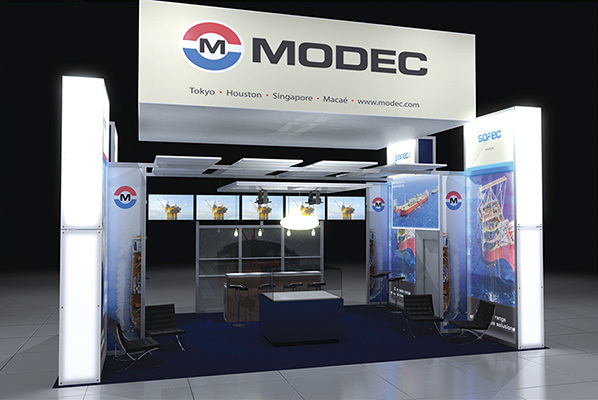 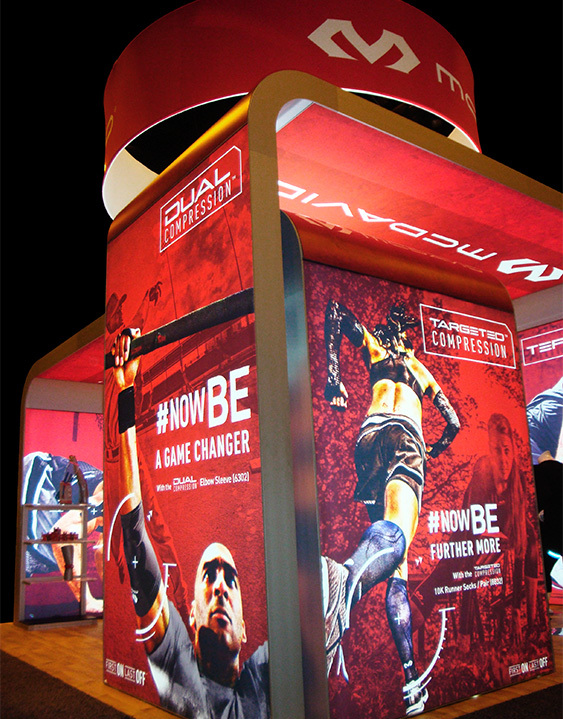 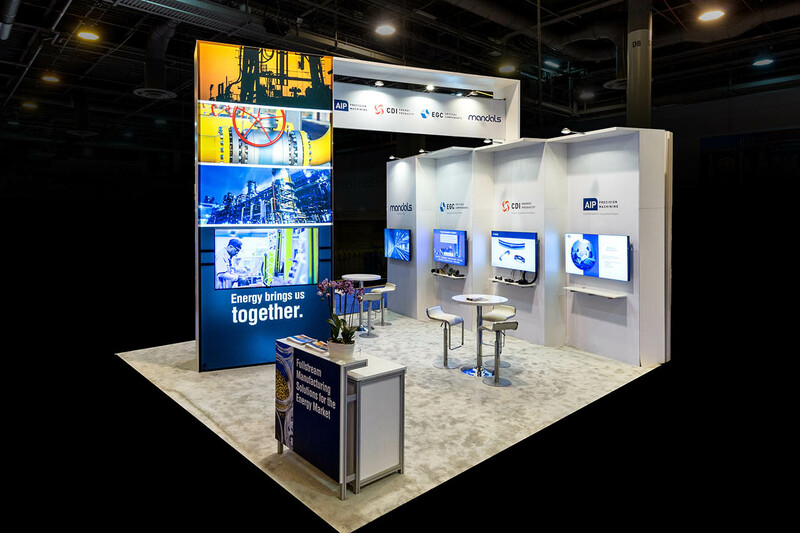 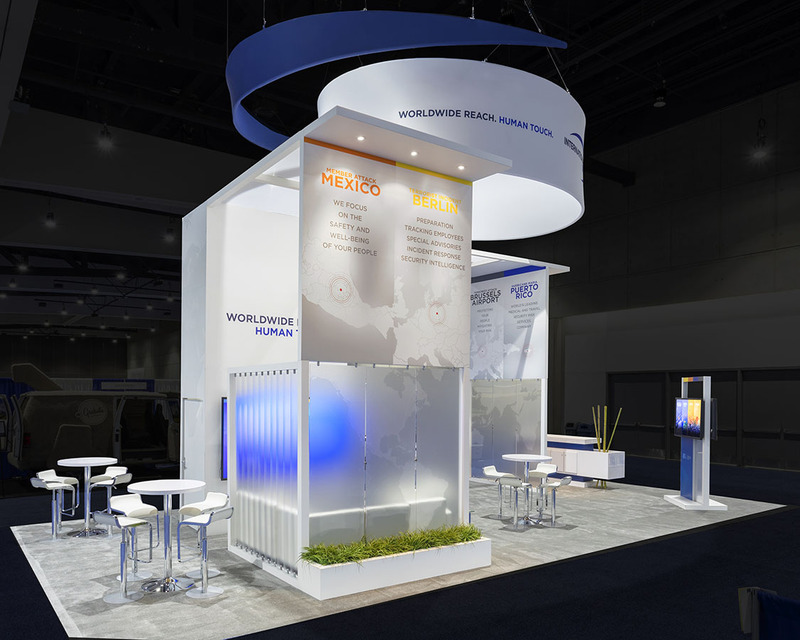 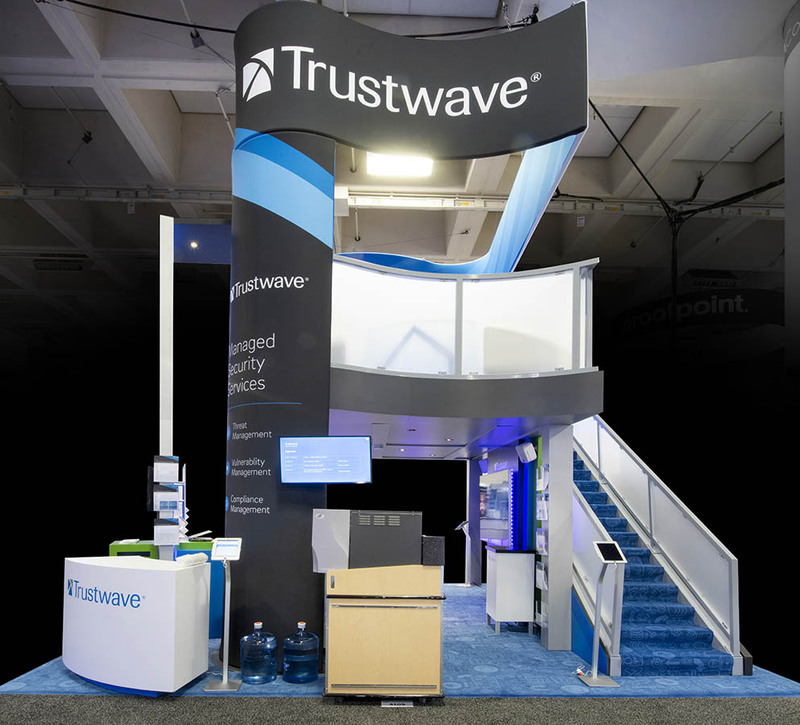 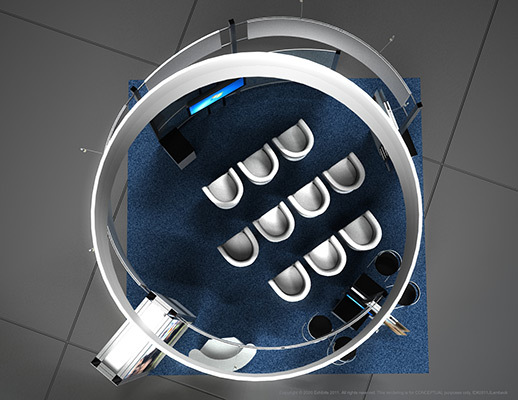 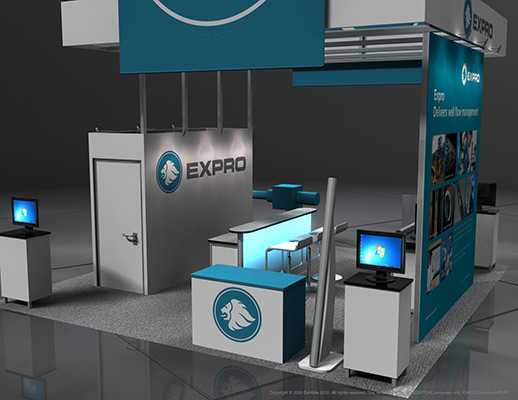 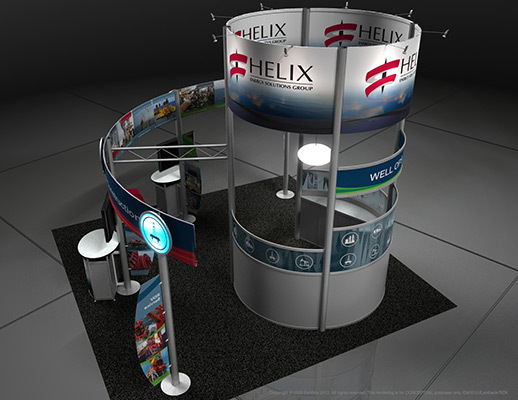 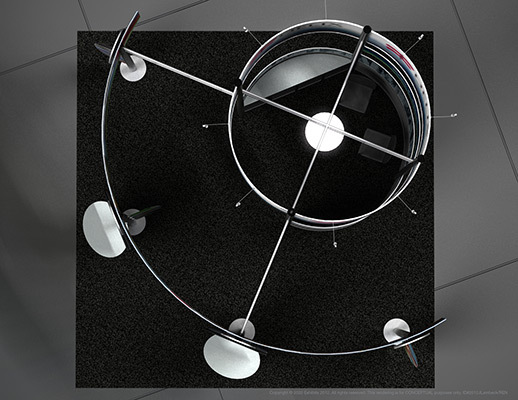 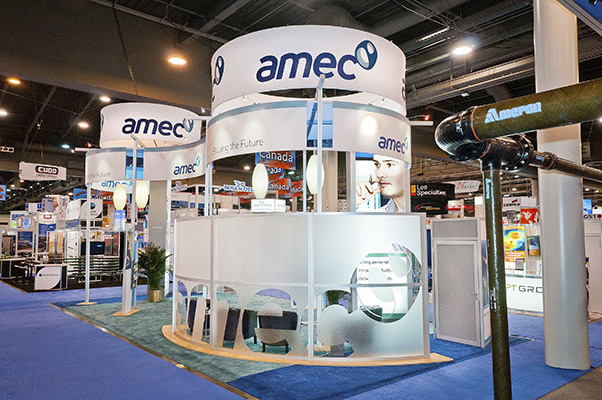 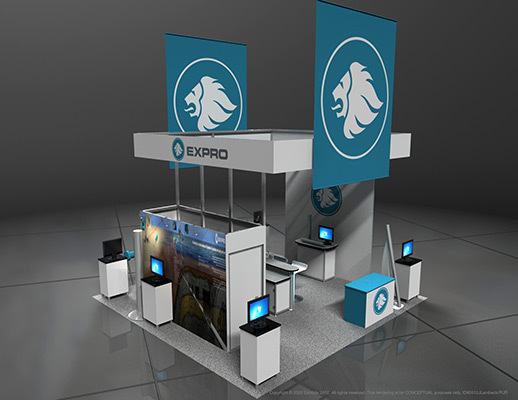 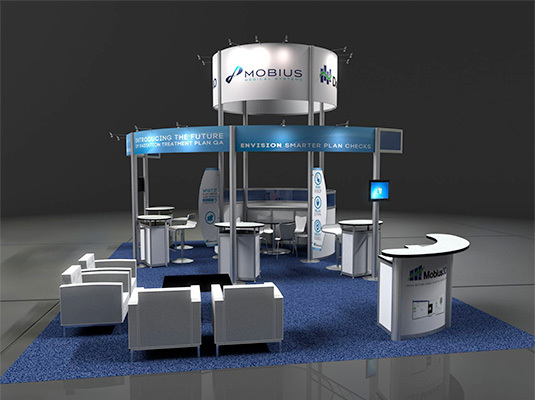 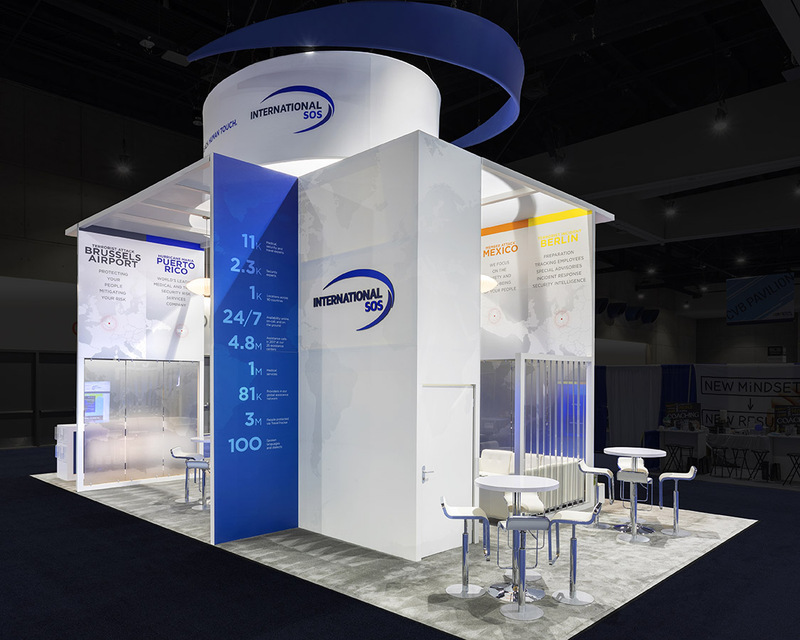 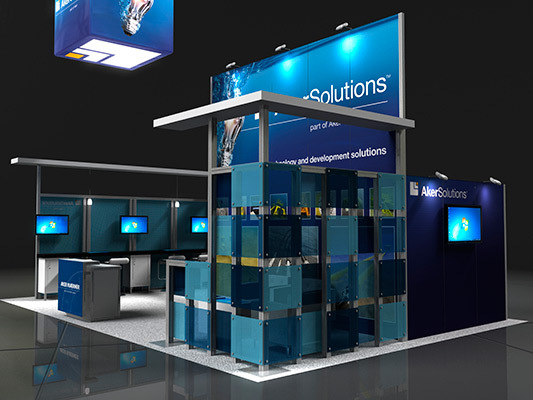 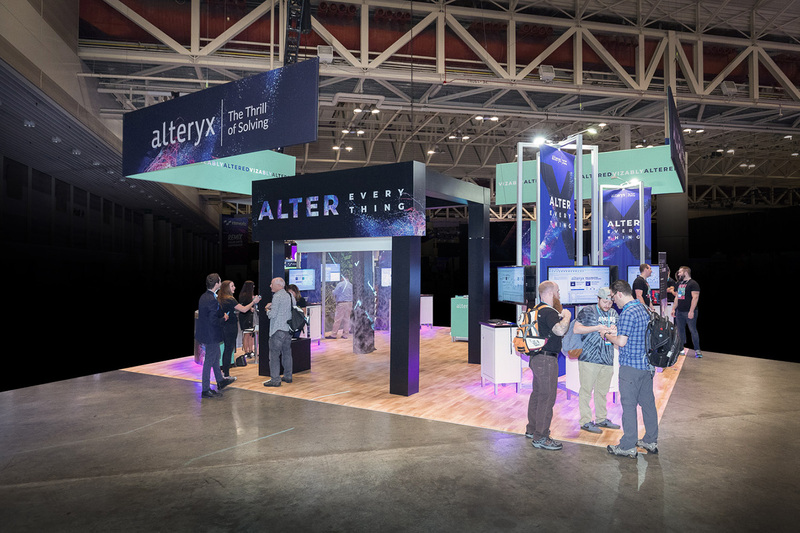 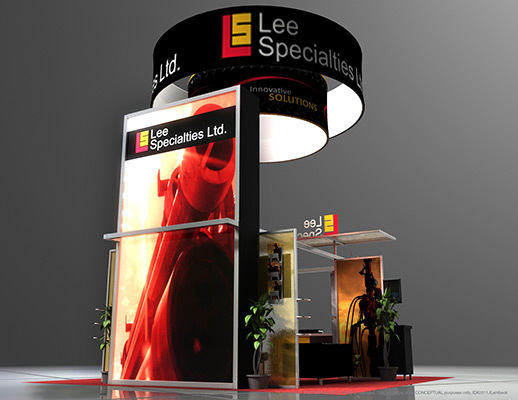 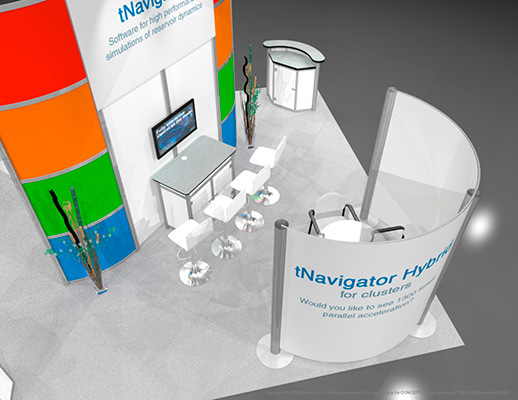 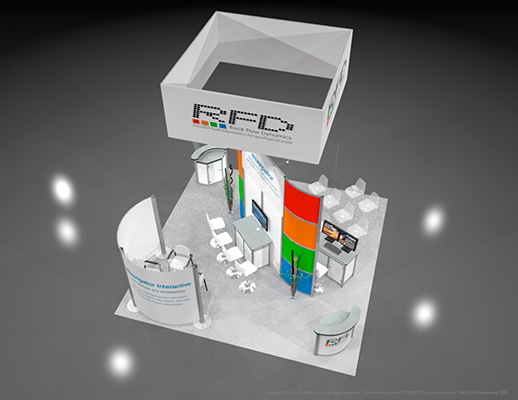 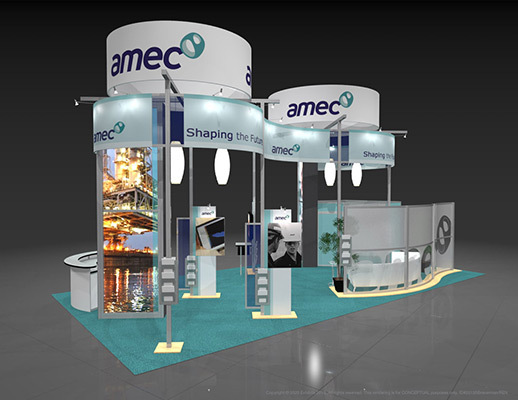 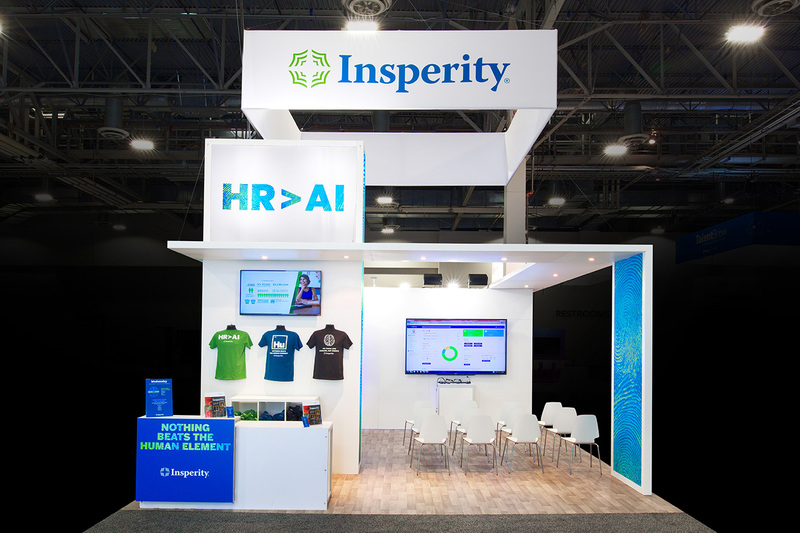 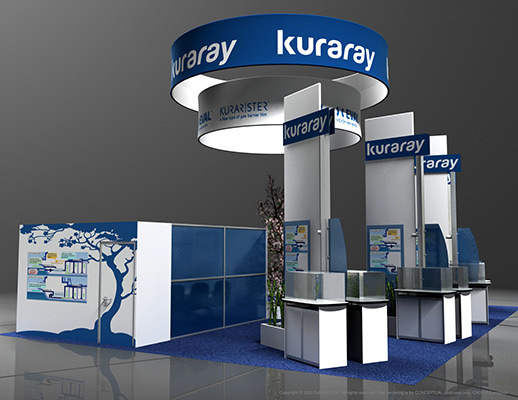 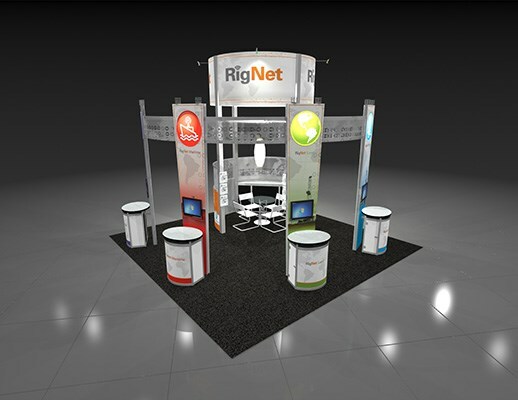 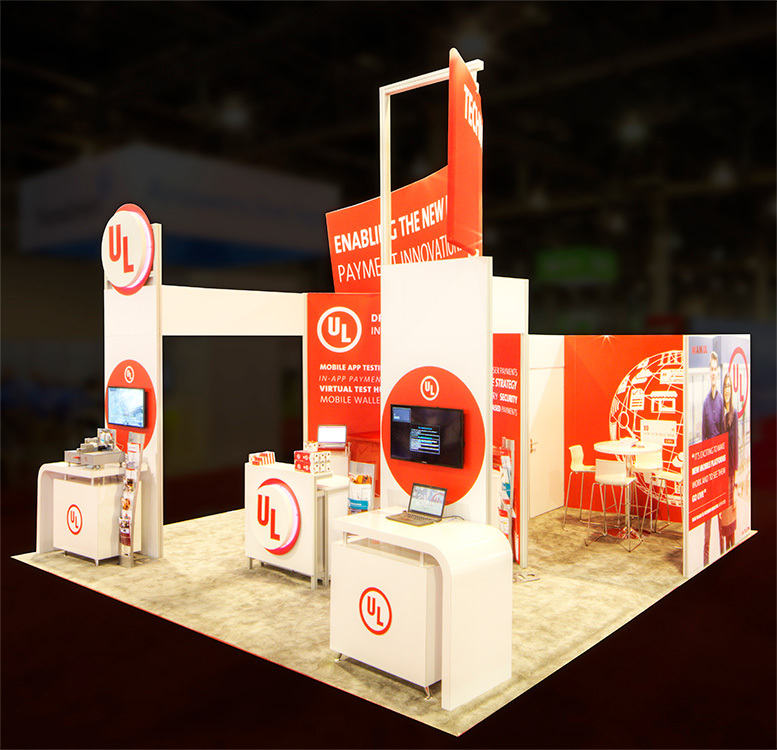 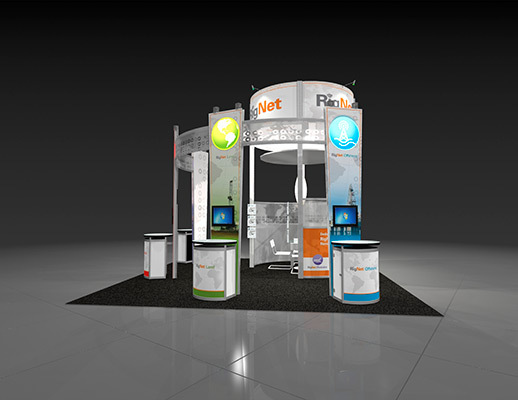 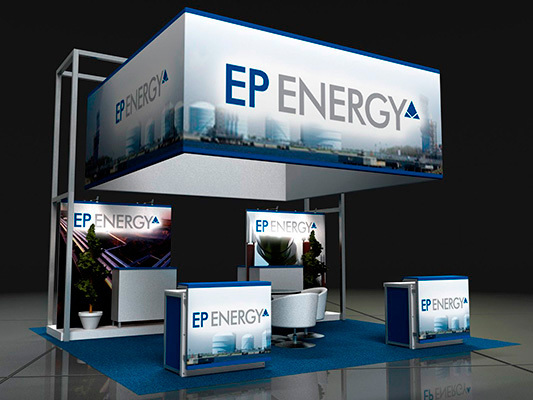 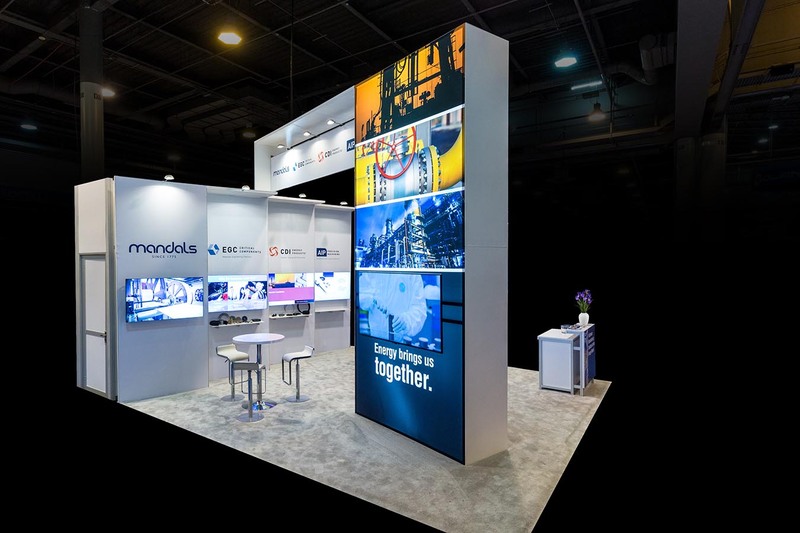 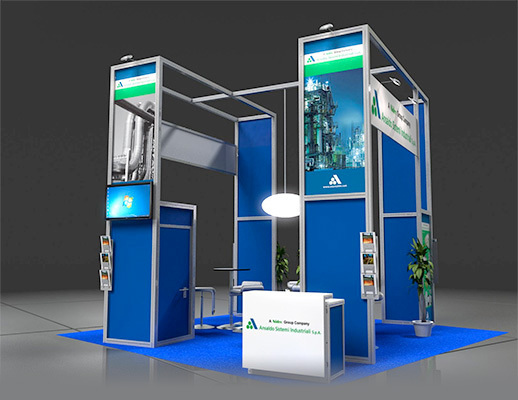 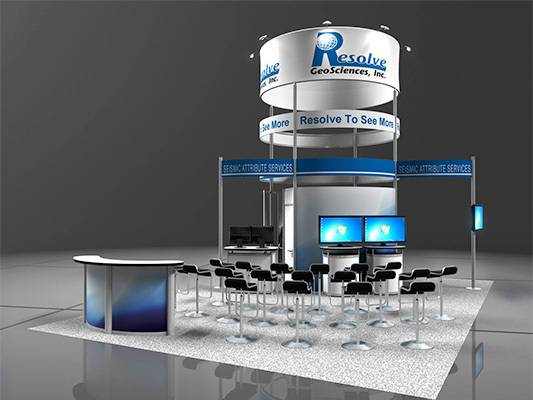 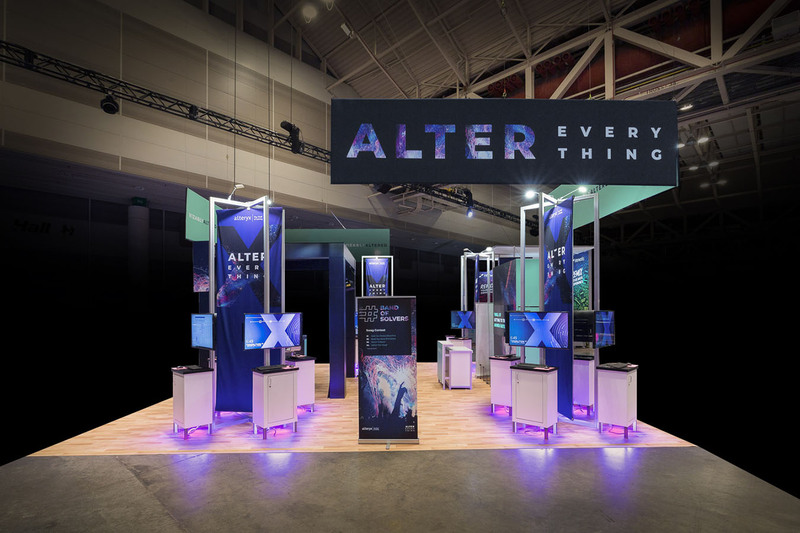 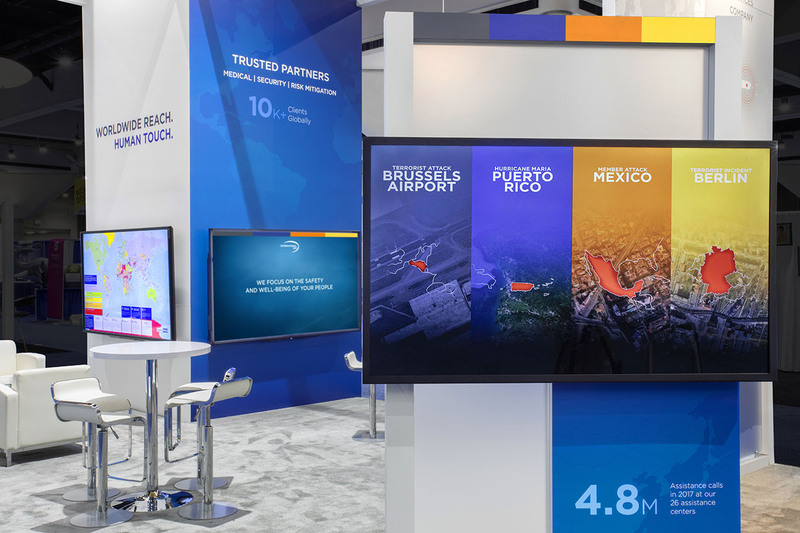 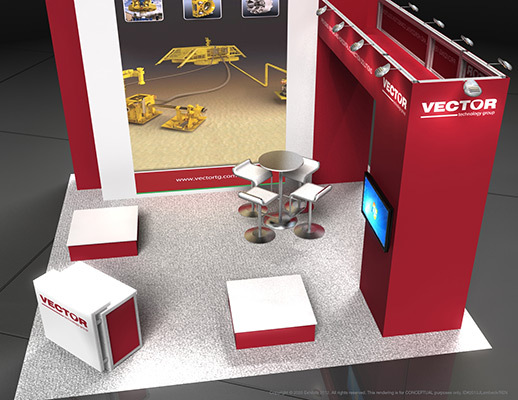 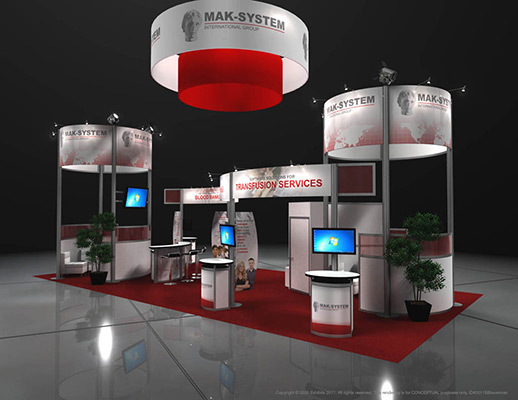 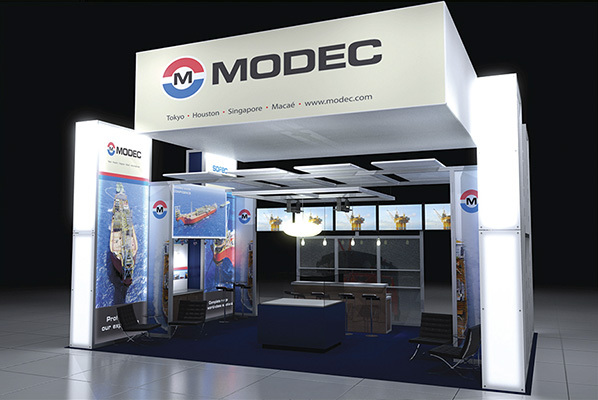 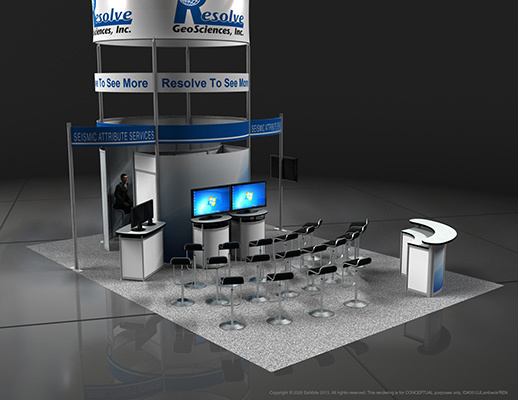 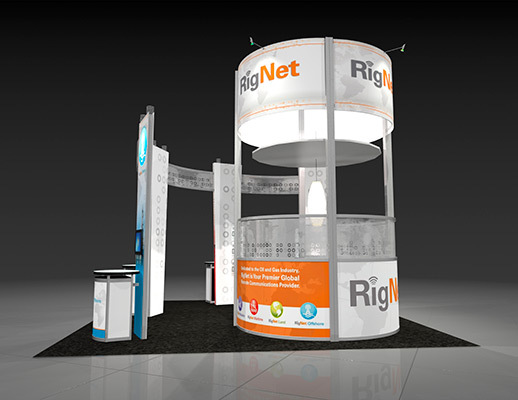 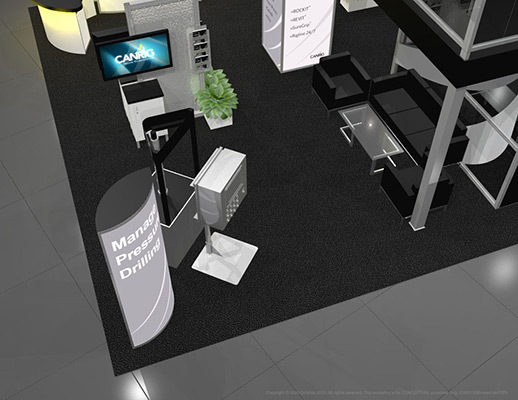 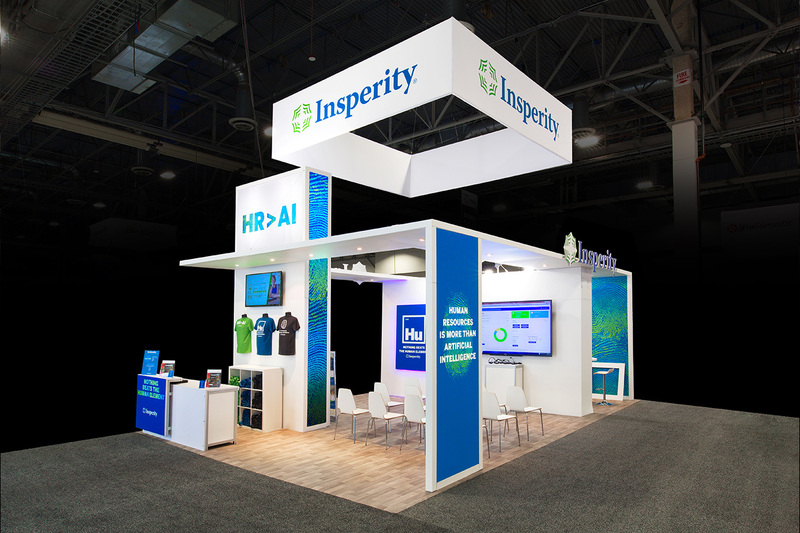 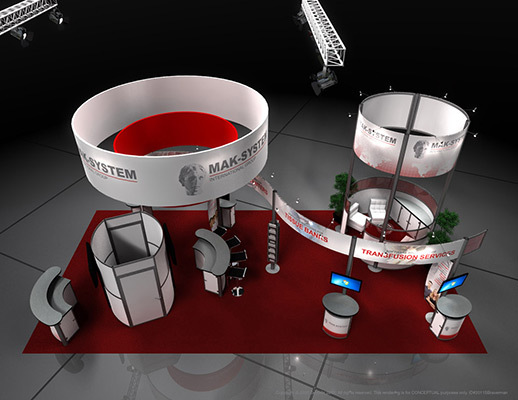 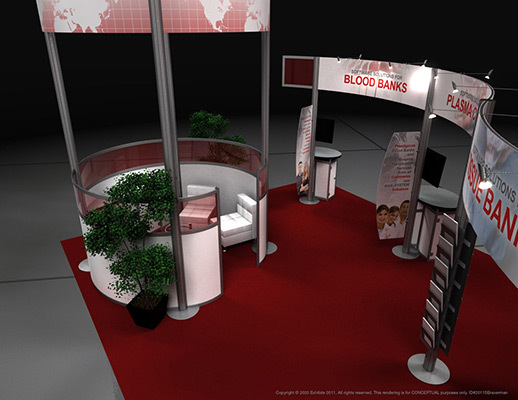 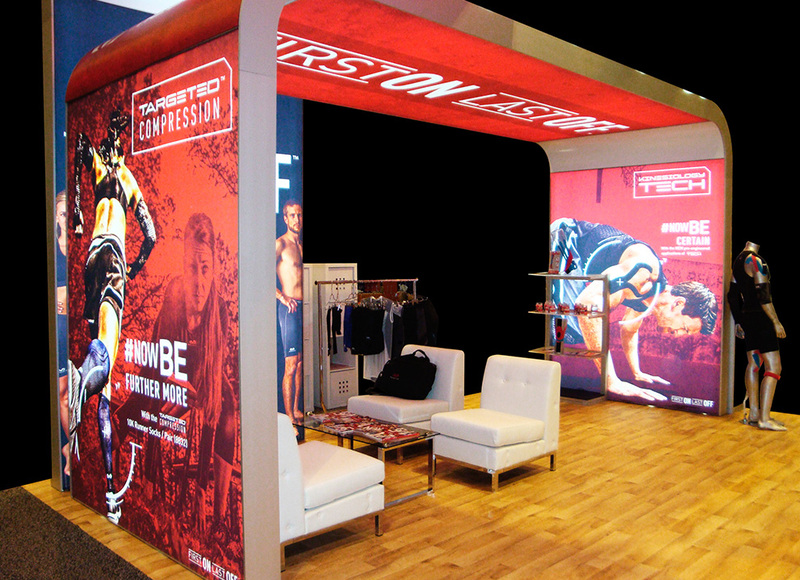 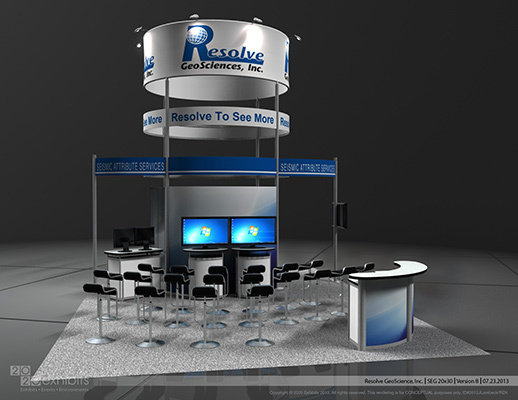 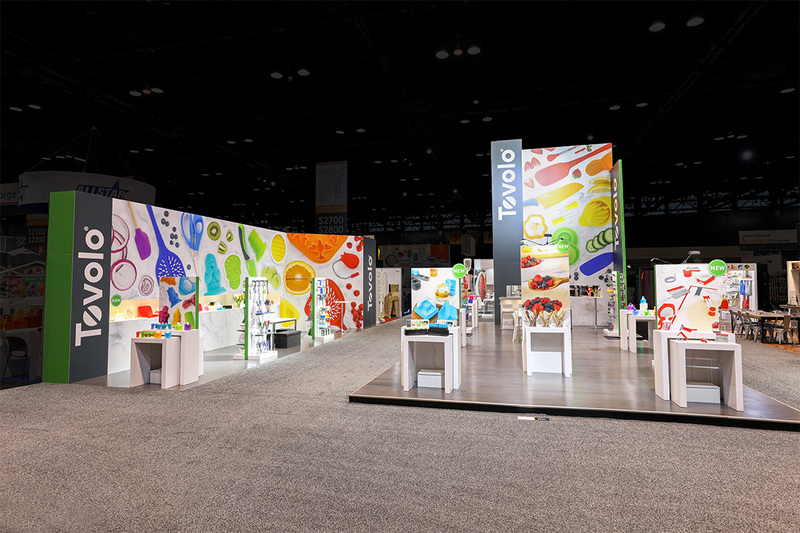 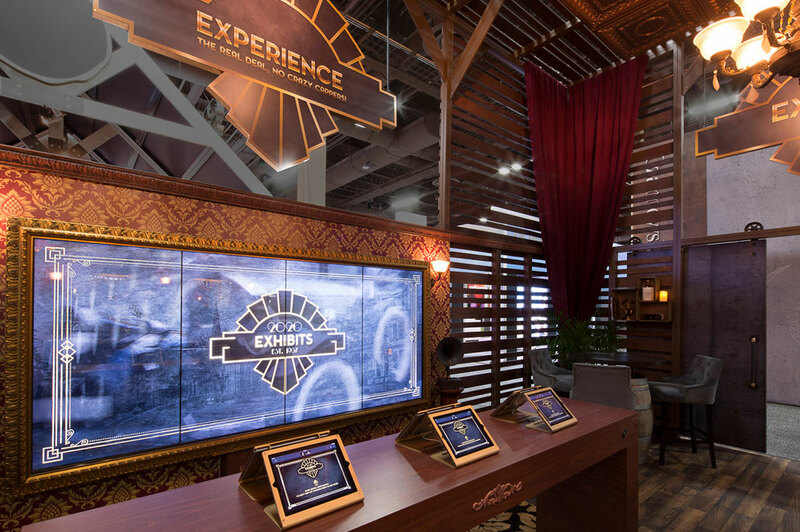 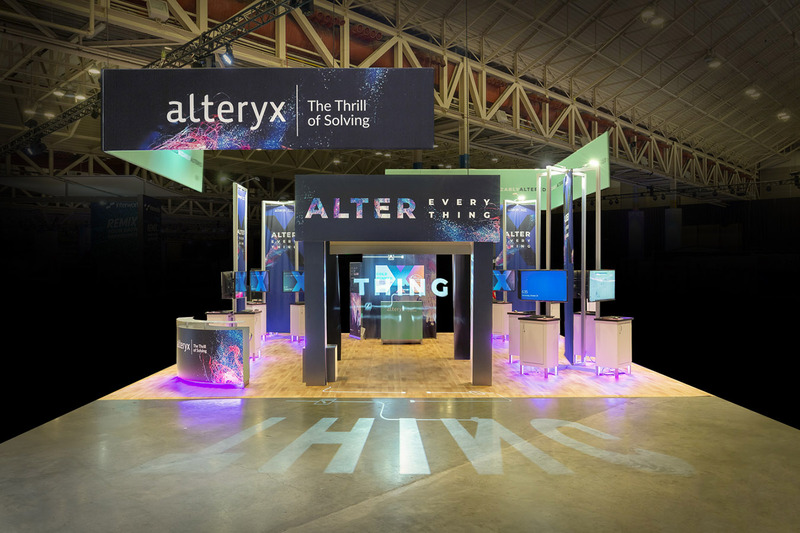 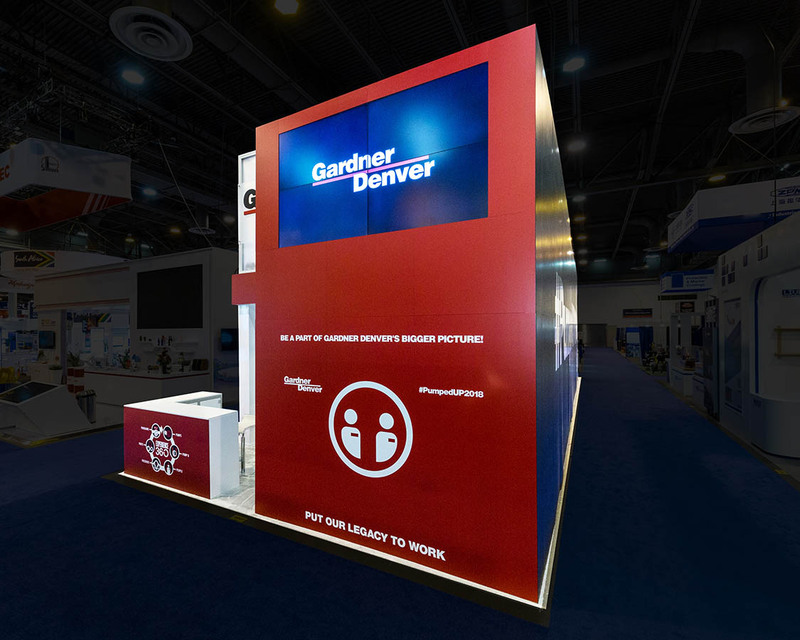 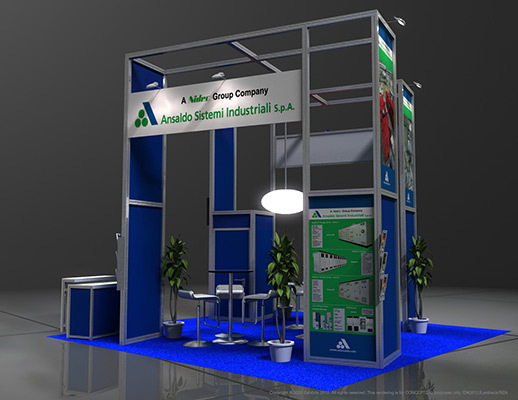 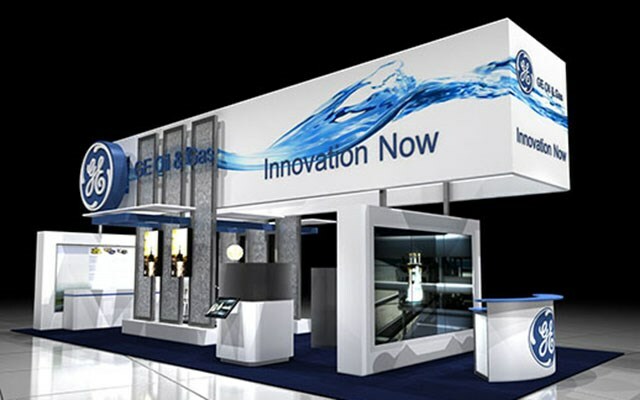 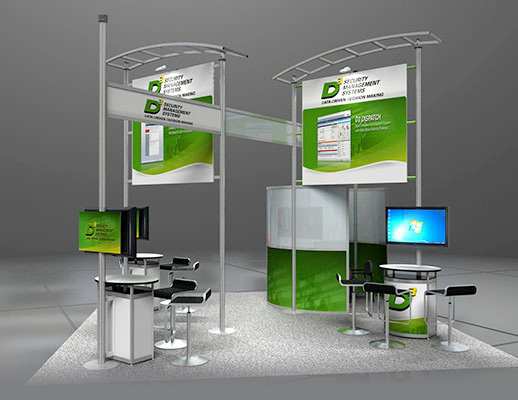 Overhead circular logo graphic signage compels visitors and several kiosks for presenters to meet with many different attendees at the same time. 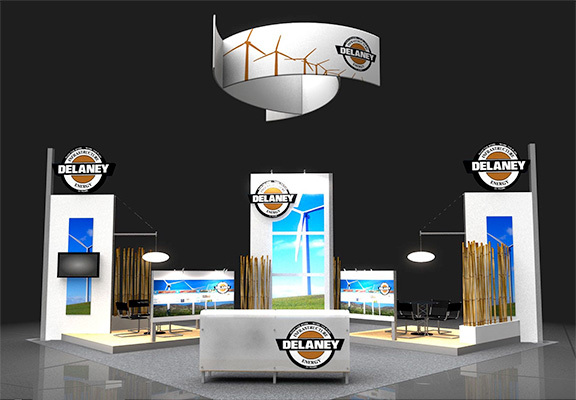 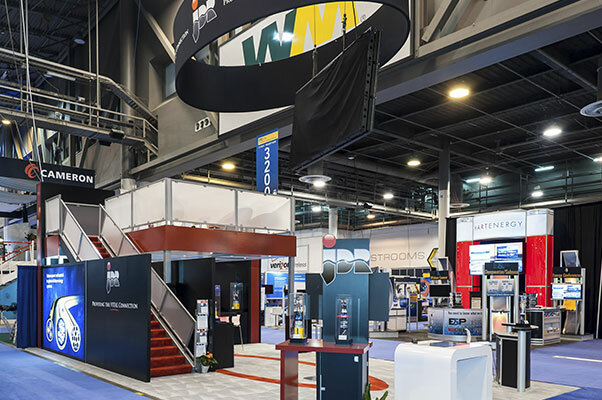 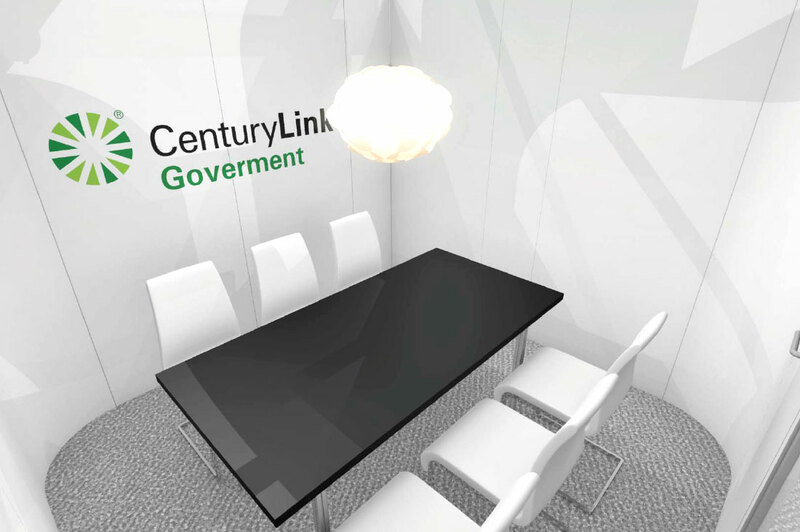 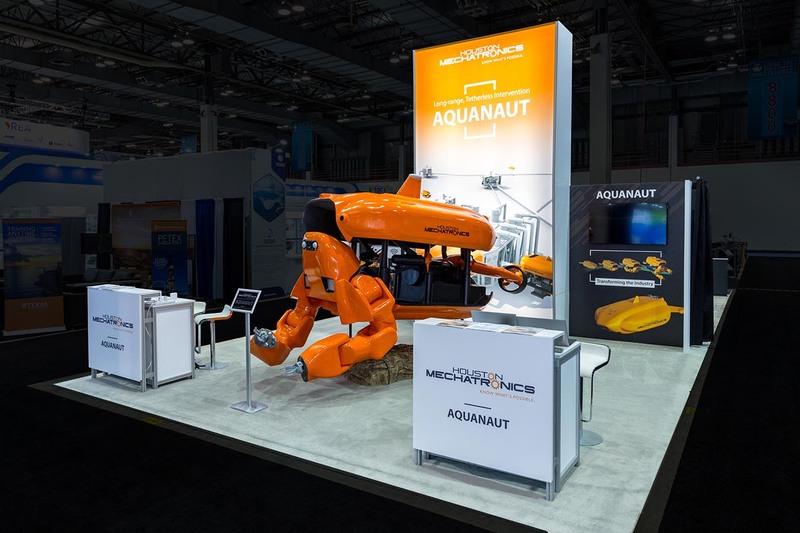 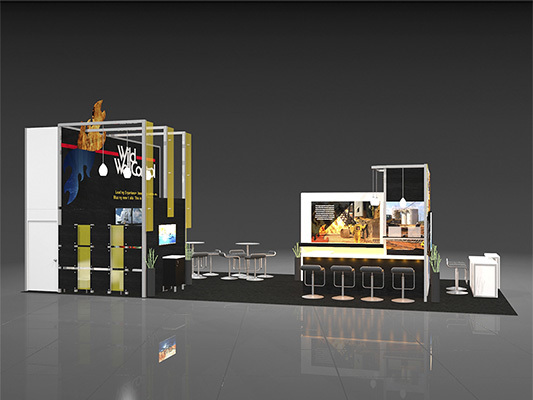 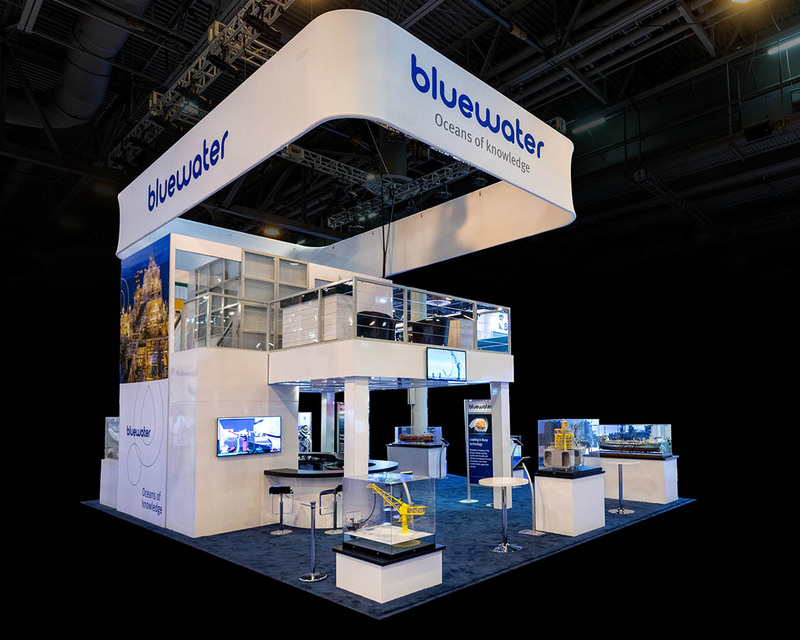 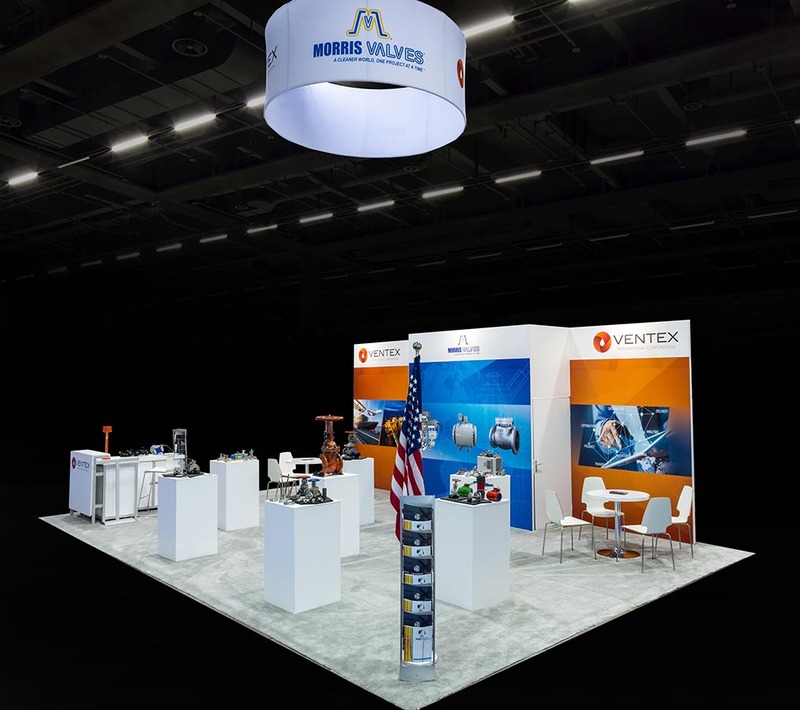 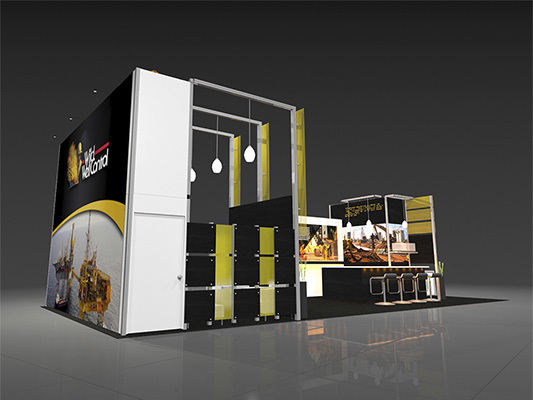 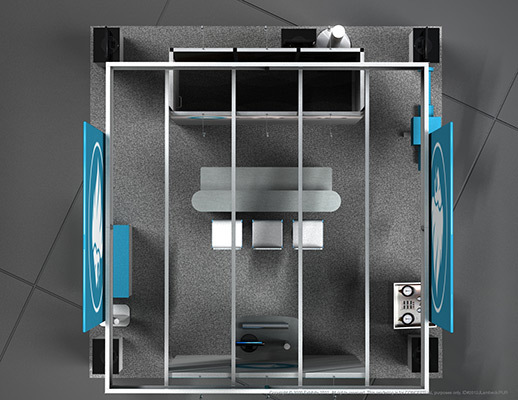 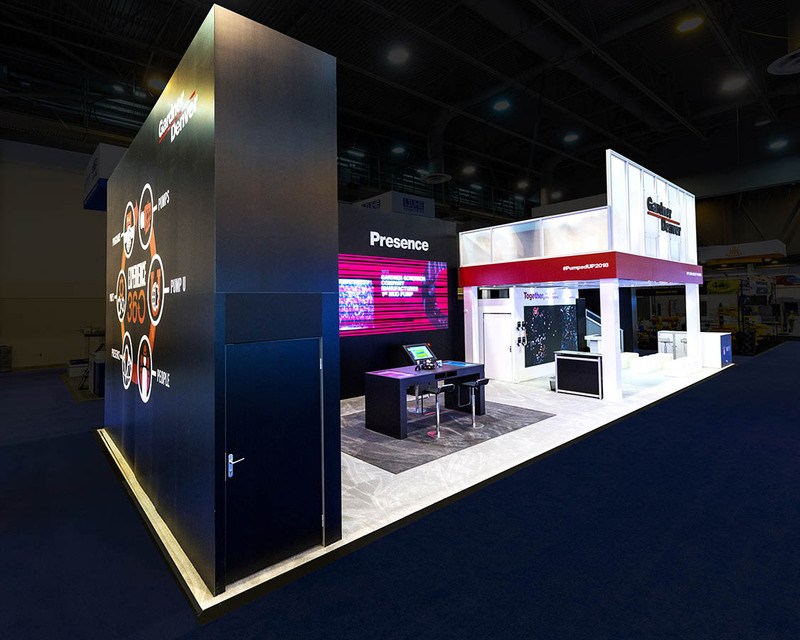 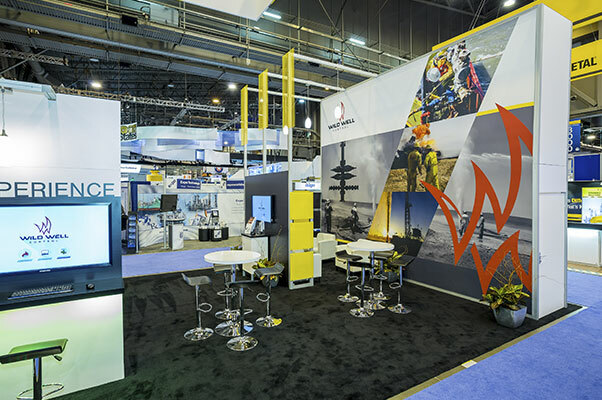 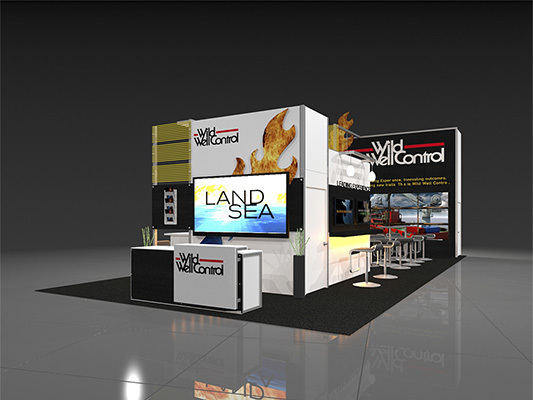 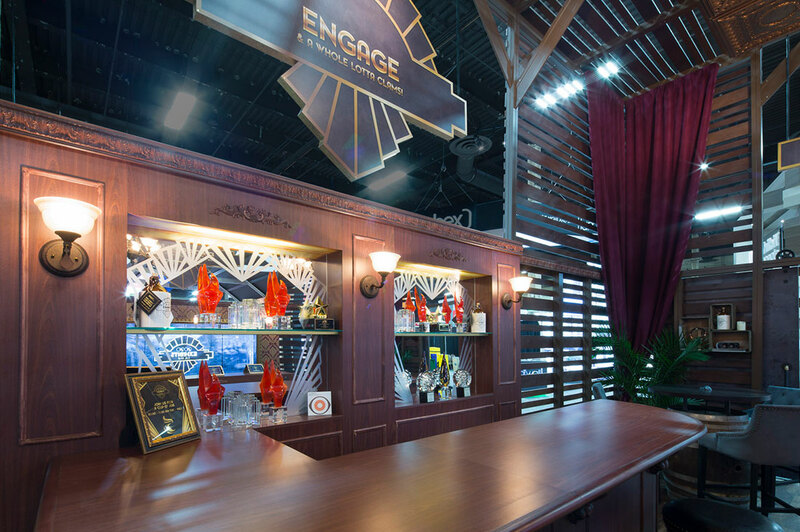 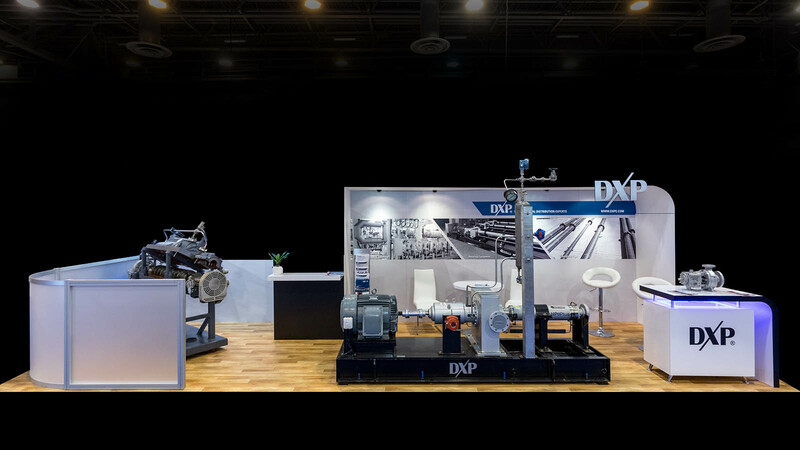 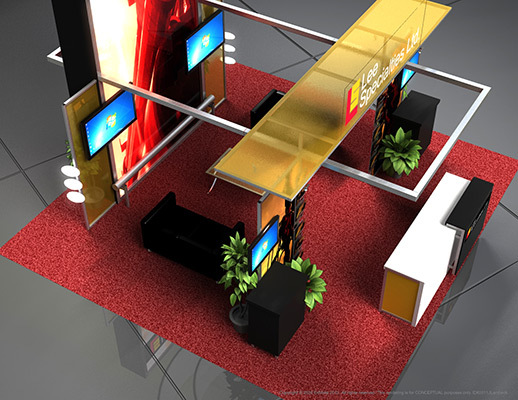 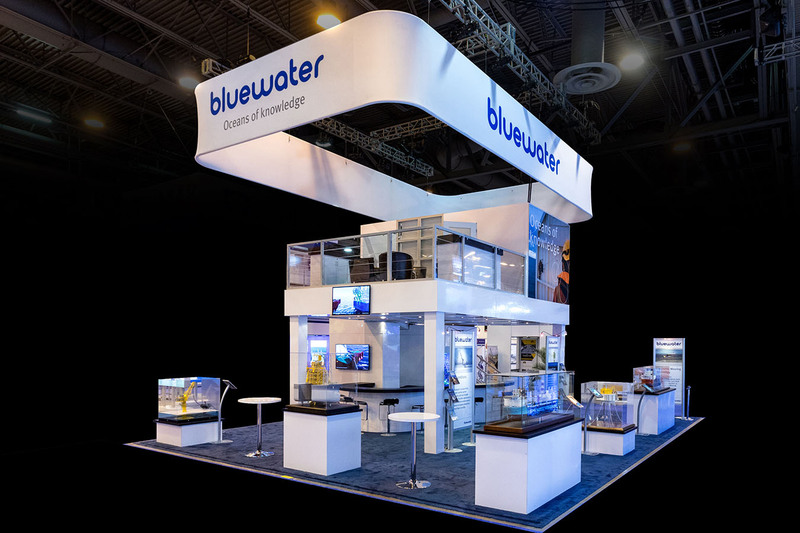 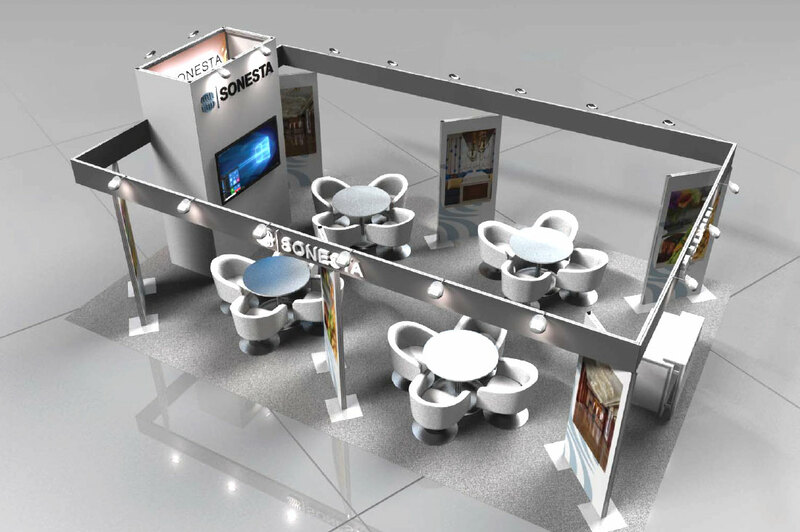 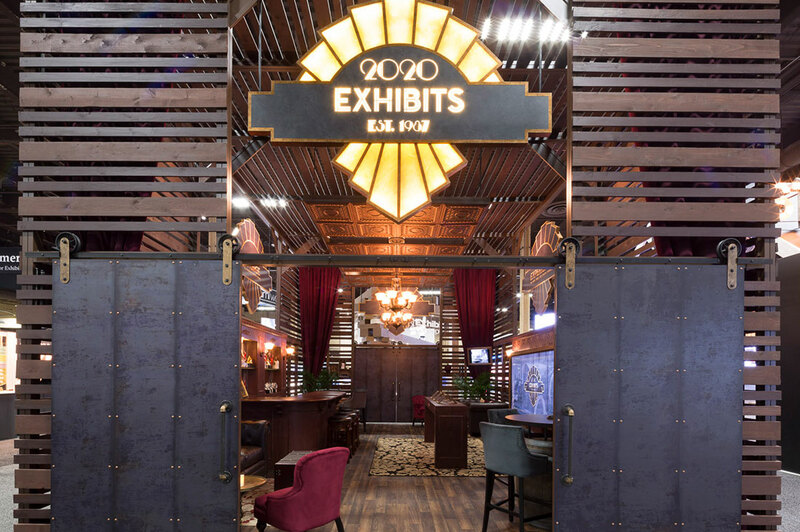 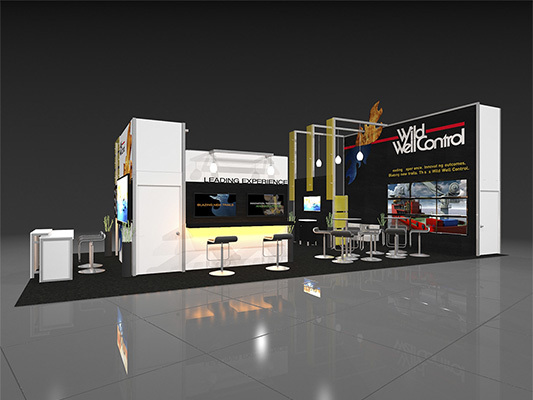 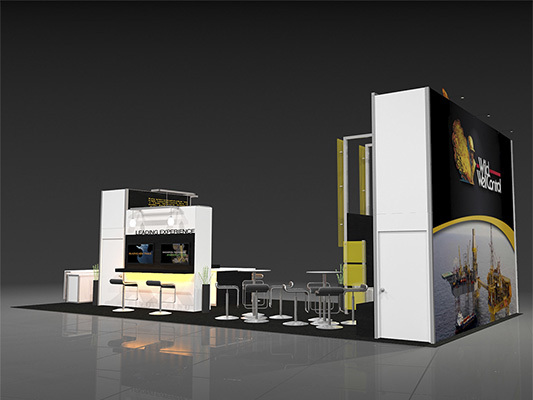 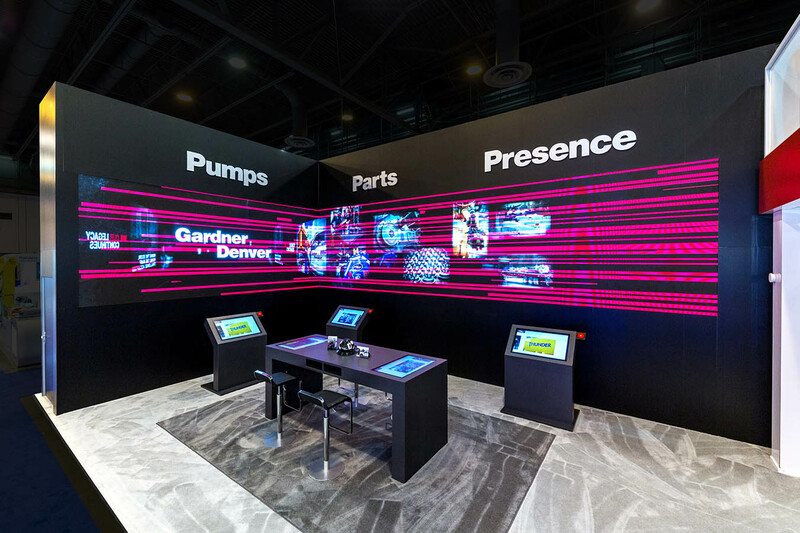 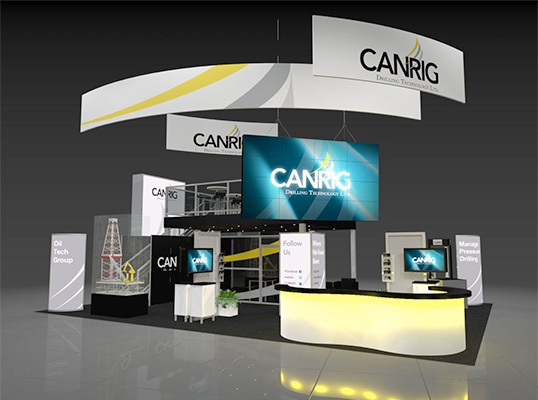 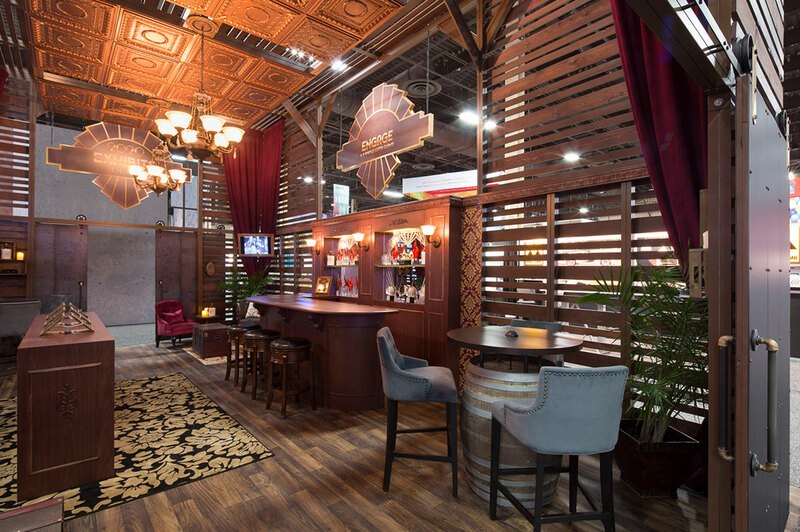 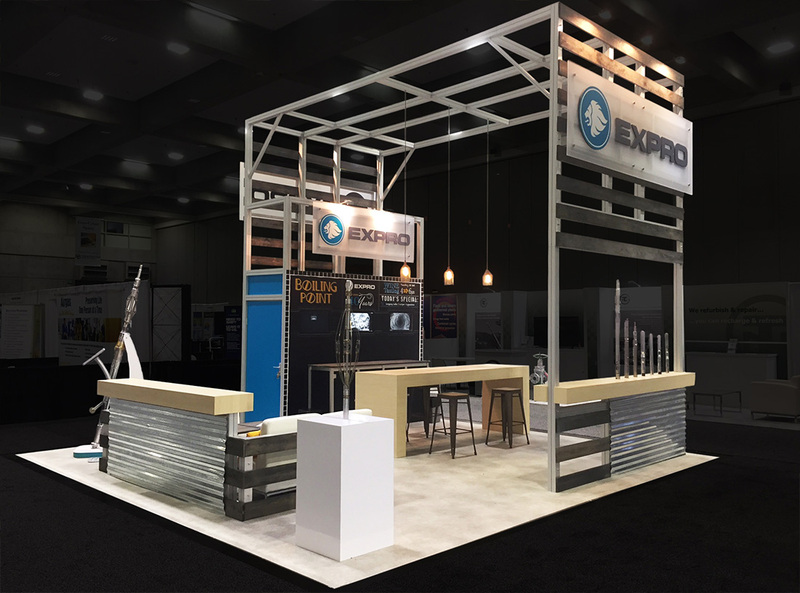 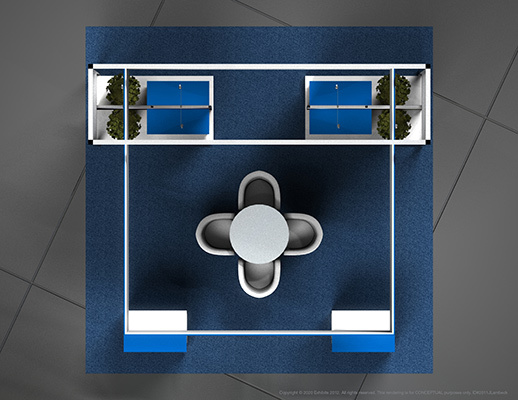 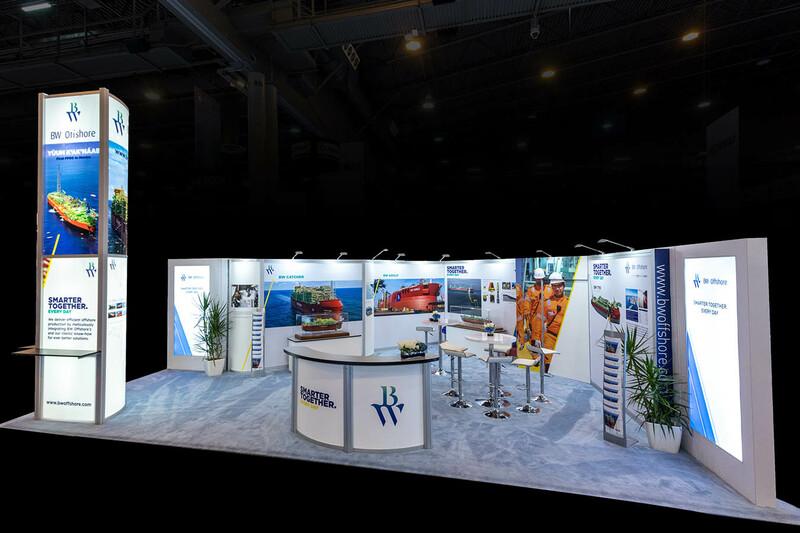 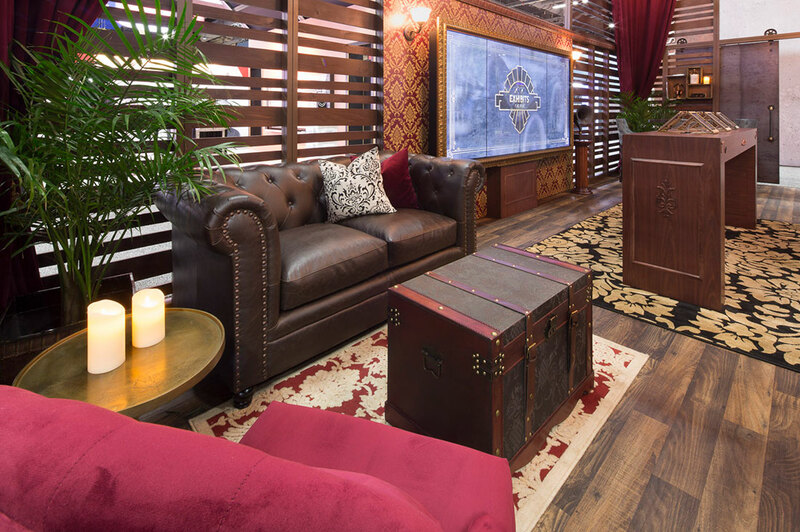 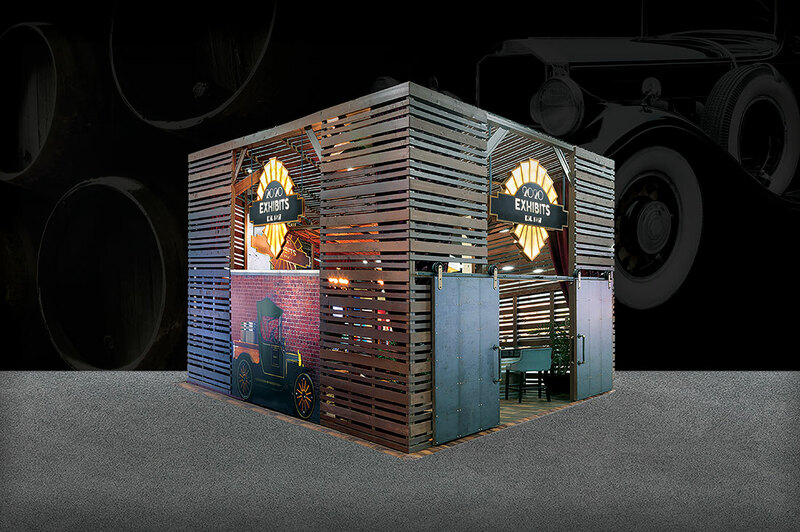 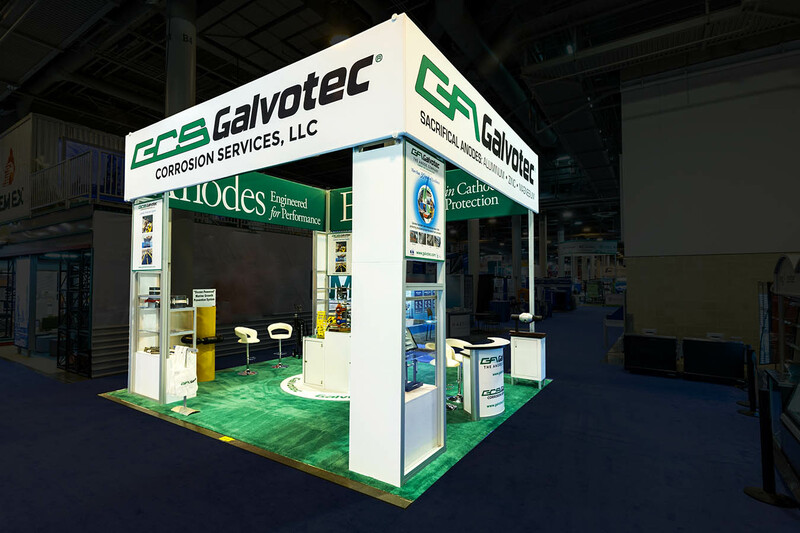 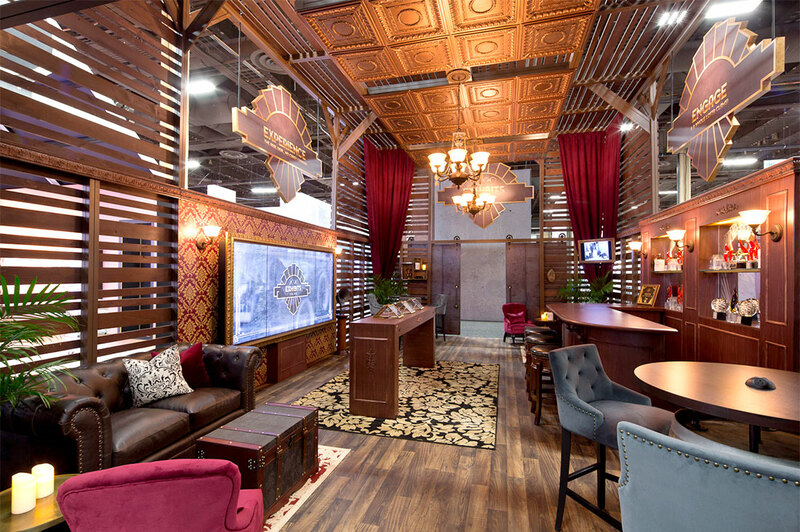 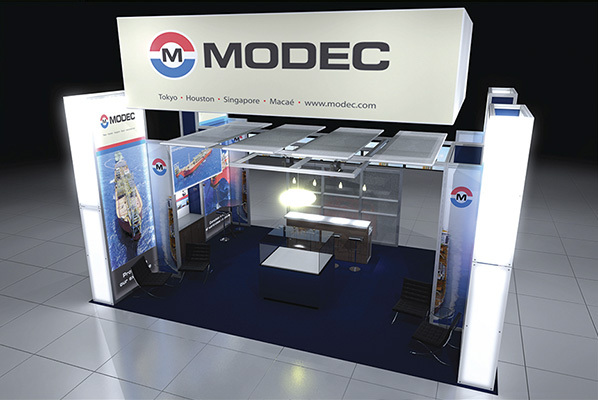 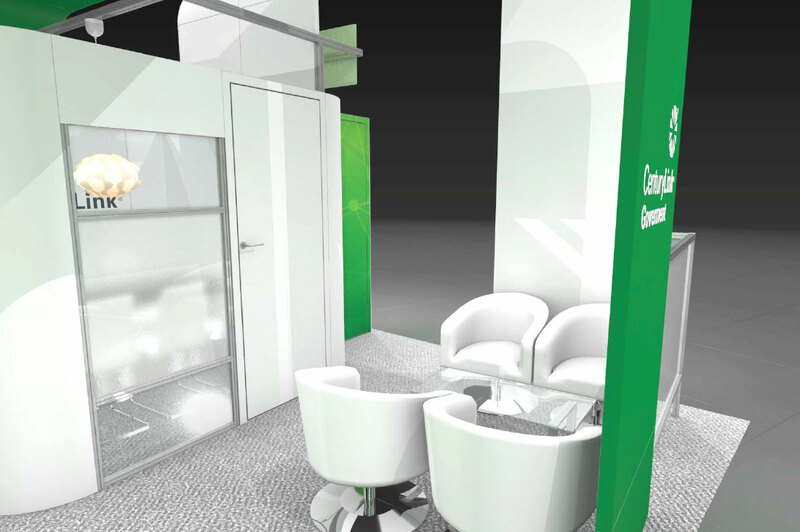 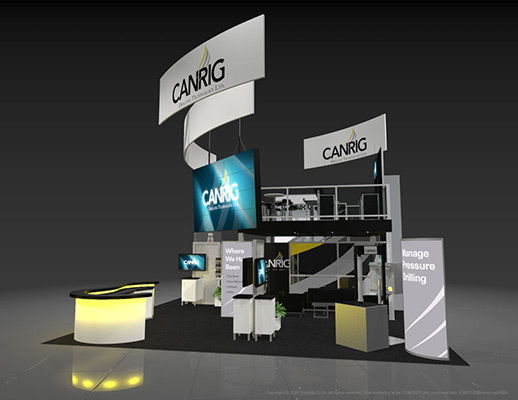 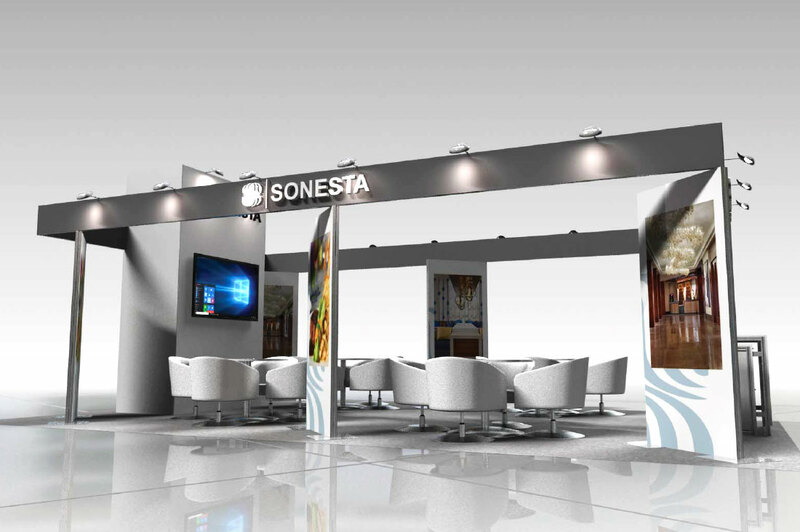 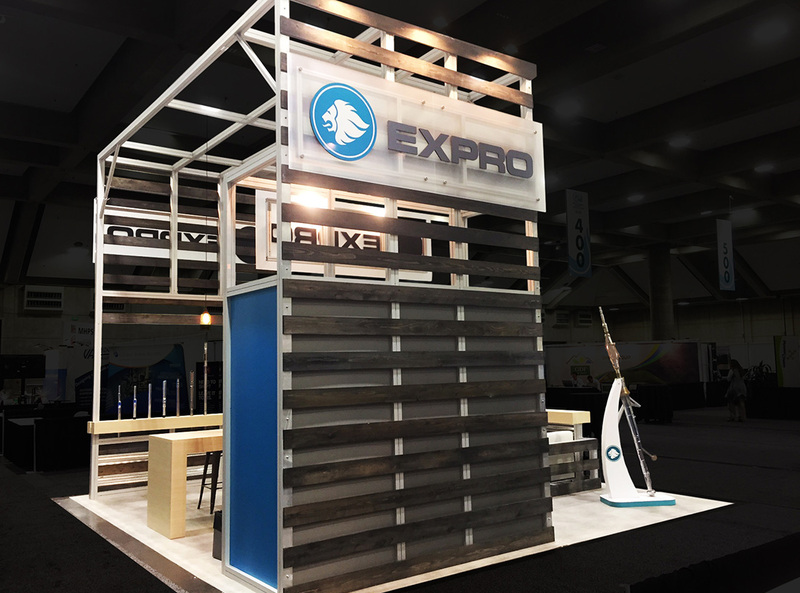 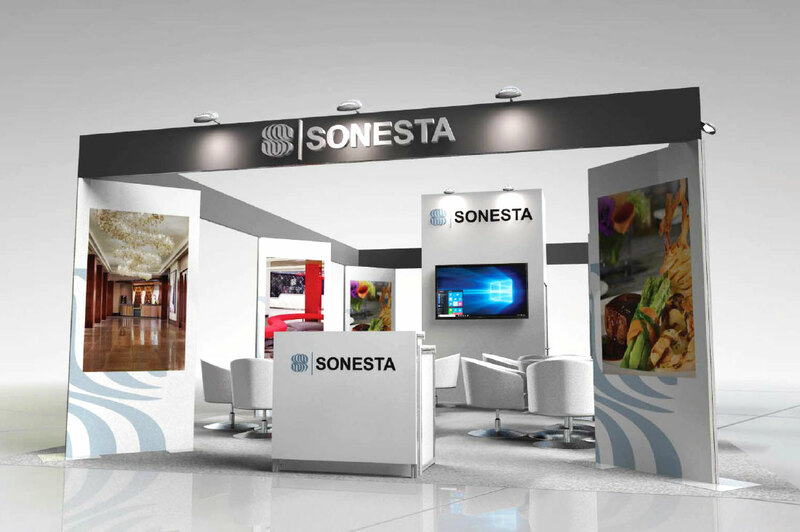 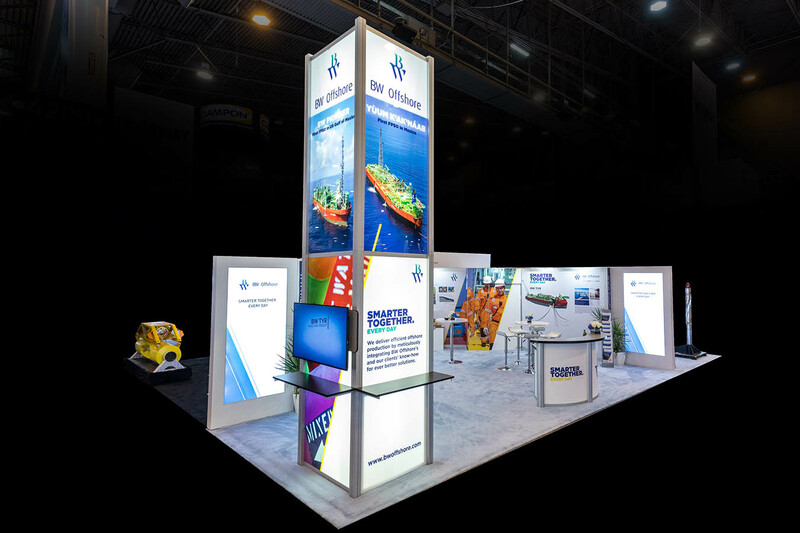 Features include: circular overhead graphic logo signage, open conference seating, graphic banners, arcing overhead graphics, overhead lighting, cushioned seating, reception area, carpeted inlay and video monitors.